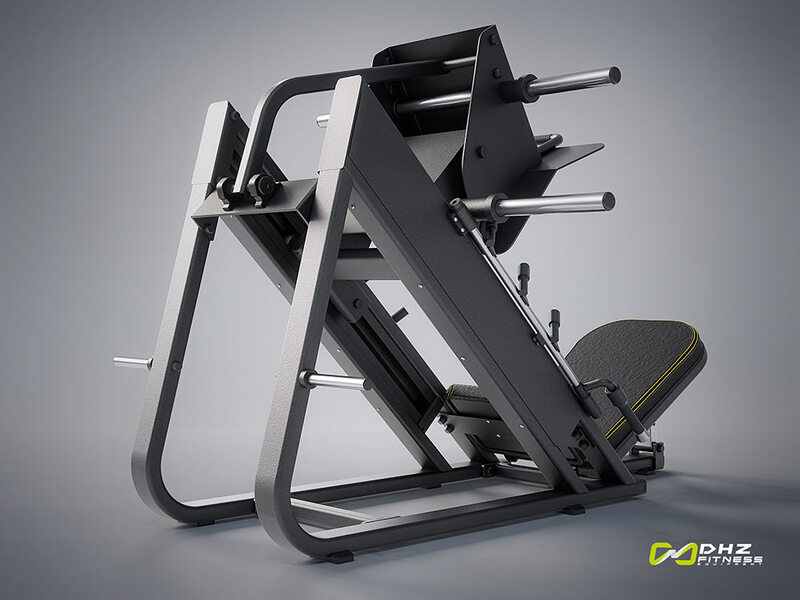 Low-priced and functional series with high quality & good biomechanics. Sophisticated technology, high durability. 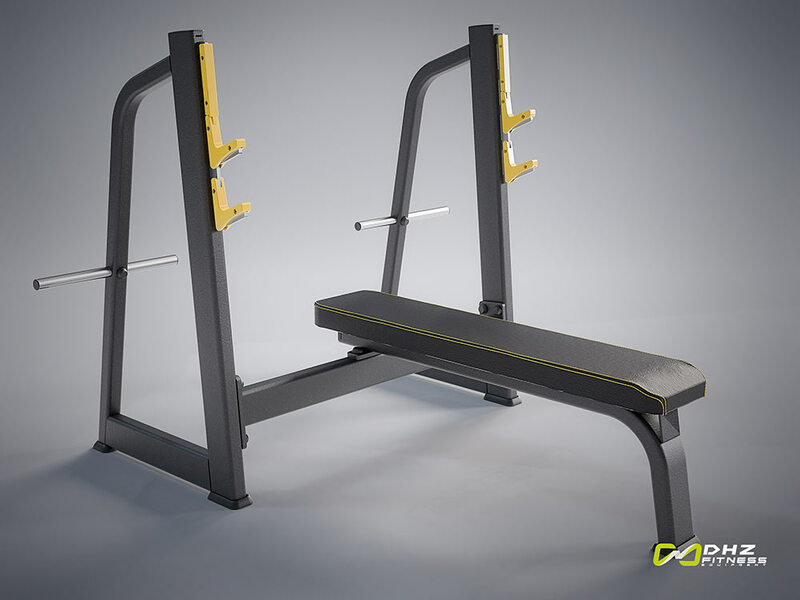 Bestseller for years. 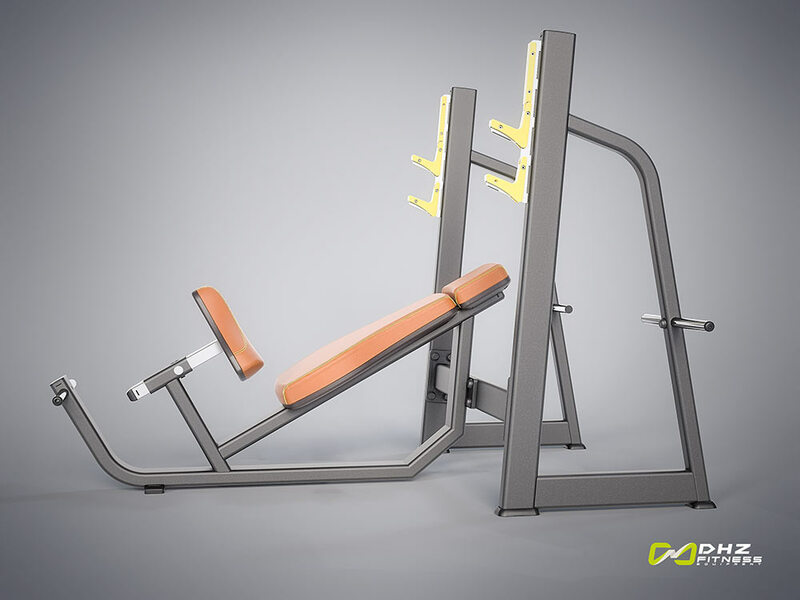 Rounded frames 10x5cm, high quality seats made of molded foam, stainless steel screwing. 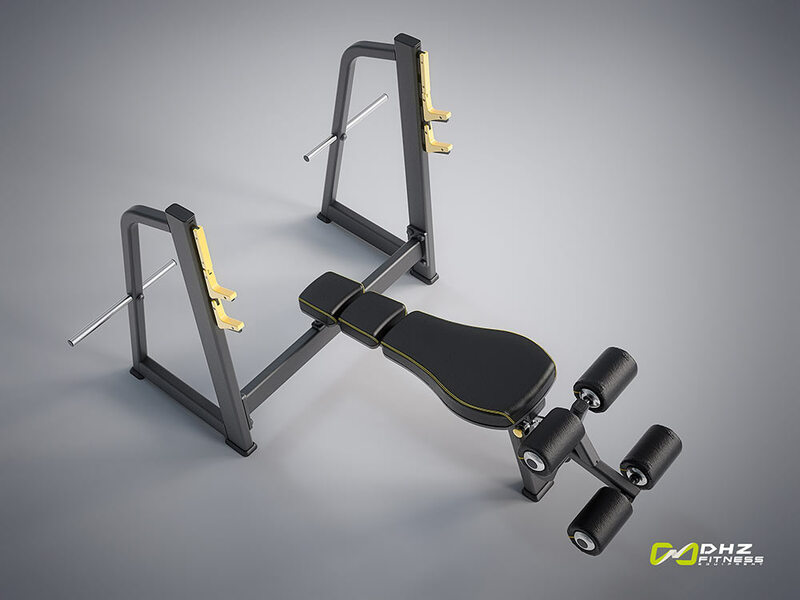 Weight around 250 kg per unit. 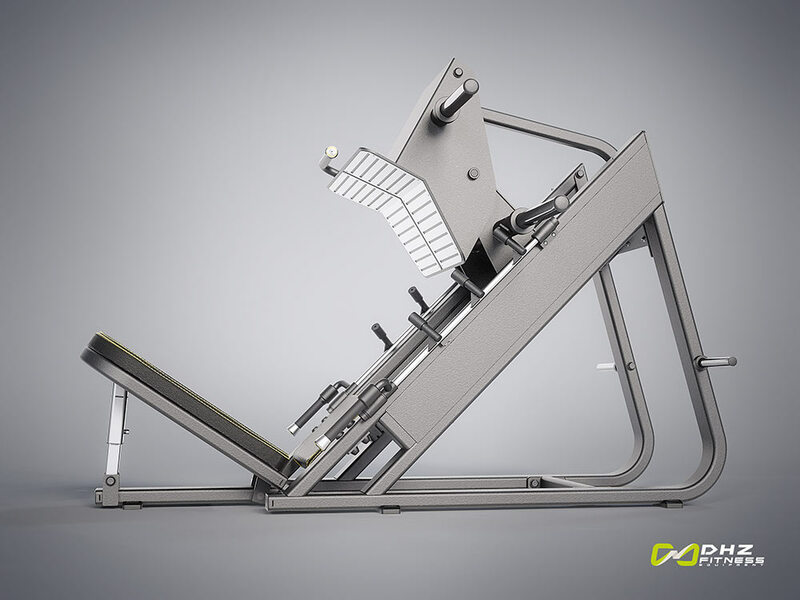 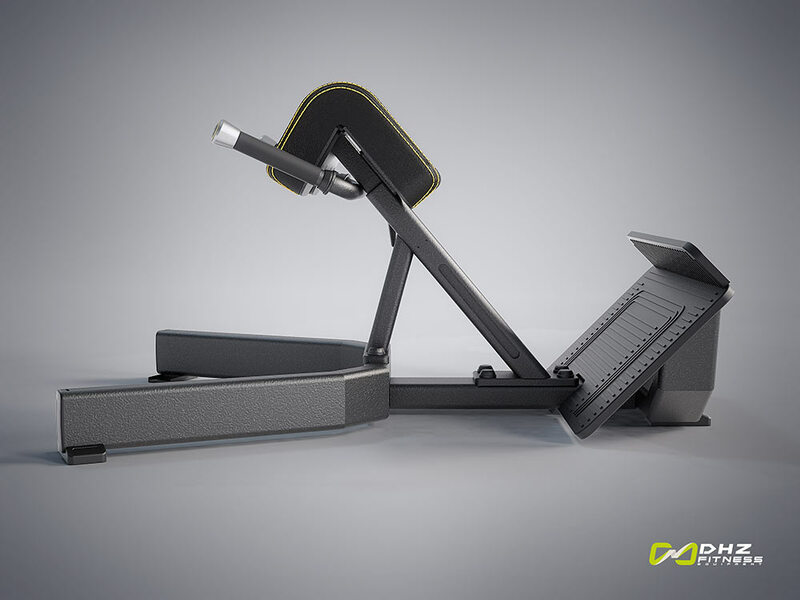 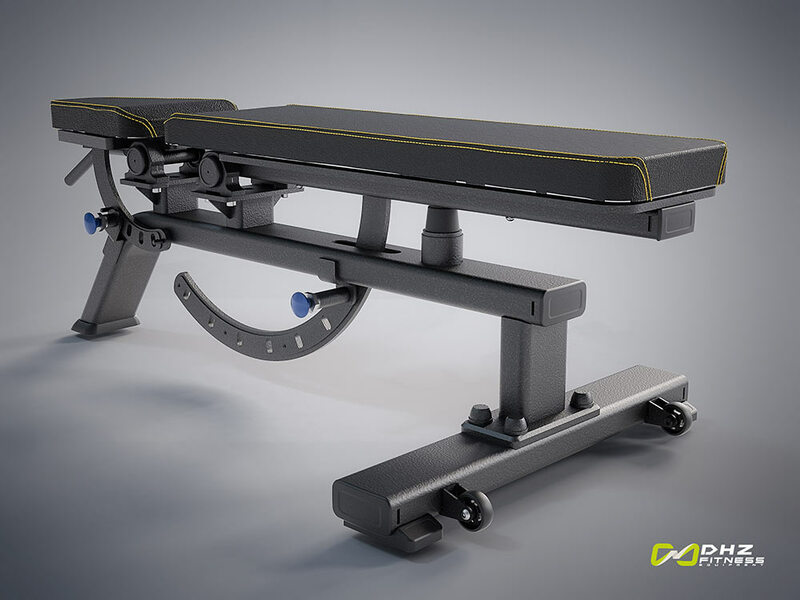 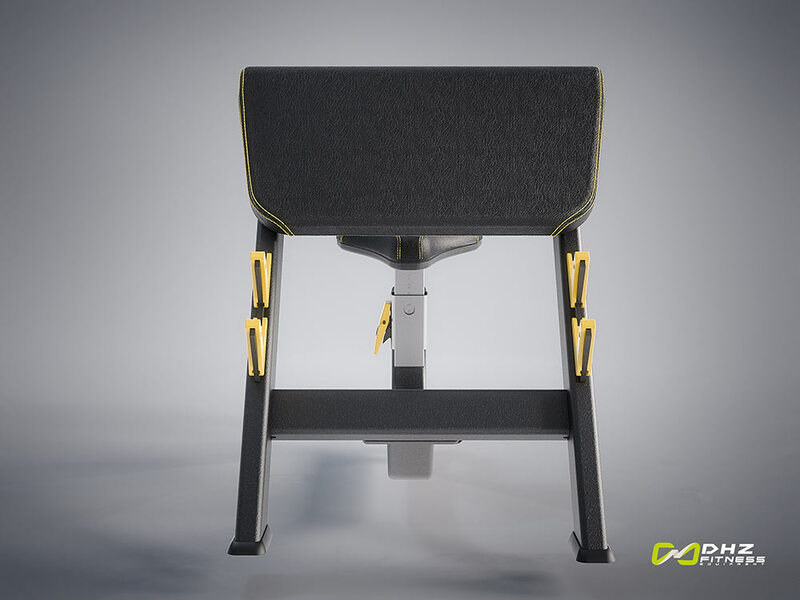 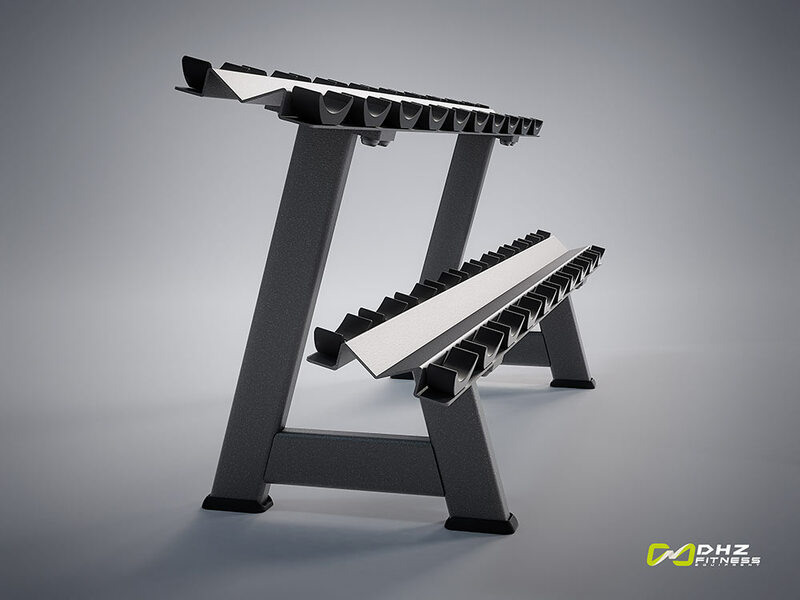 The adjustable backrest adapts the device for all user sizes. Shaped elbow pads aid a targeted transmission of forces to the muscle group to be exercised. 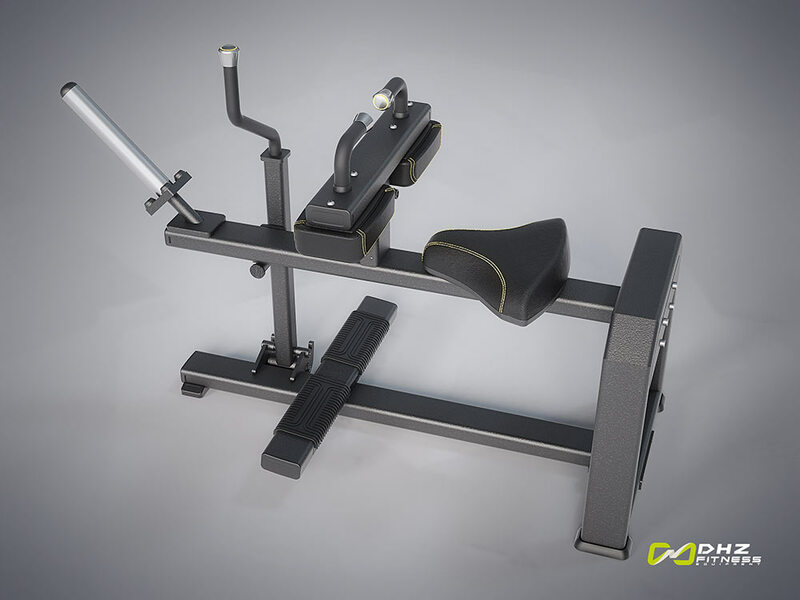 Rotatable and inward-facing hand grips adapt different user sizes . 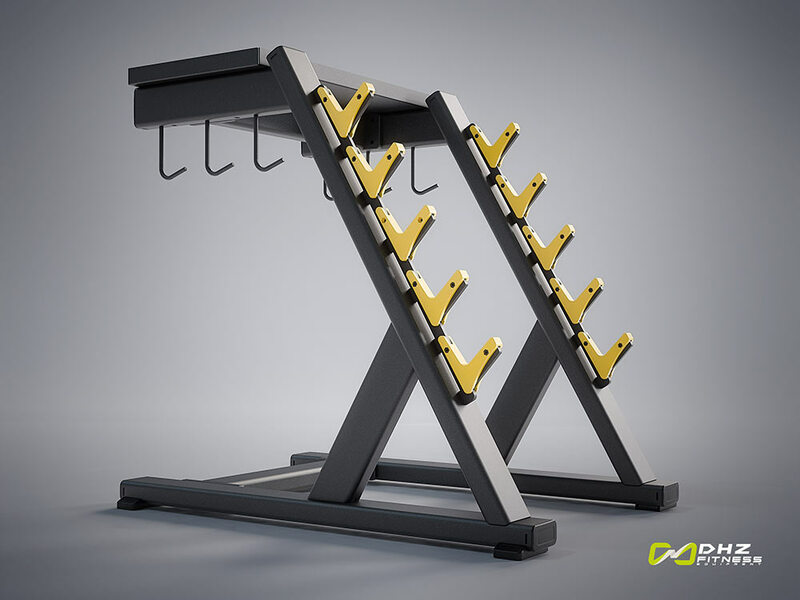 Five starting positions for different movement ranges. 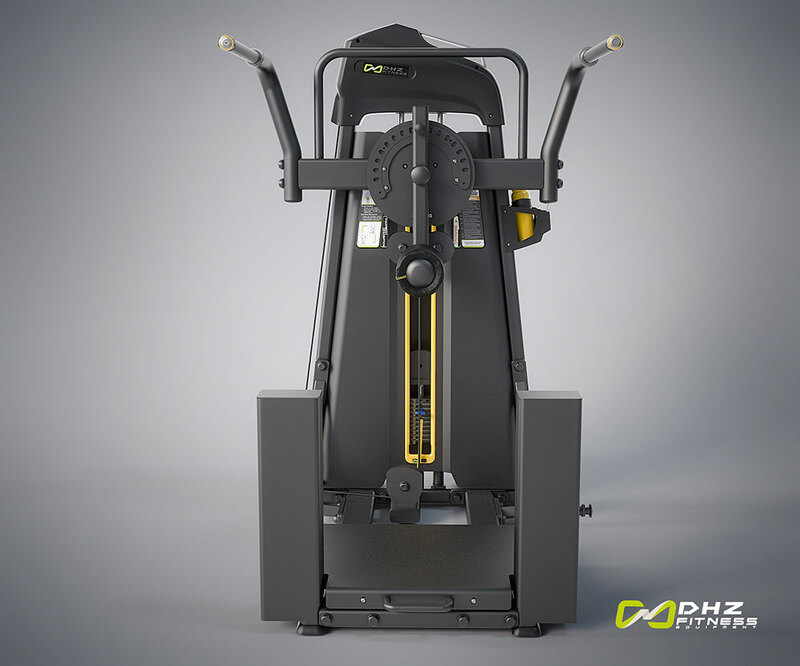 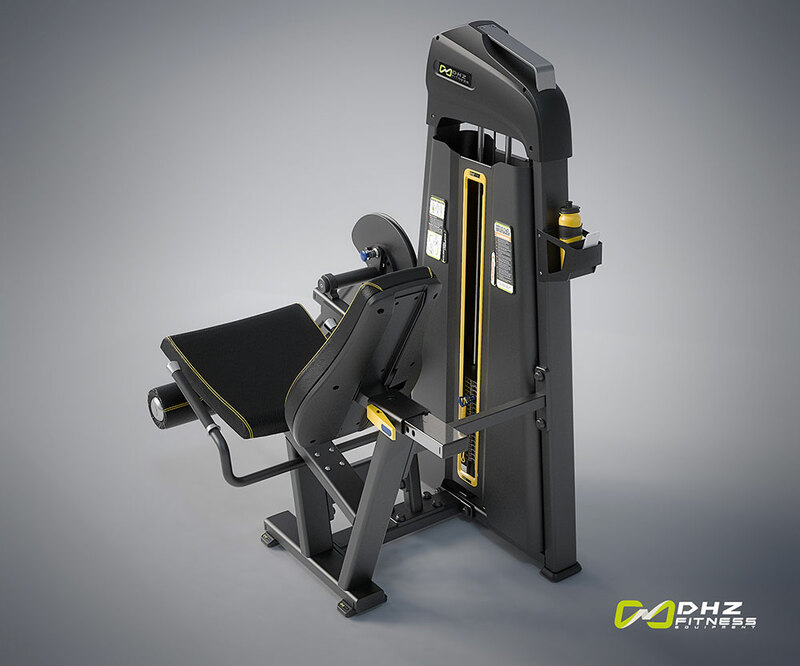 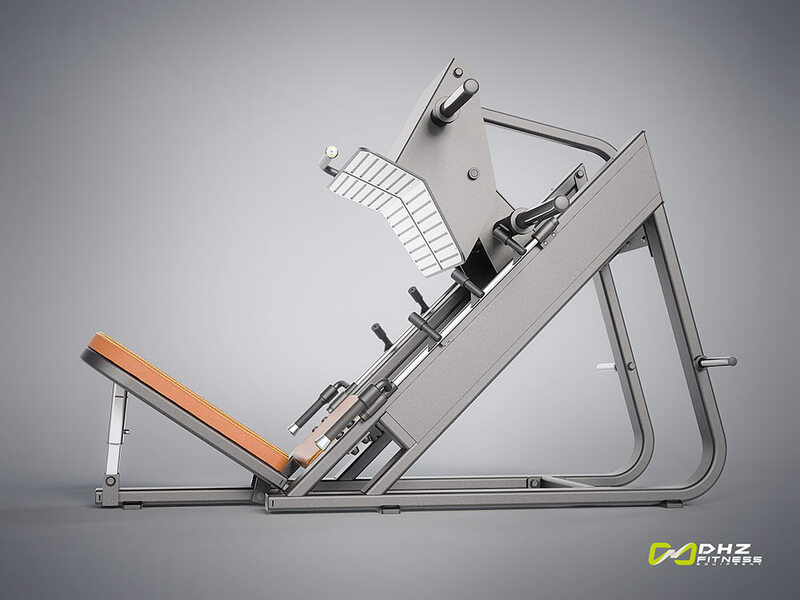 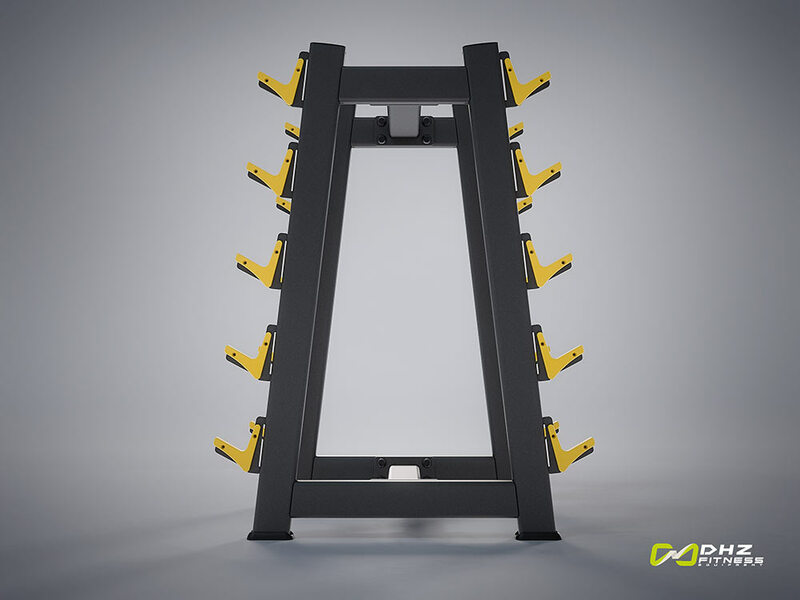 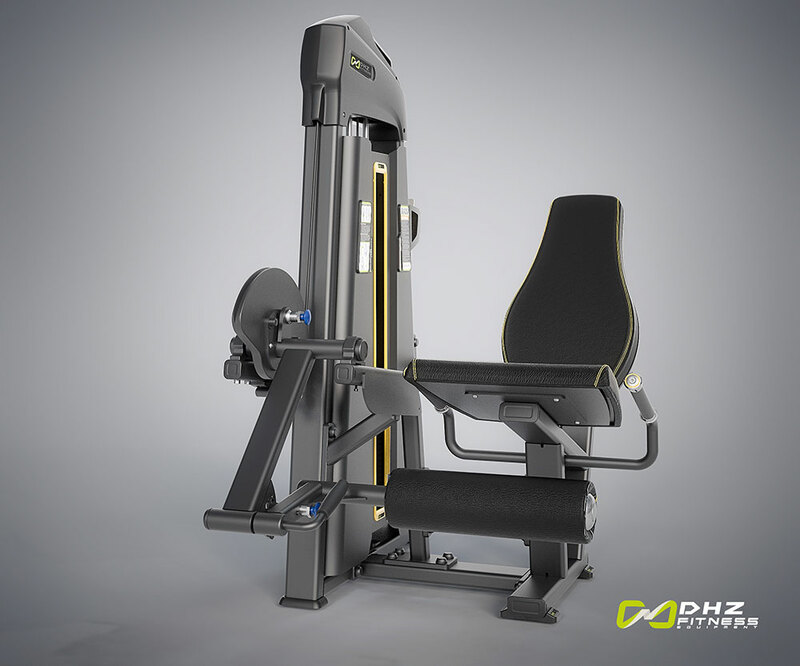 Stable equipment arms ensure a natural, forward-facing press movement, training comfort through a backwards-inclined sitting position. 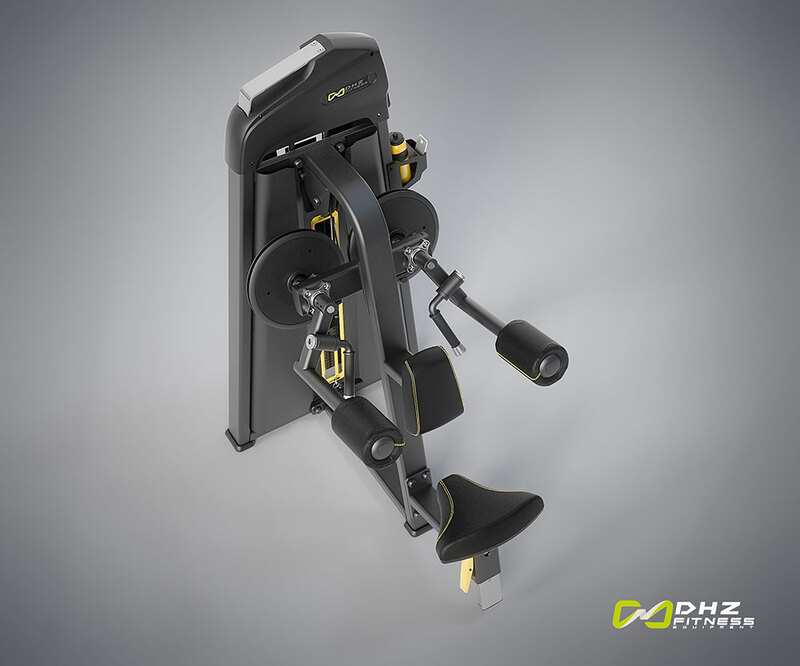 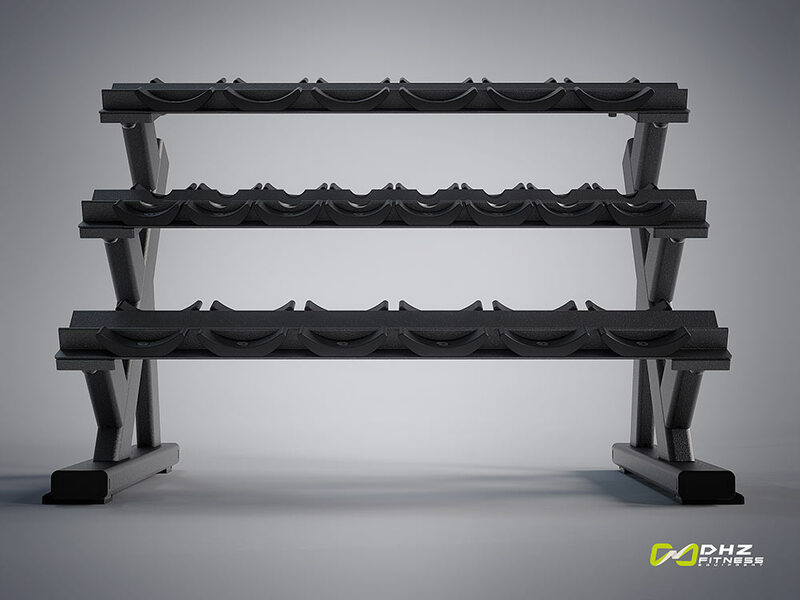 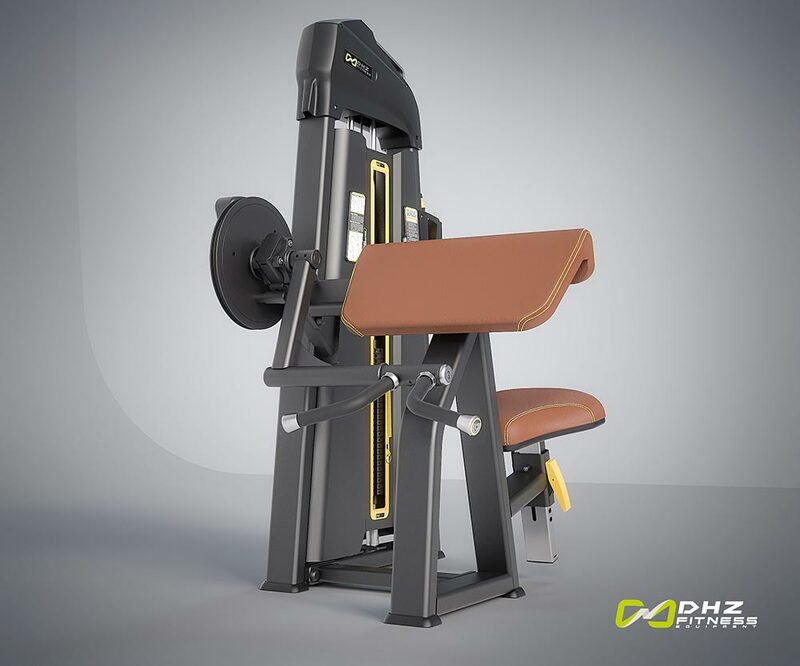 Comfort through entry aid and alternating muscular loading by three handle options. 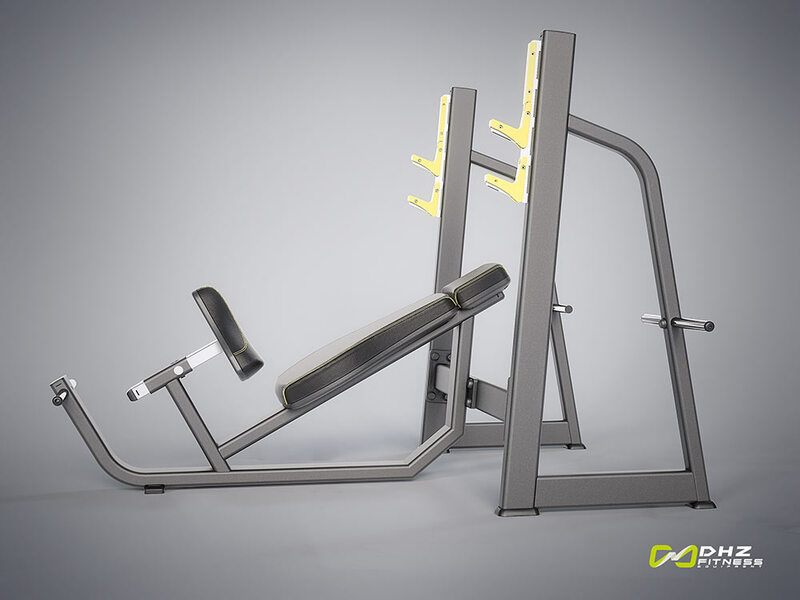 The adjusted weight reduces the necessary pulling force. 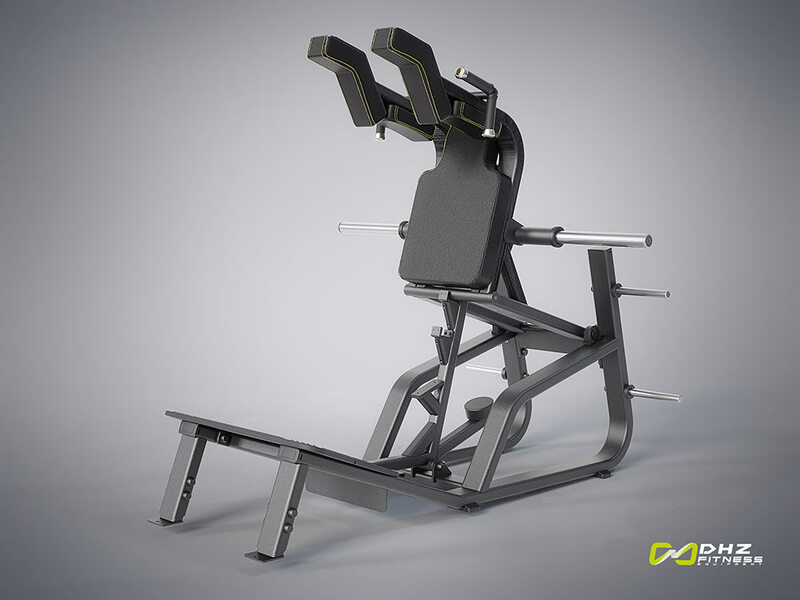 The starting positions can be set gradually in intervals. 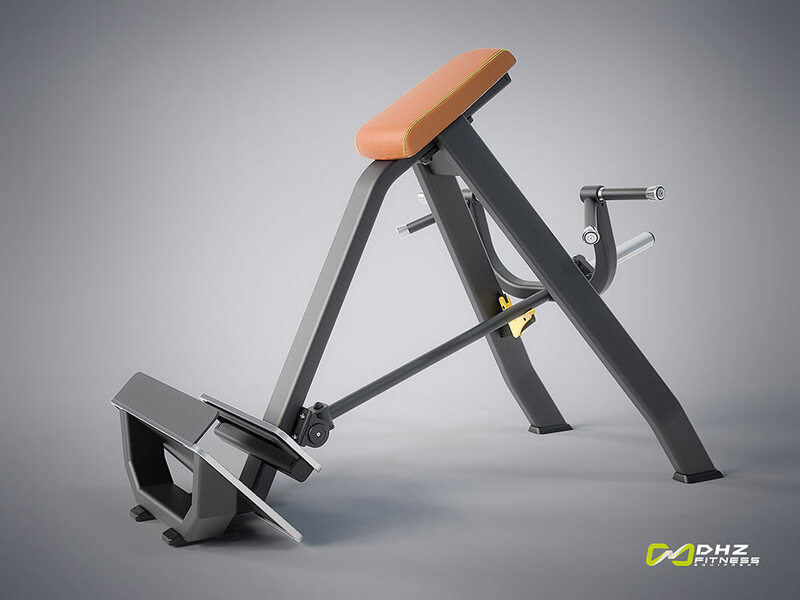 Starting position adjustable in height / angle. 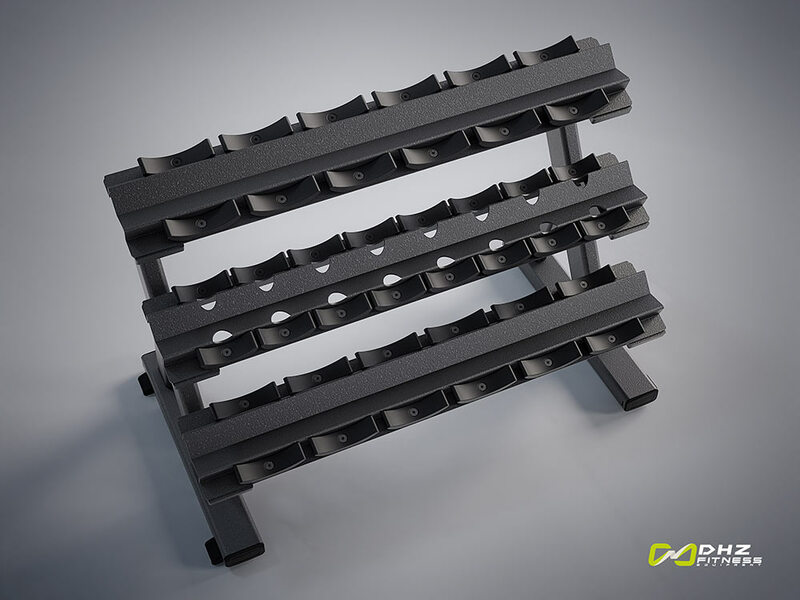 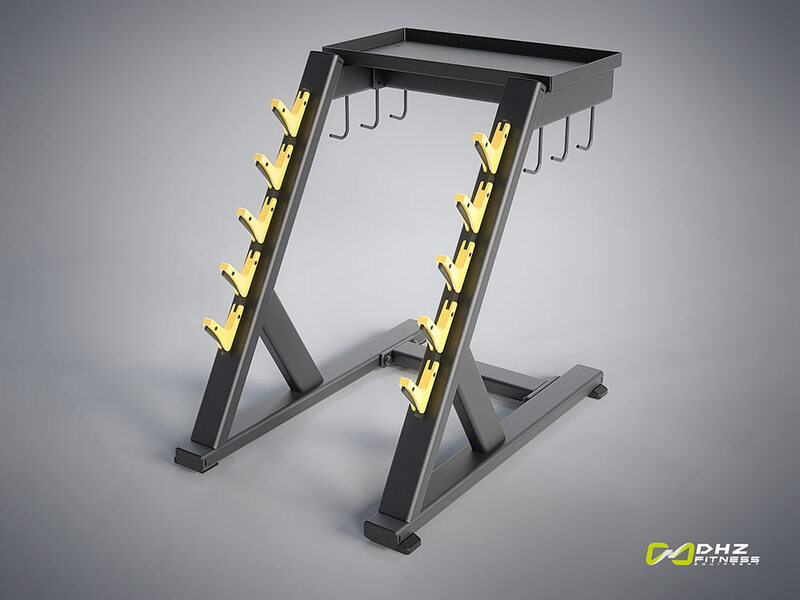 Various handles offer pull-up options on the upper link brace. 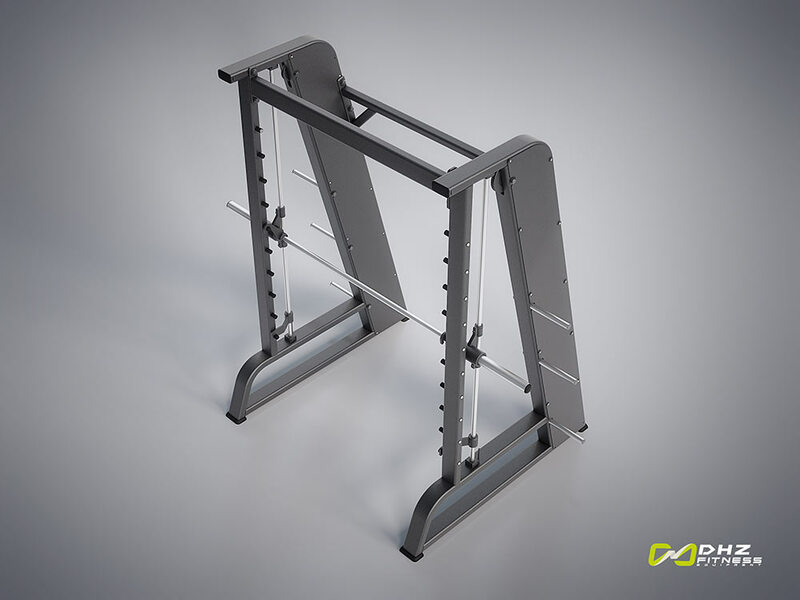 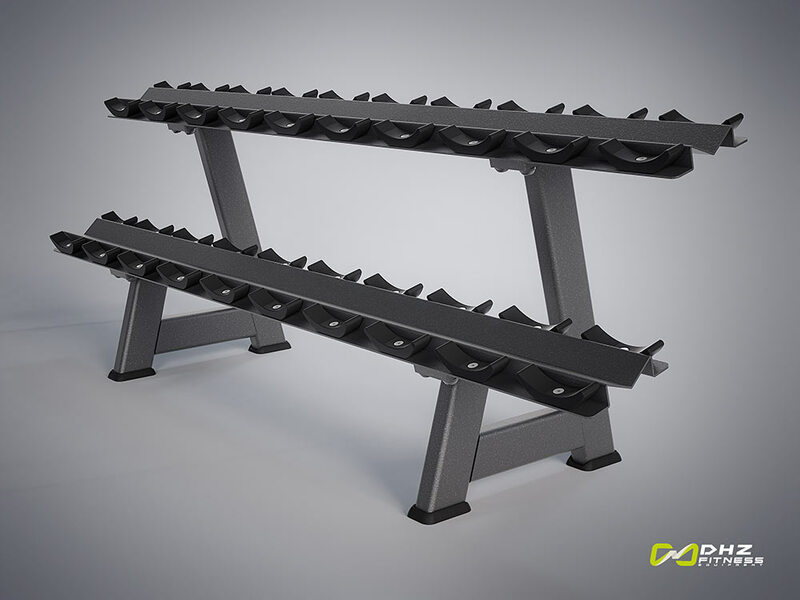 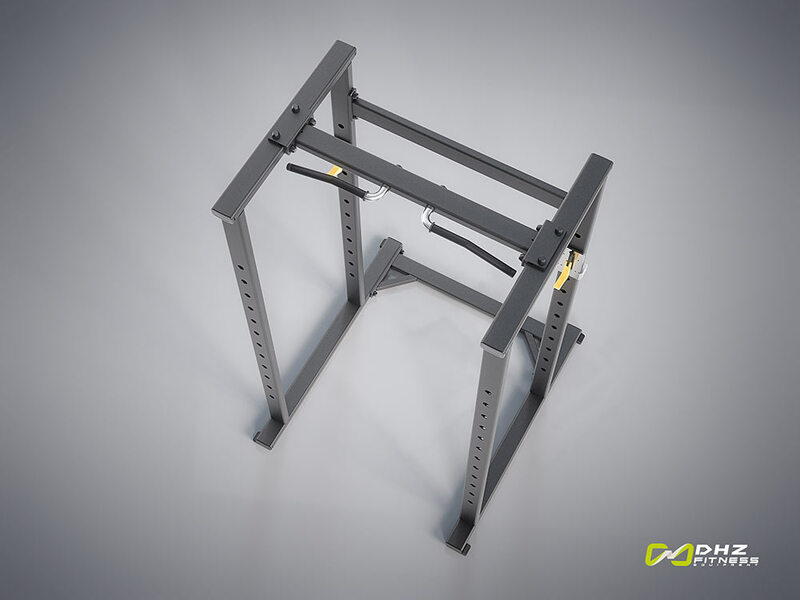 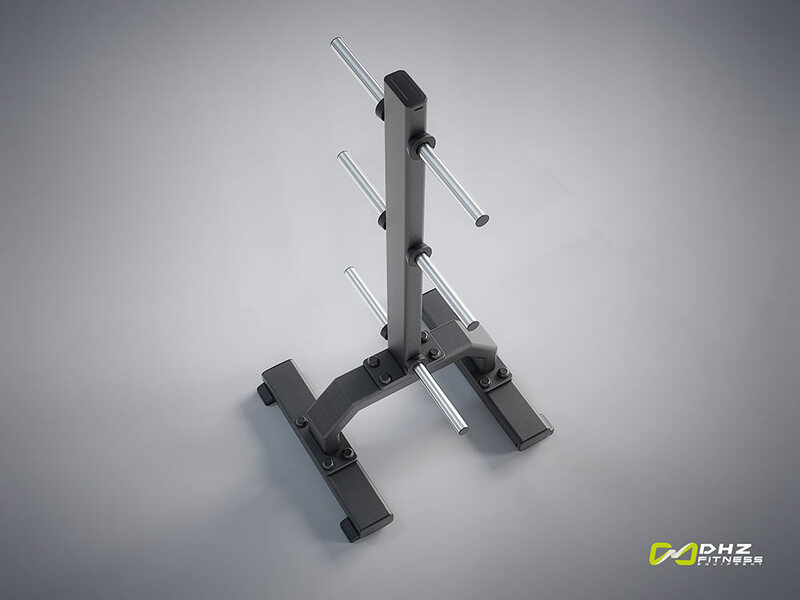 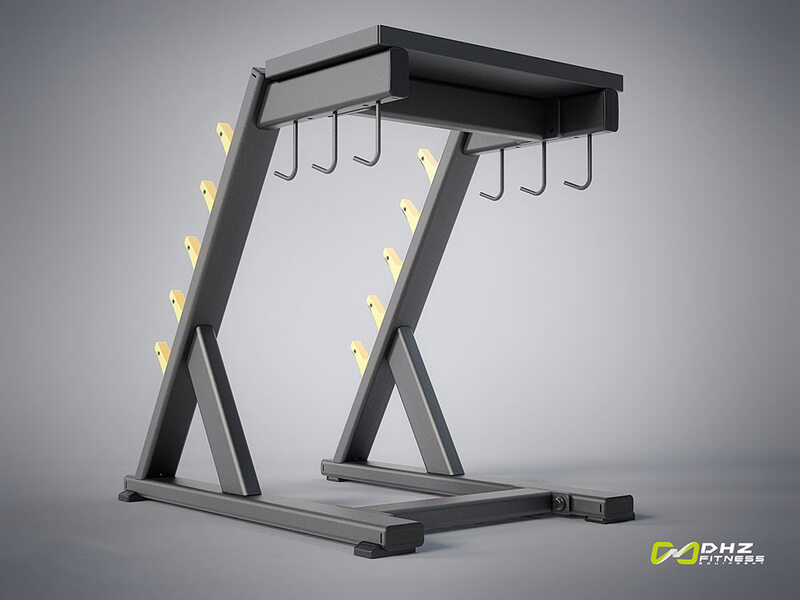 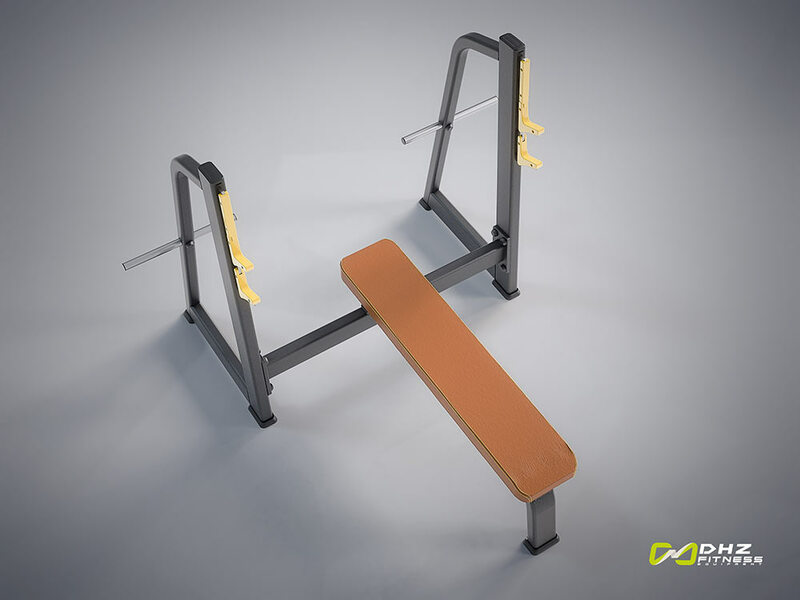 Side supports for stable training position. 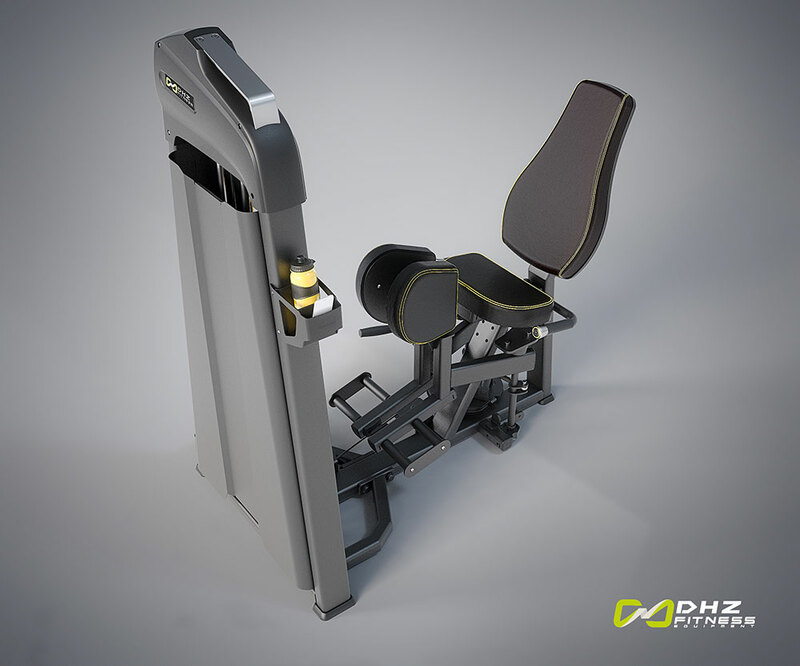 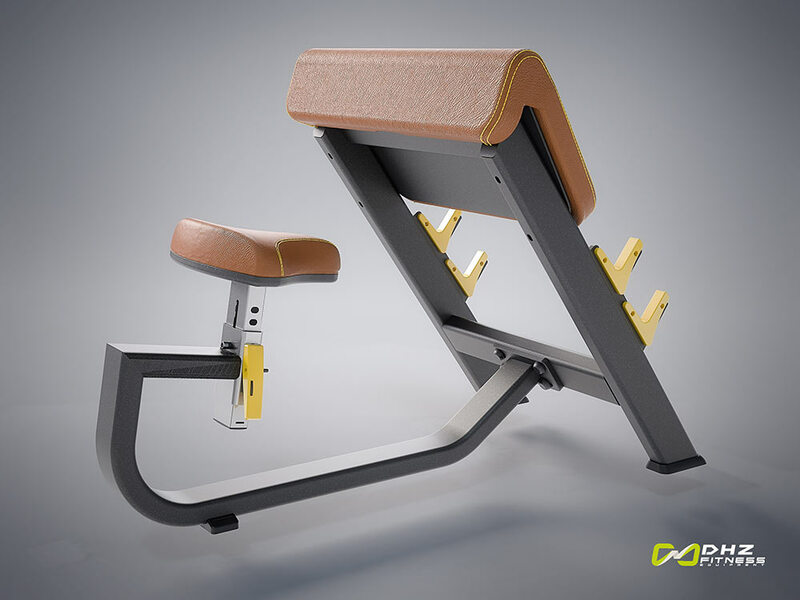 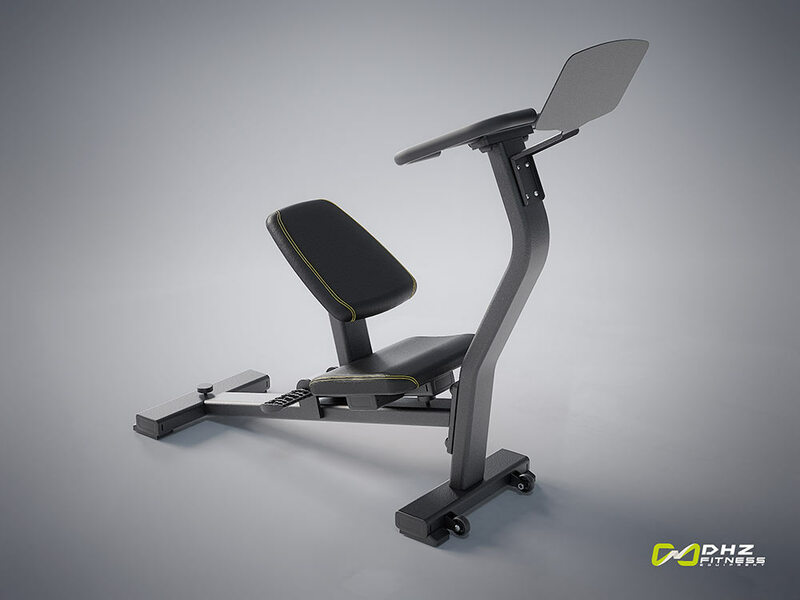 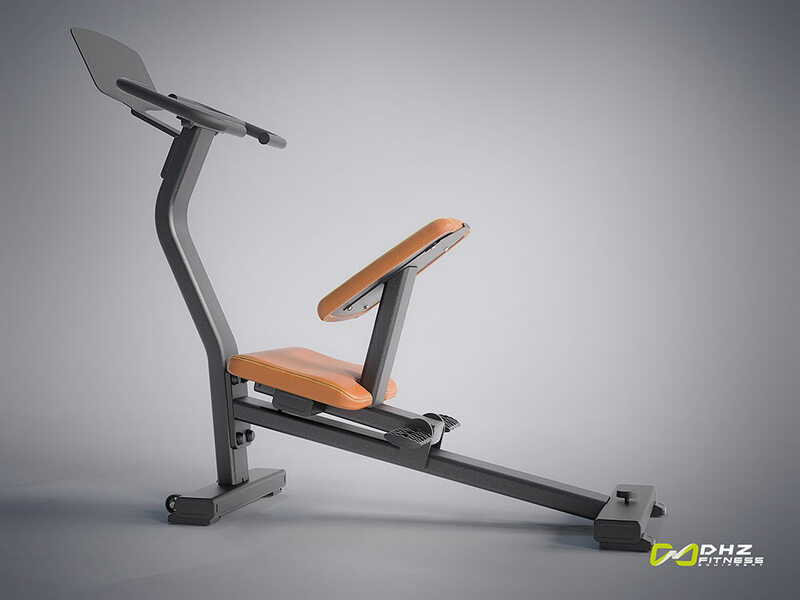 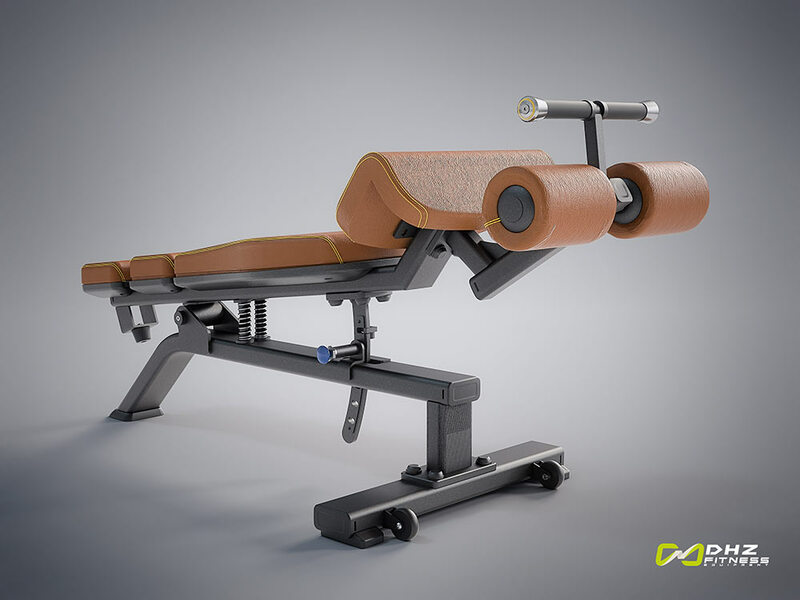 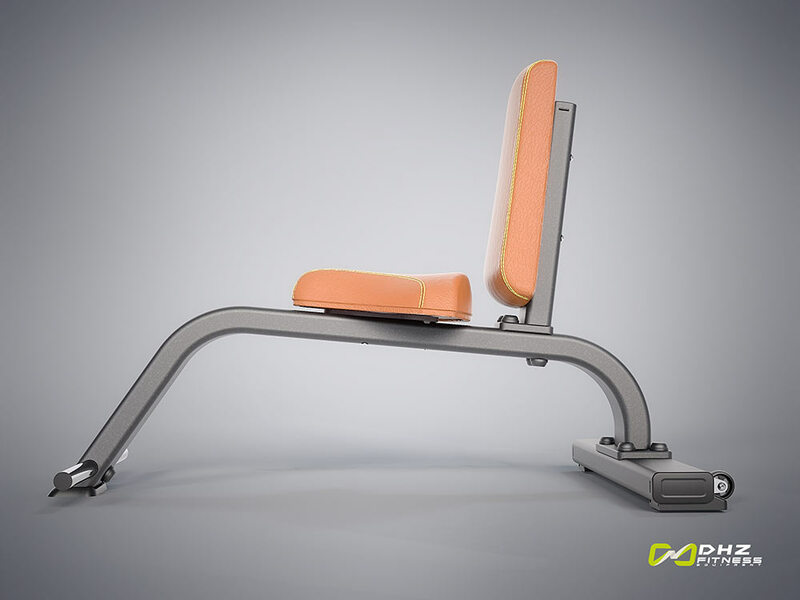 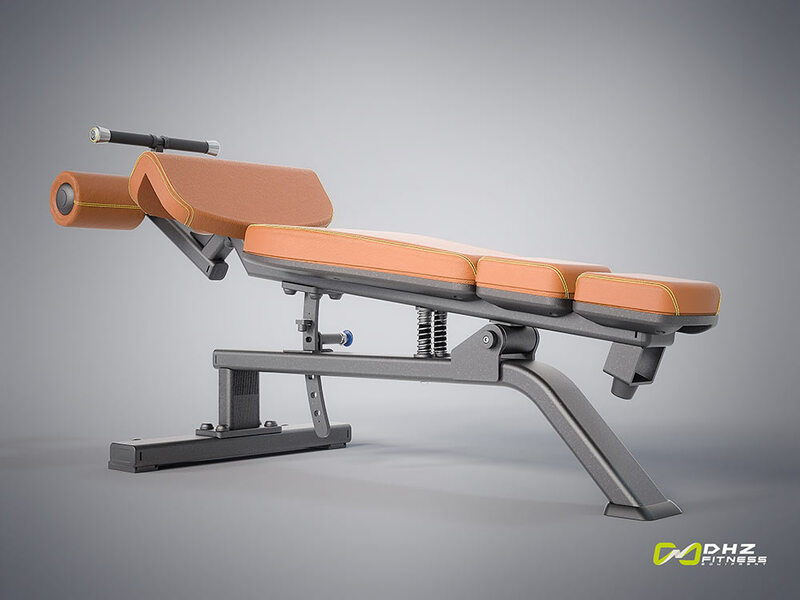 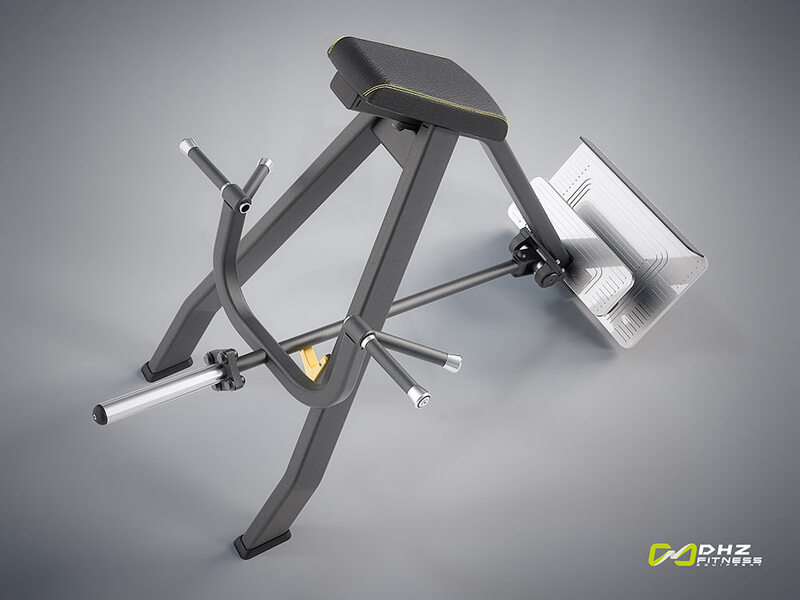 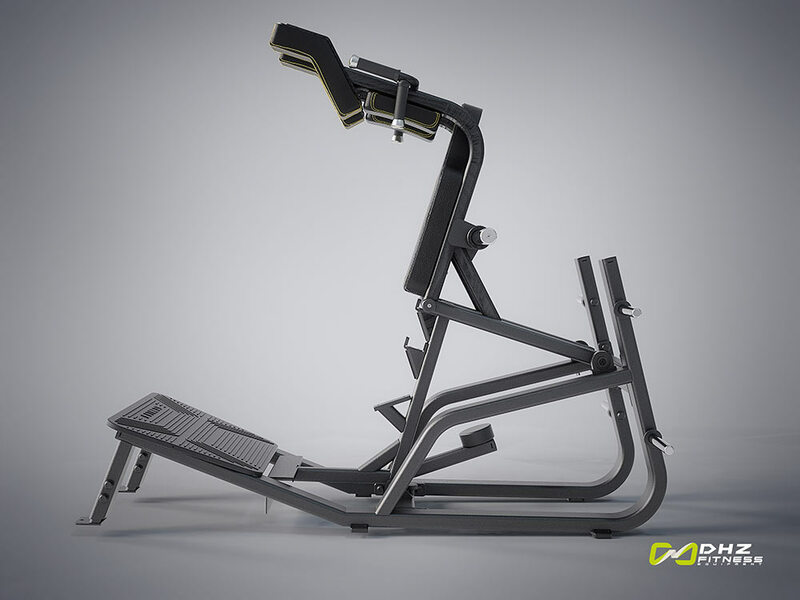 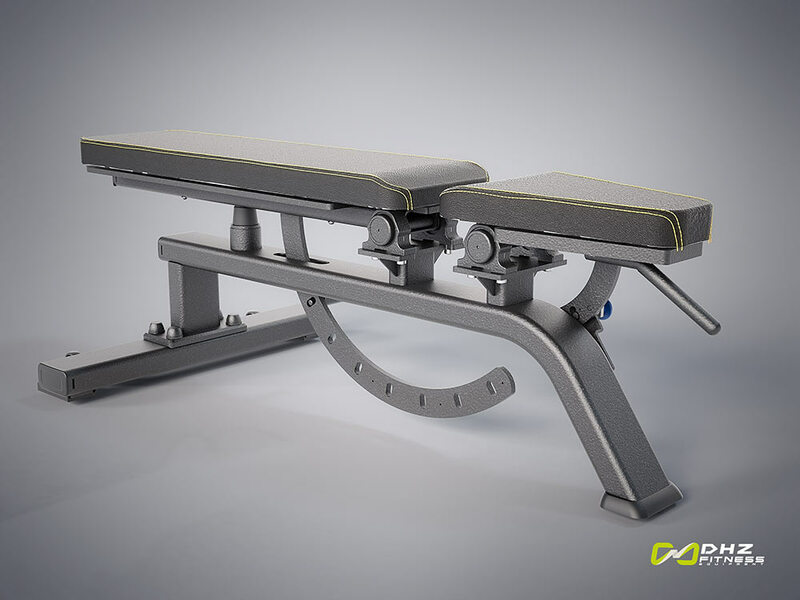 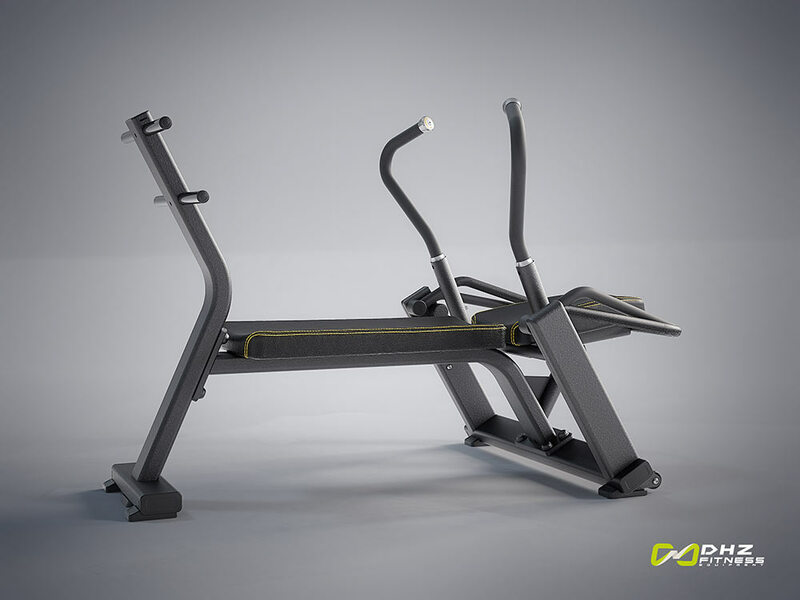 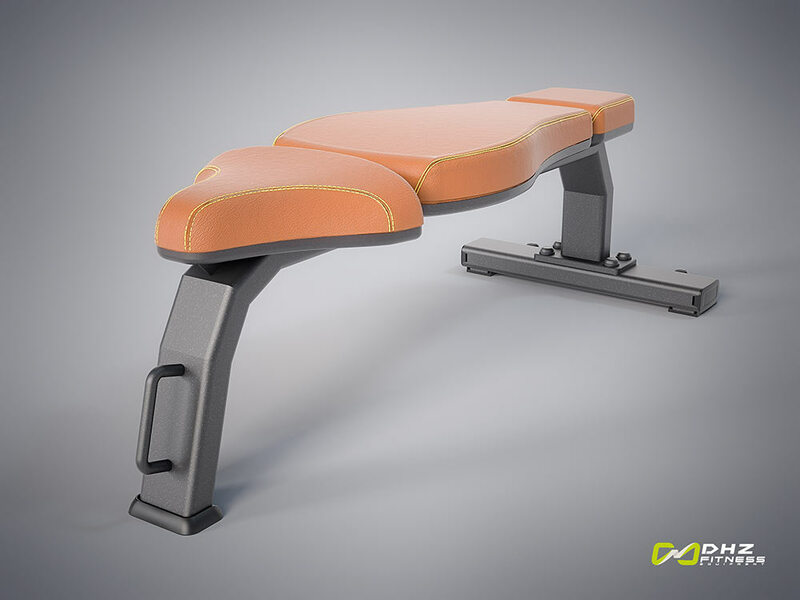 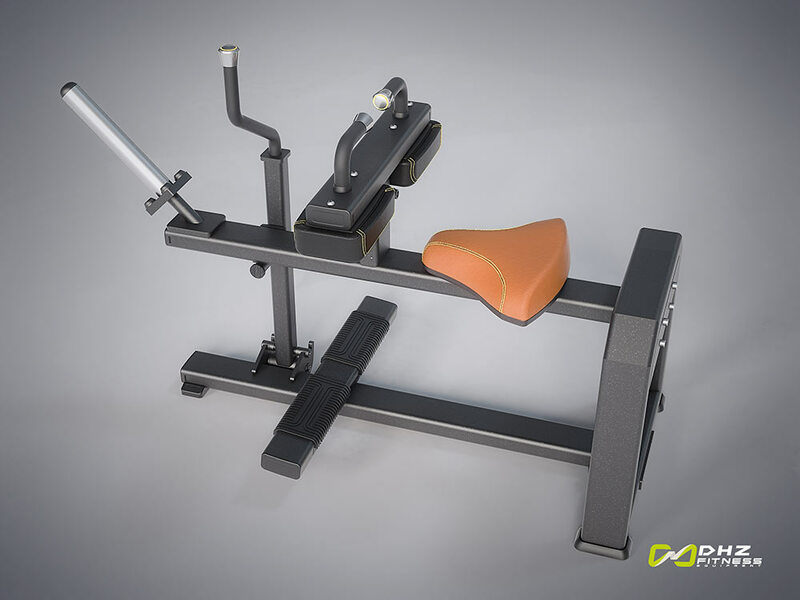 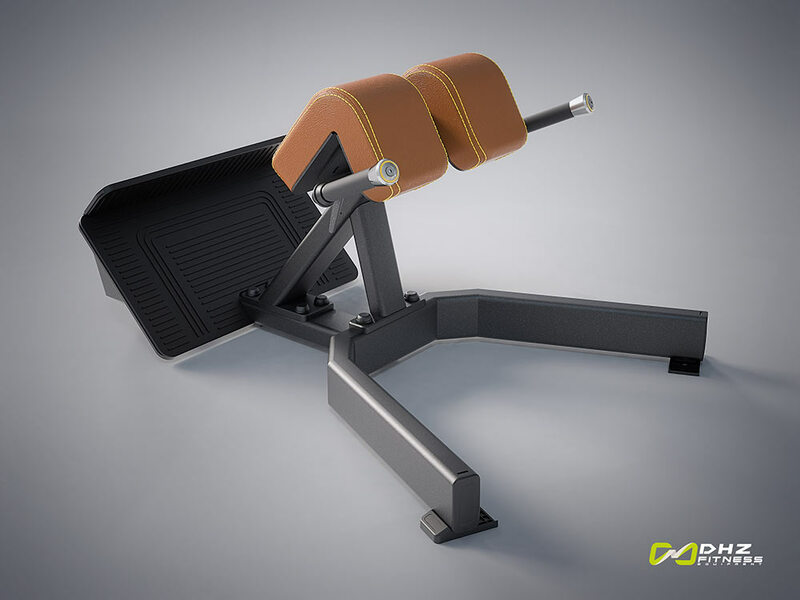 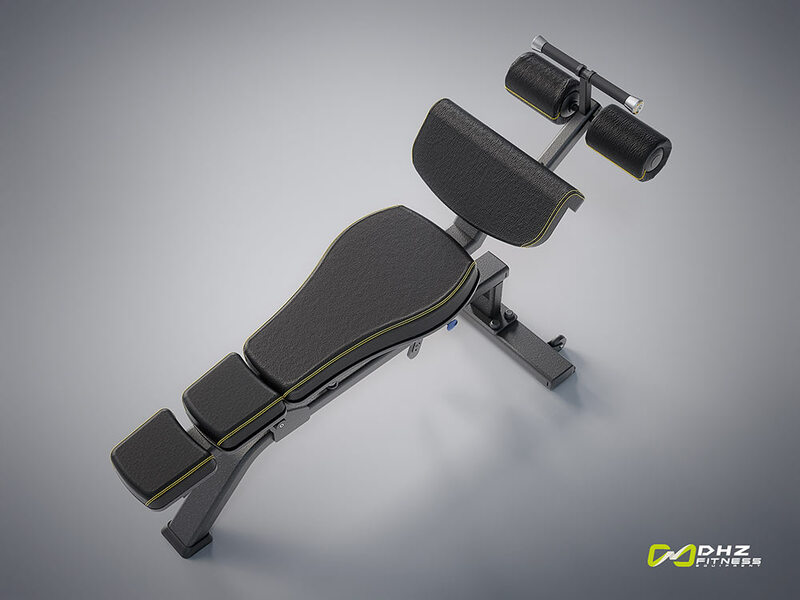 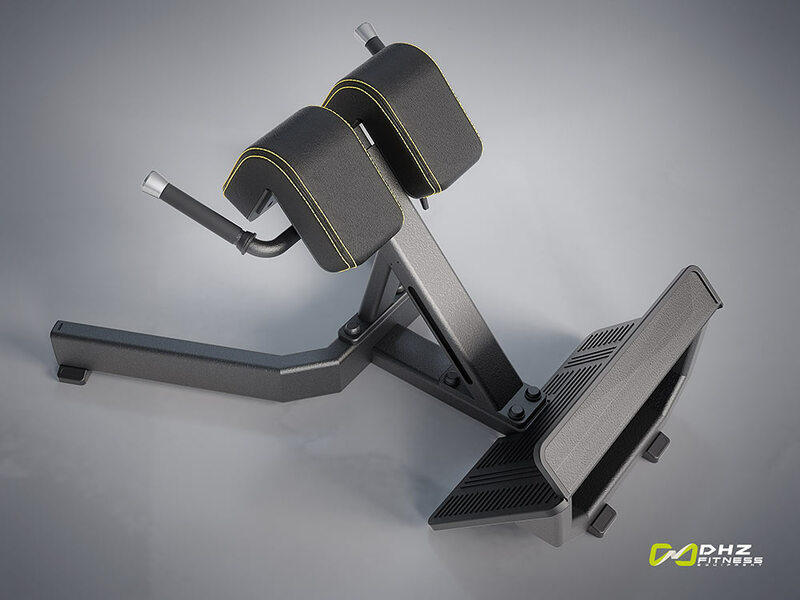 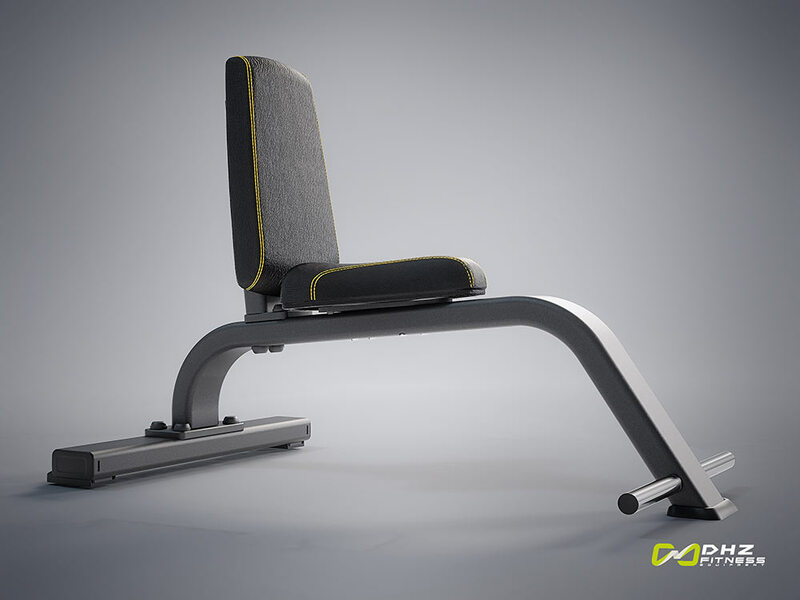 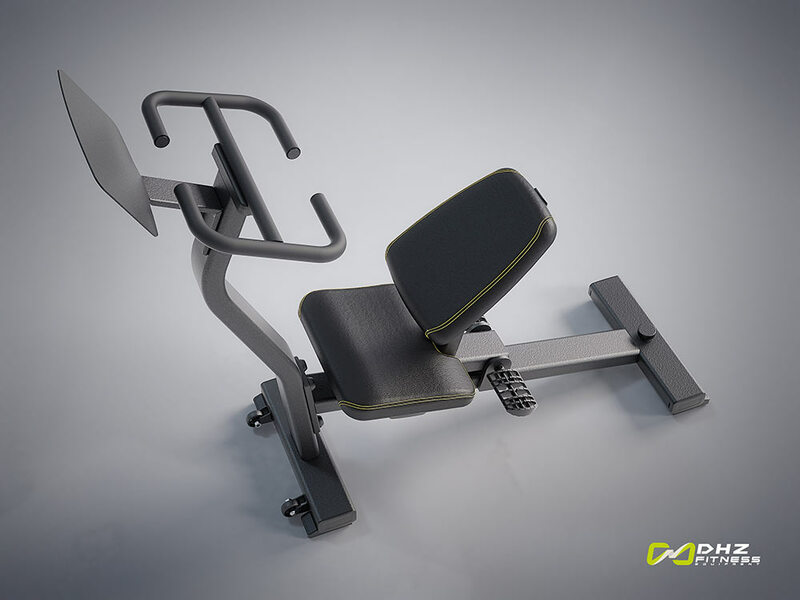 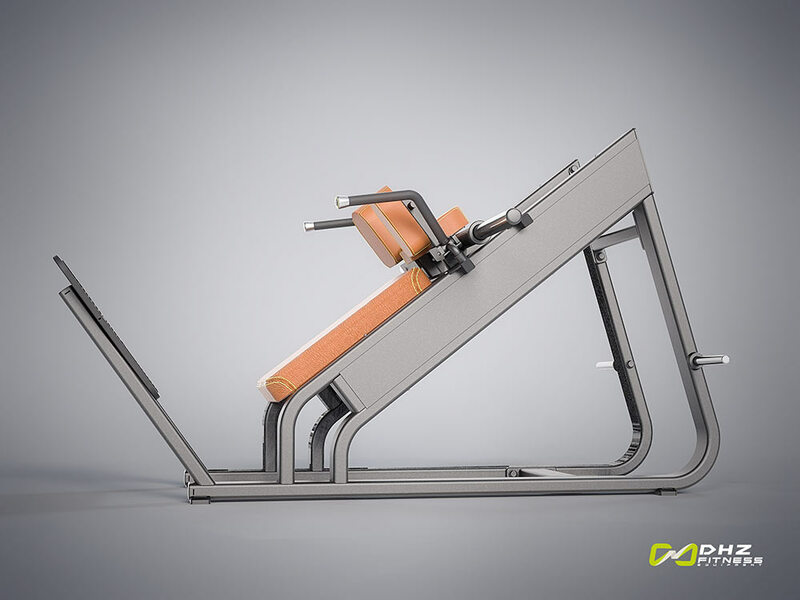 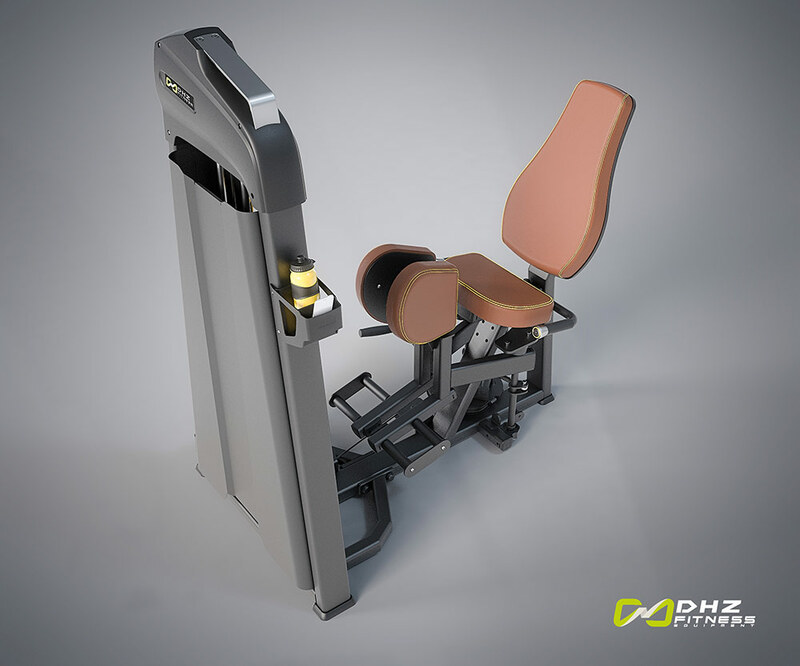 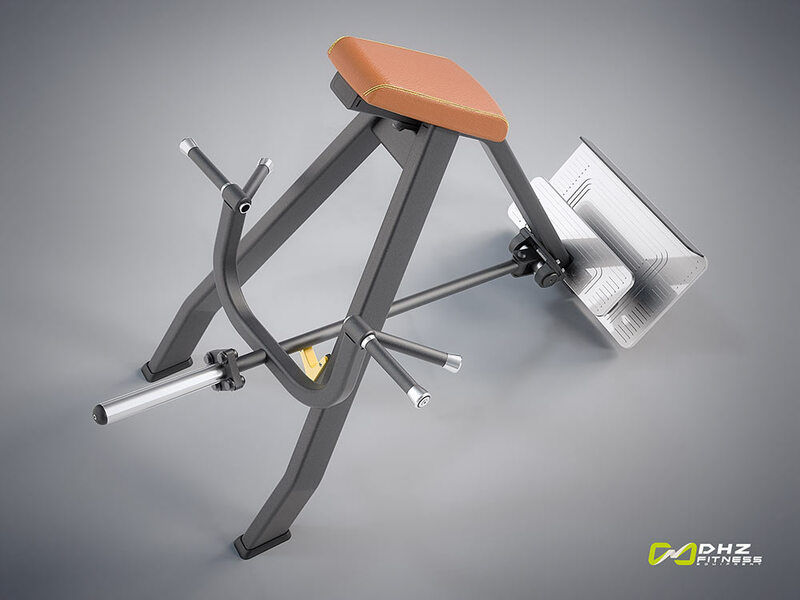 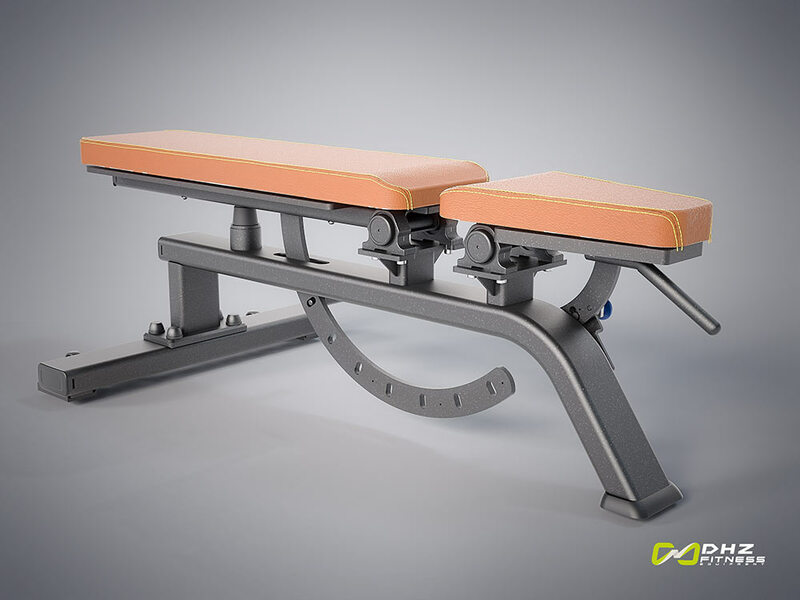 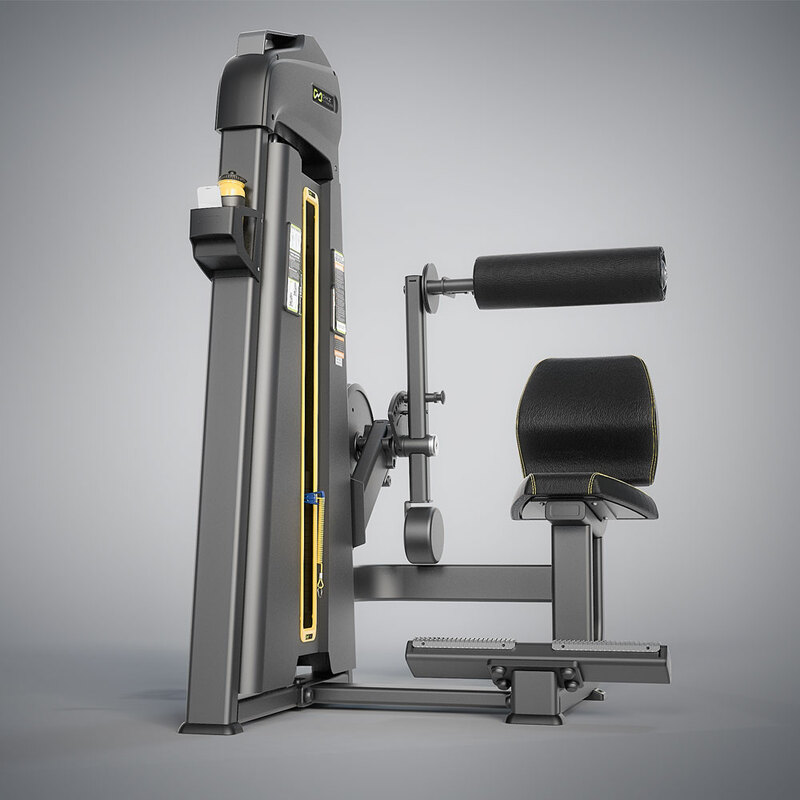 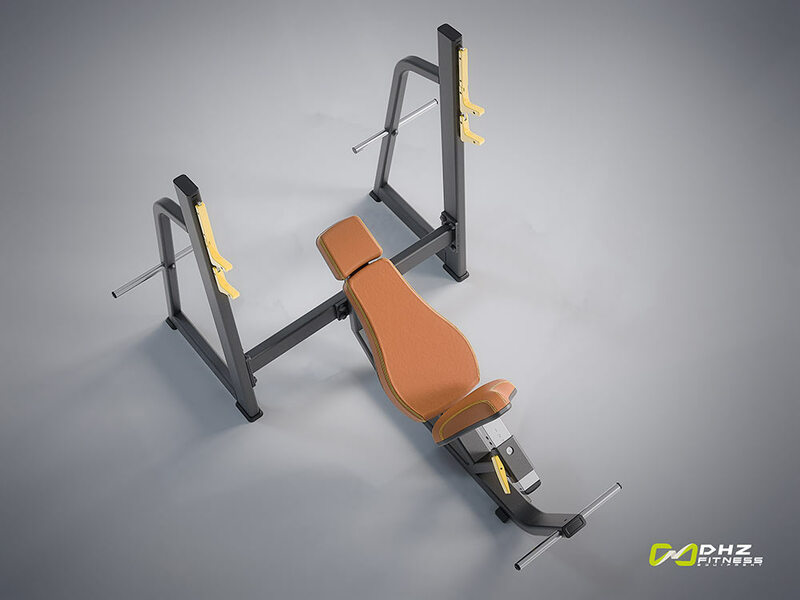 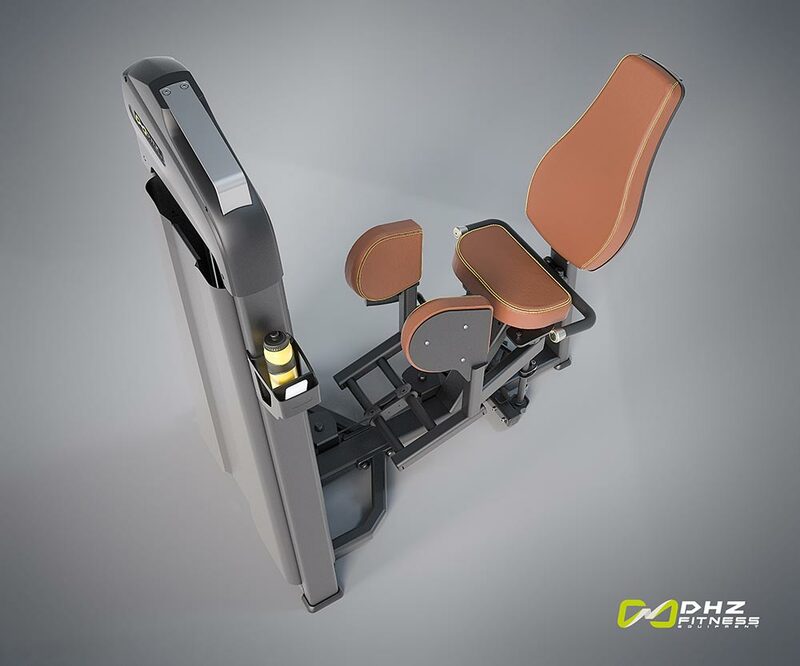 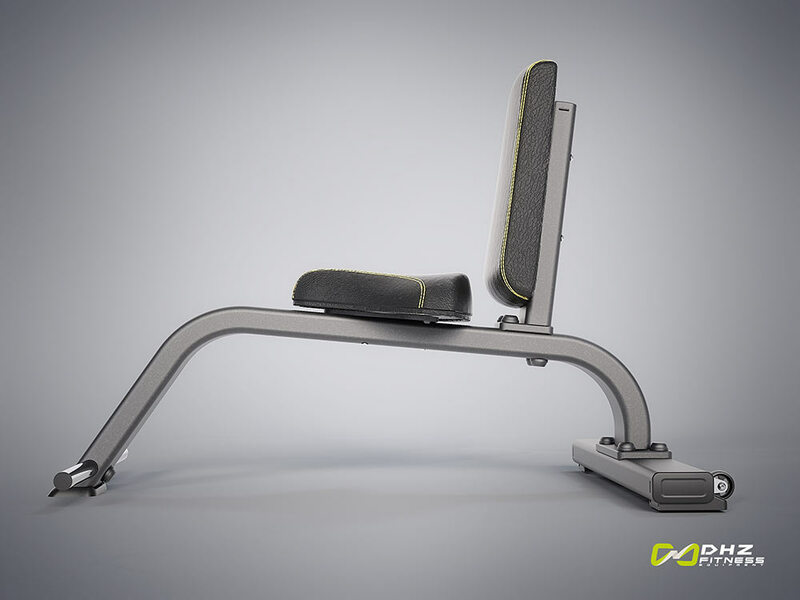 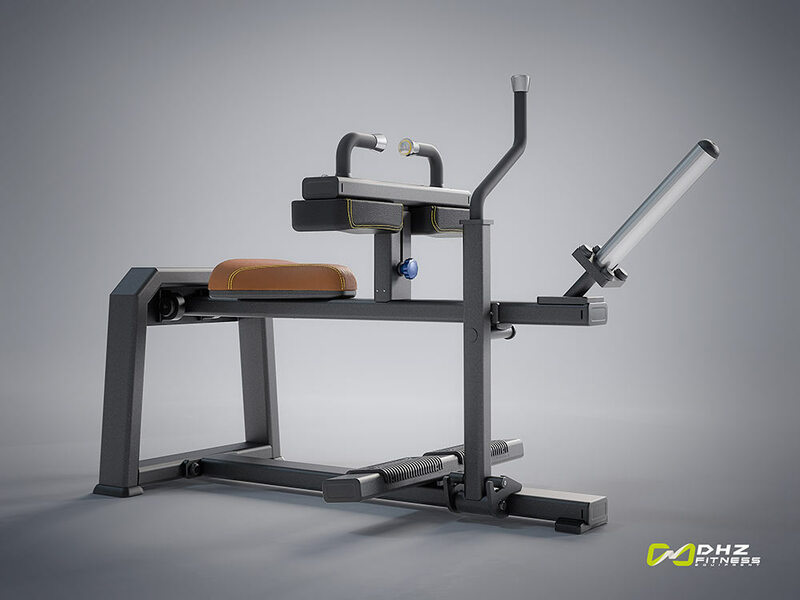 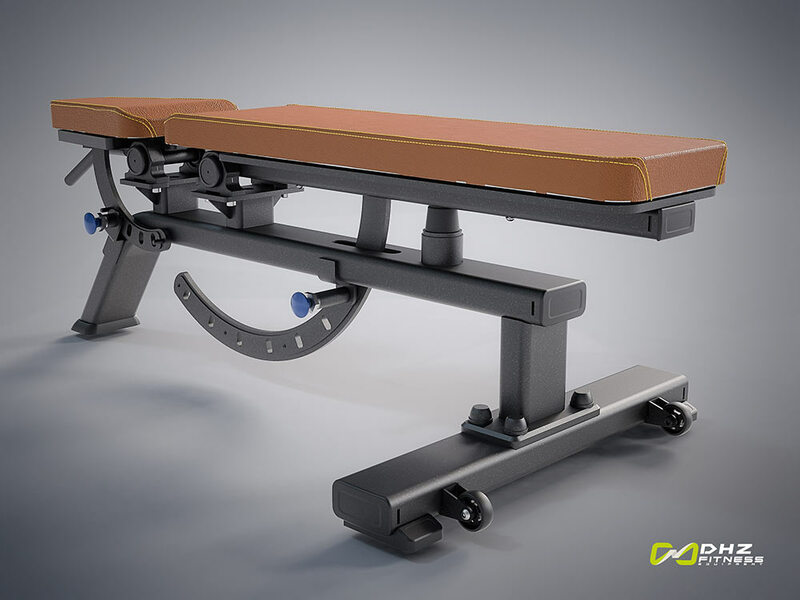 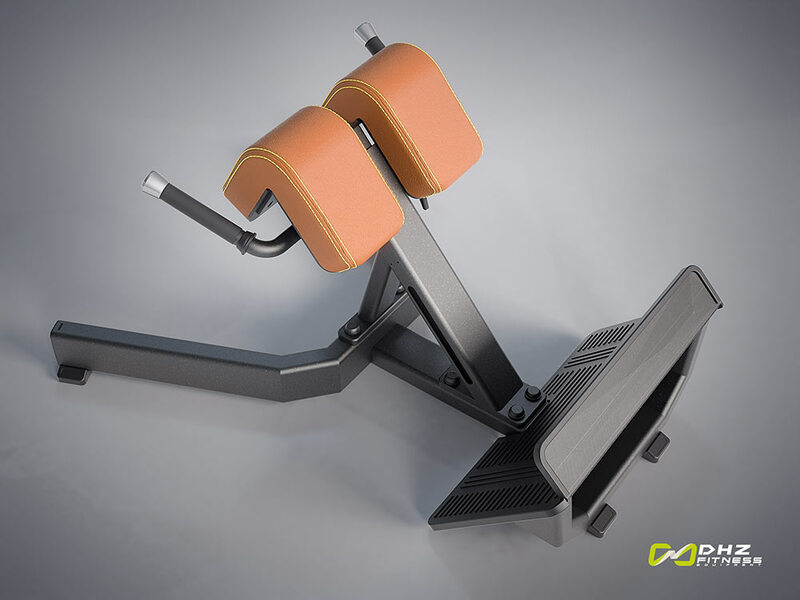 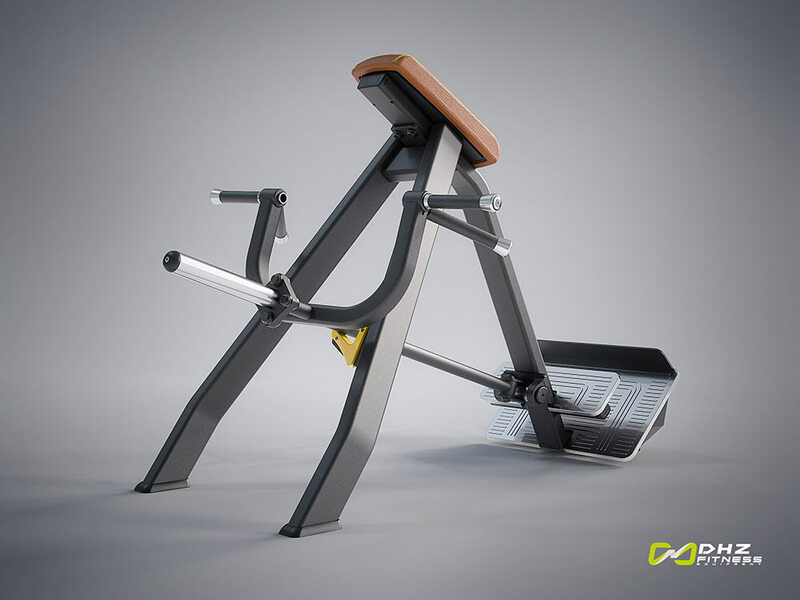 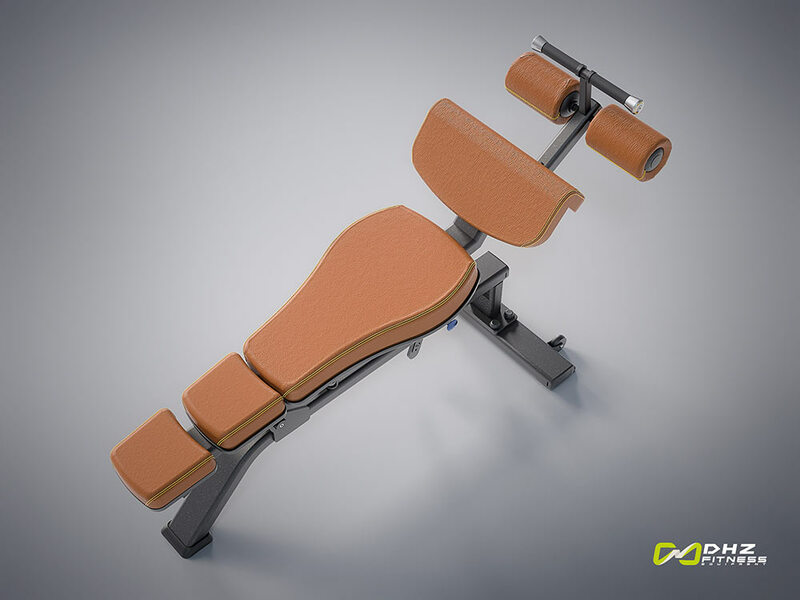 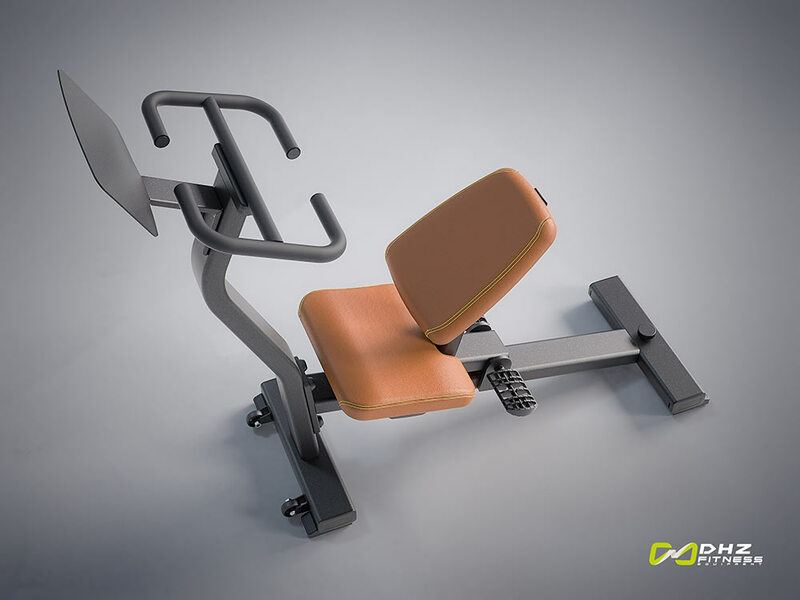 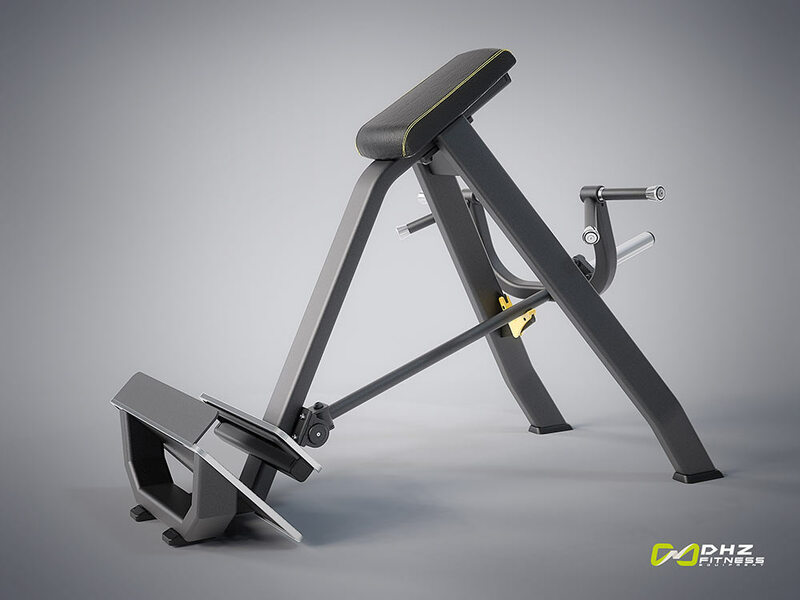 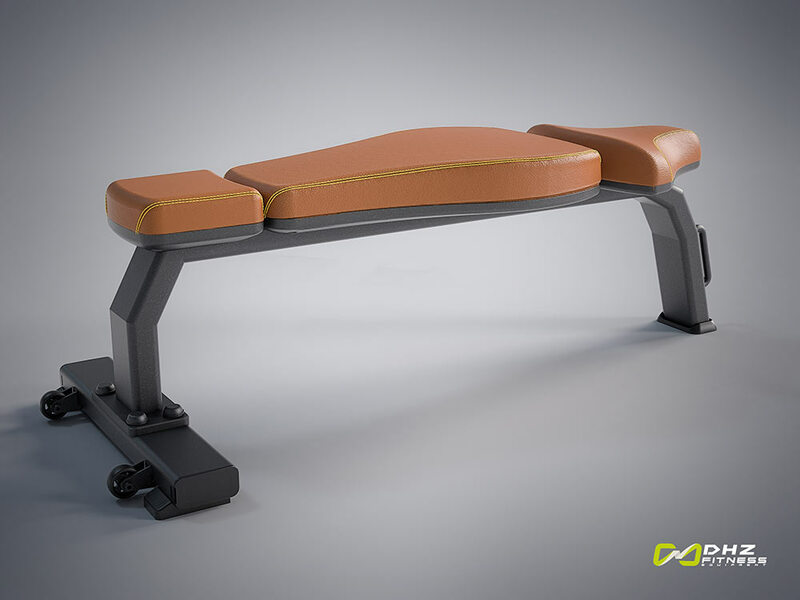 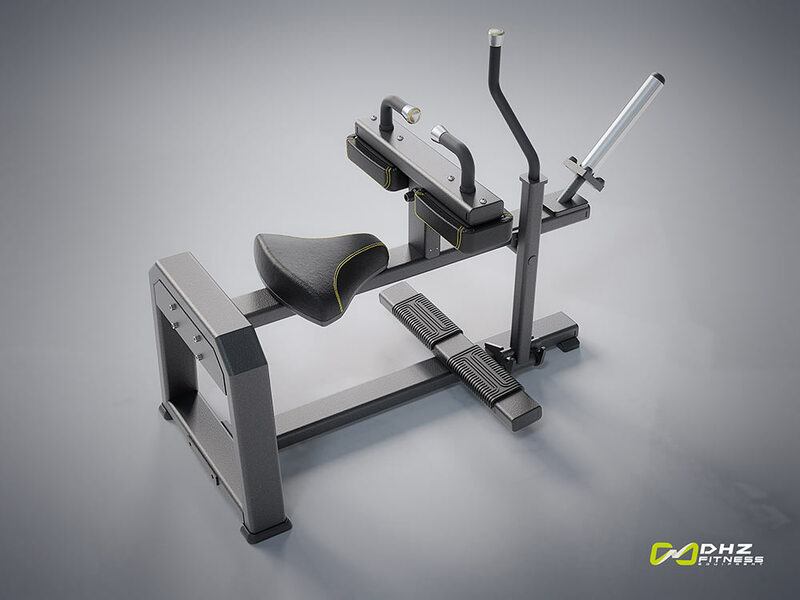 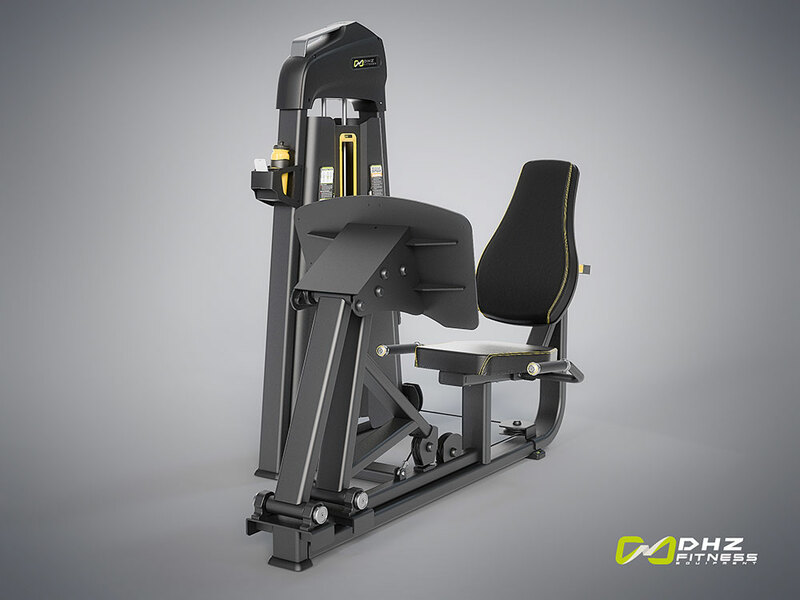 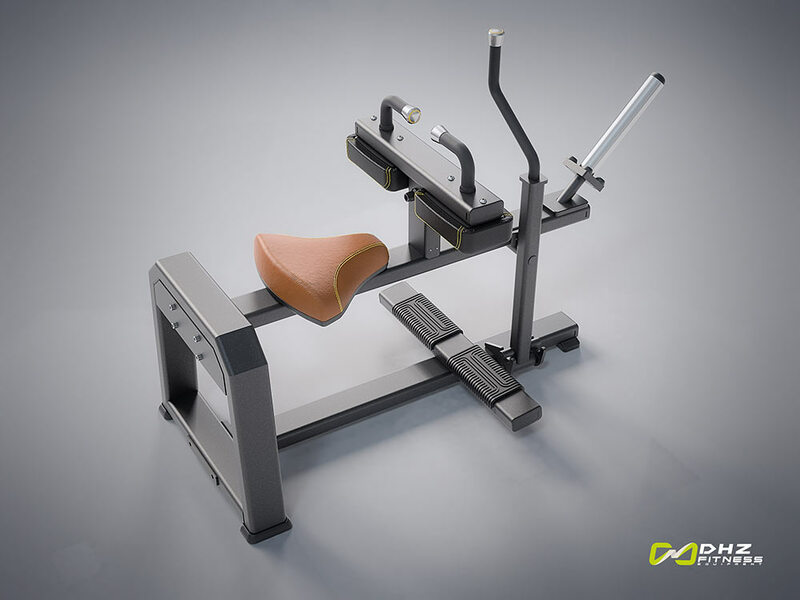 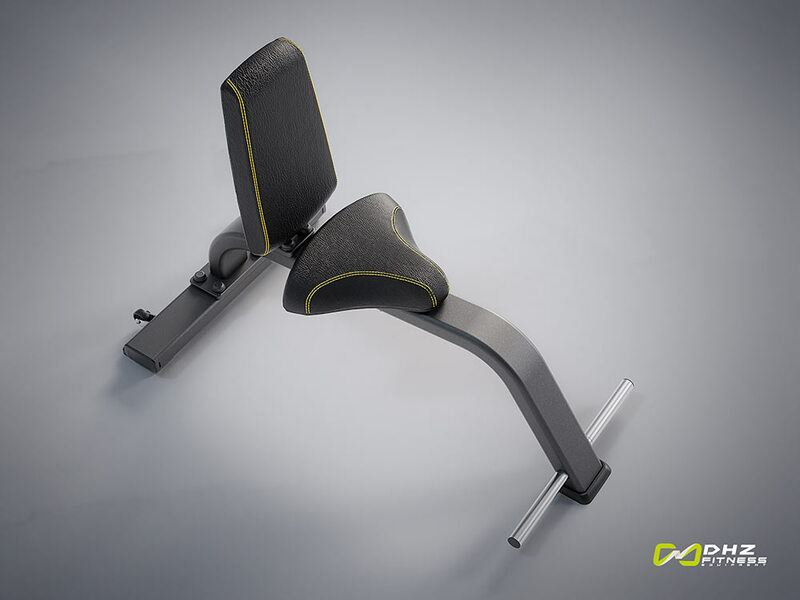 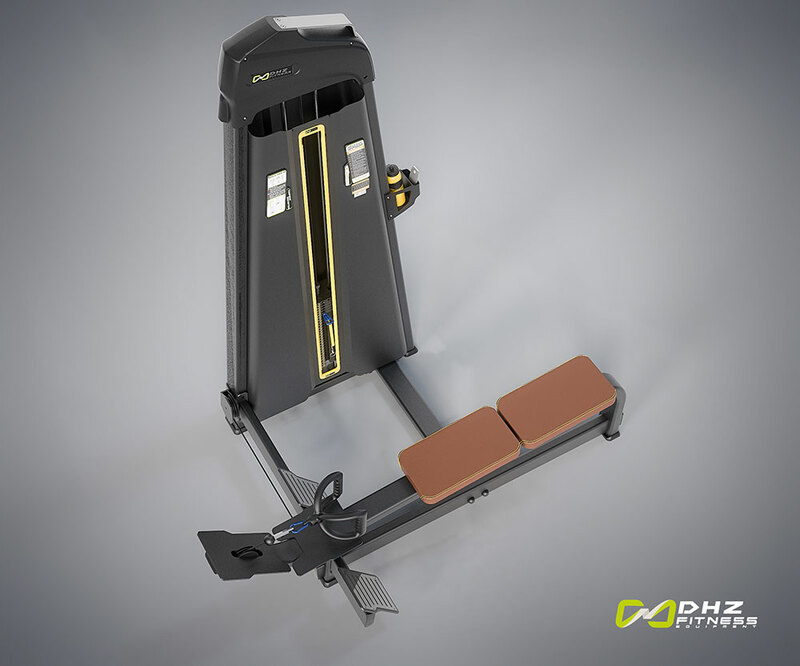 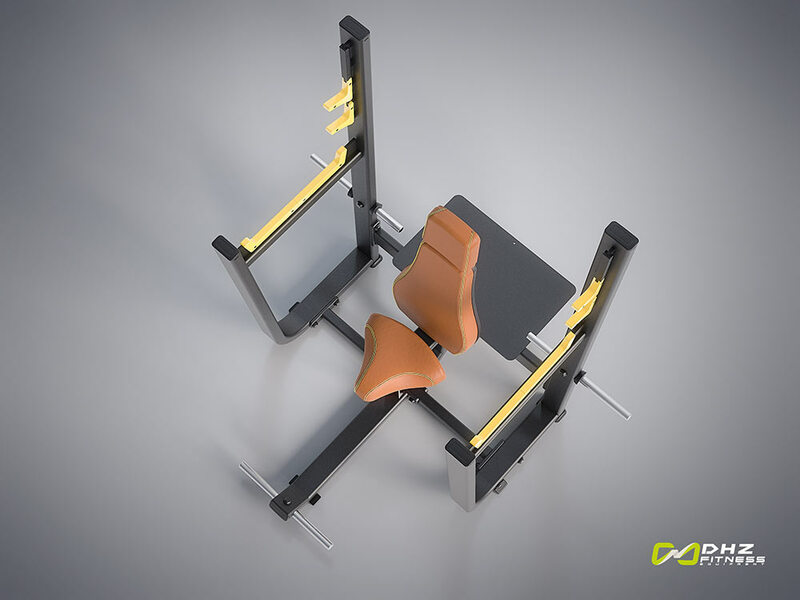 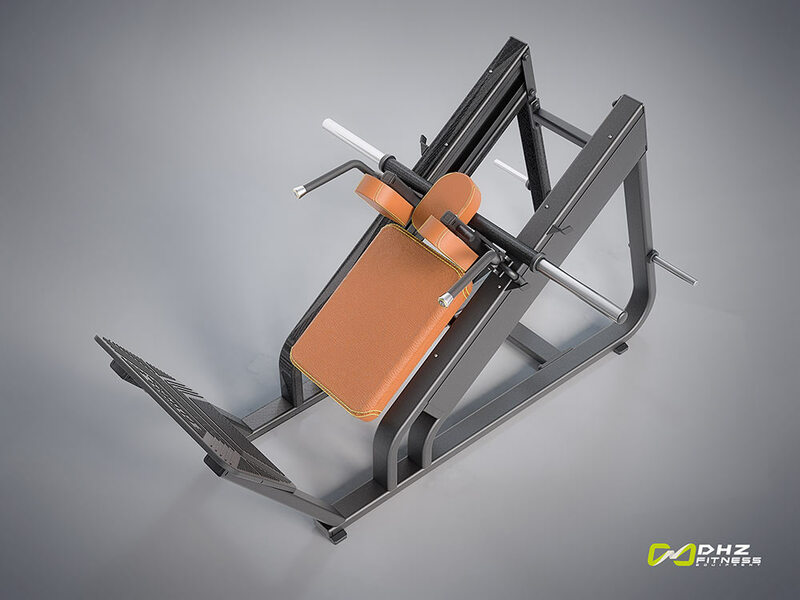 backrest stabilises the pelvis and ensures an isolated abdominal workout. 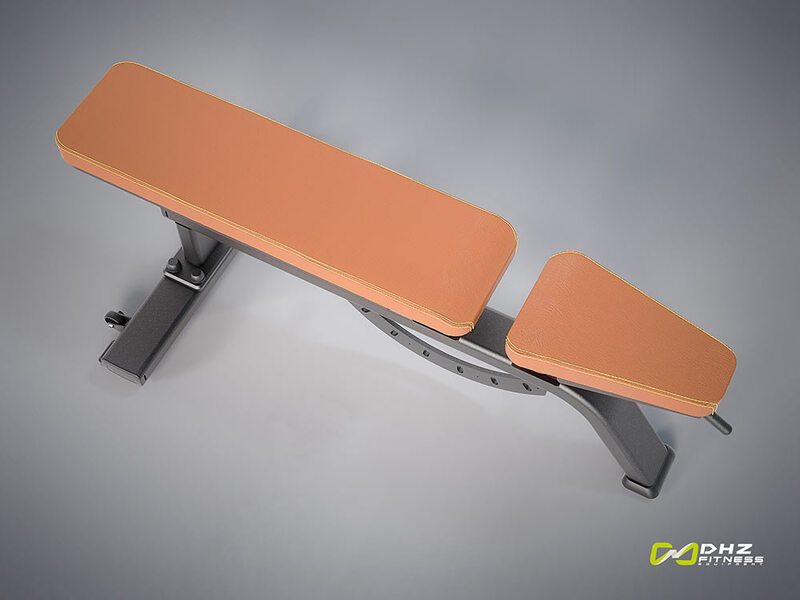 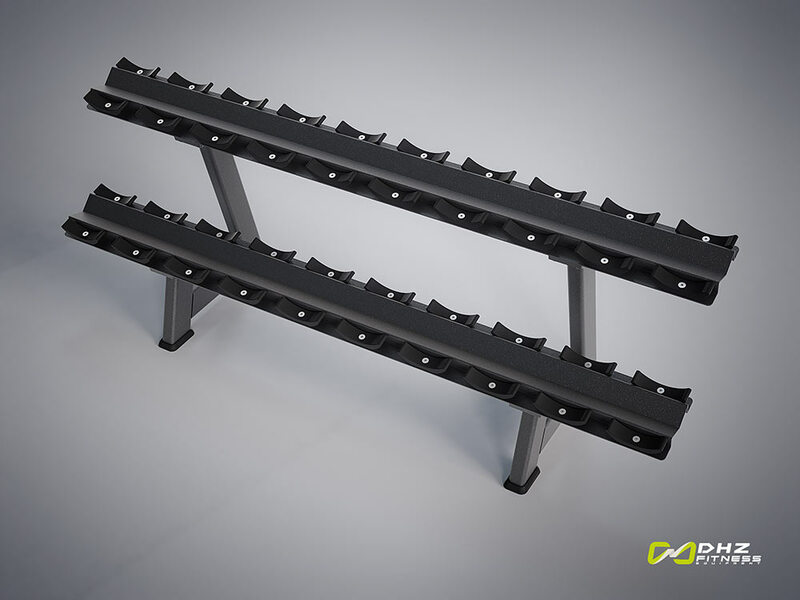 The large foot plate provides sufficient stability. 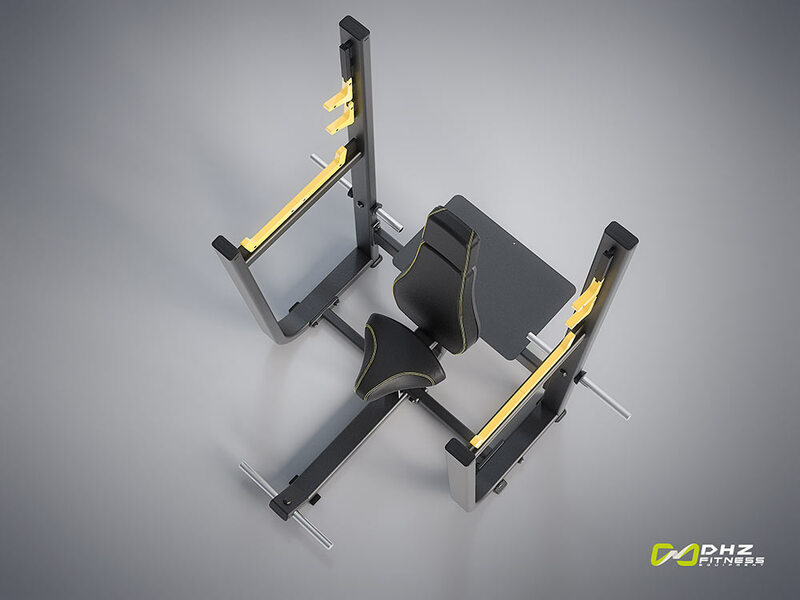 Adjustable seat height adapt to user sizes. 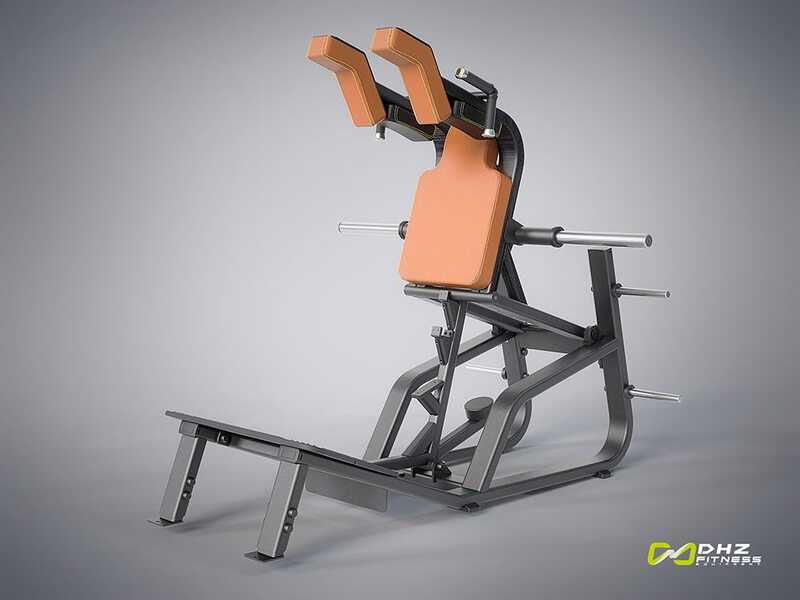 At the correct seat height, a biomechanically correct movement sequence can be ensured. 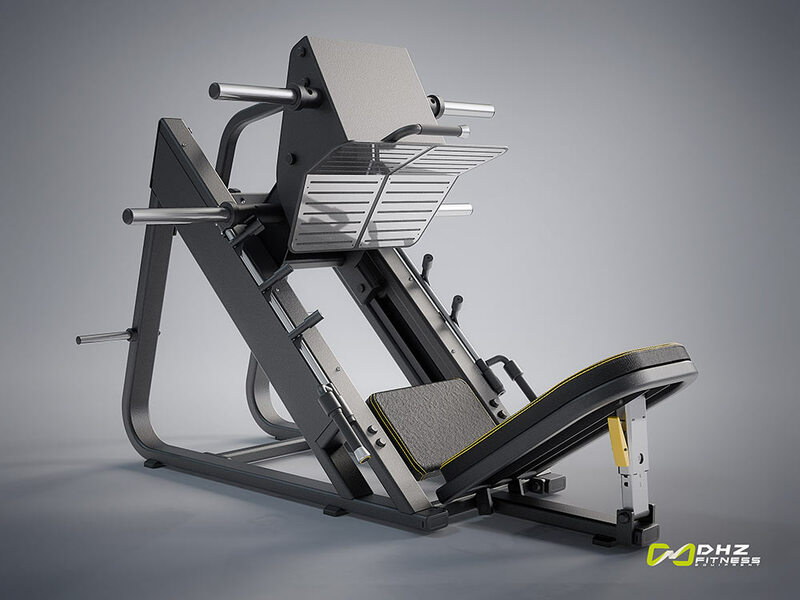 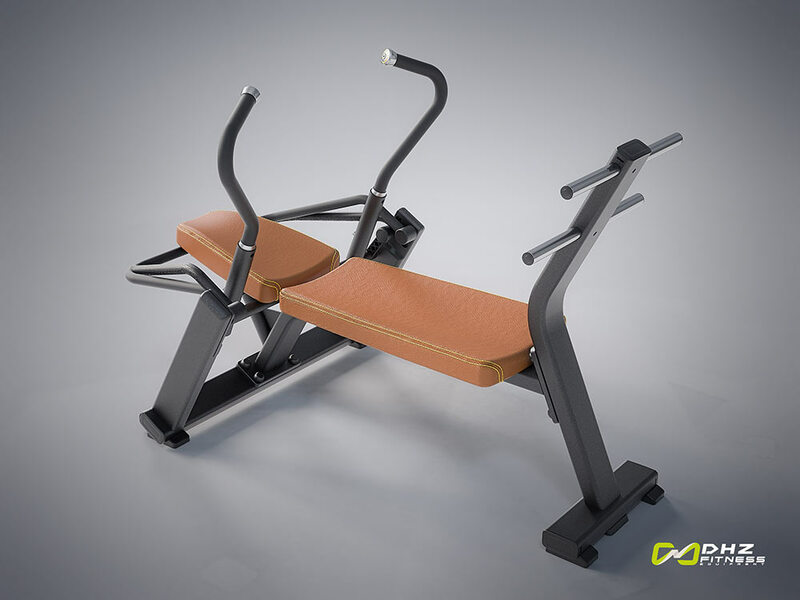 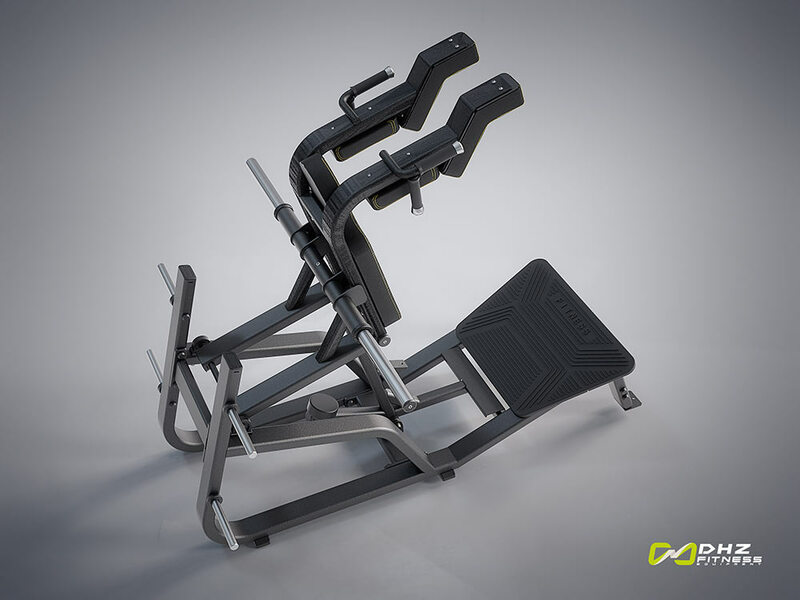 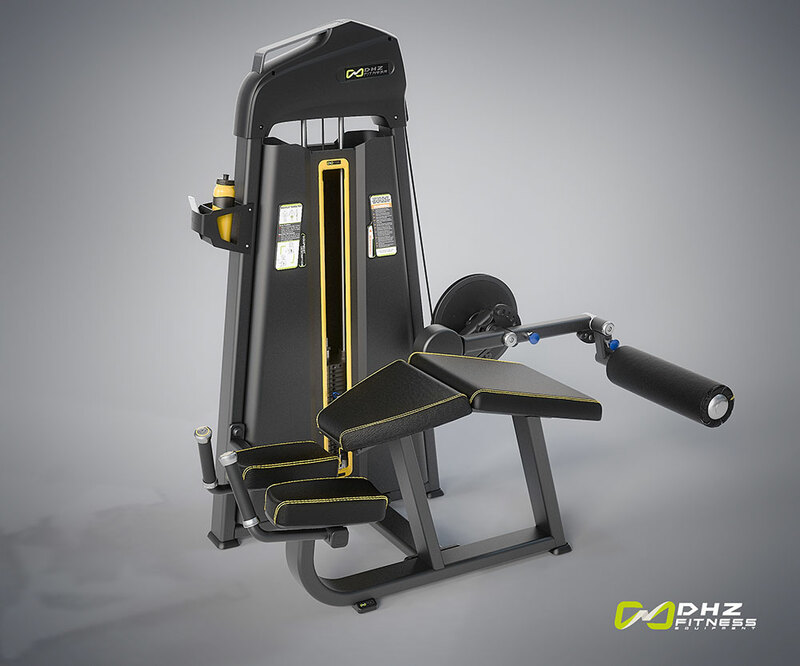 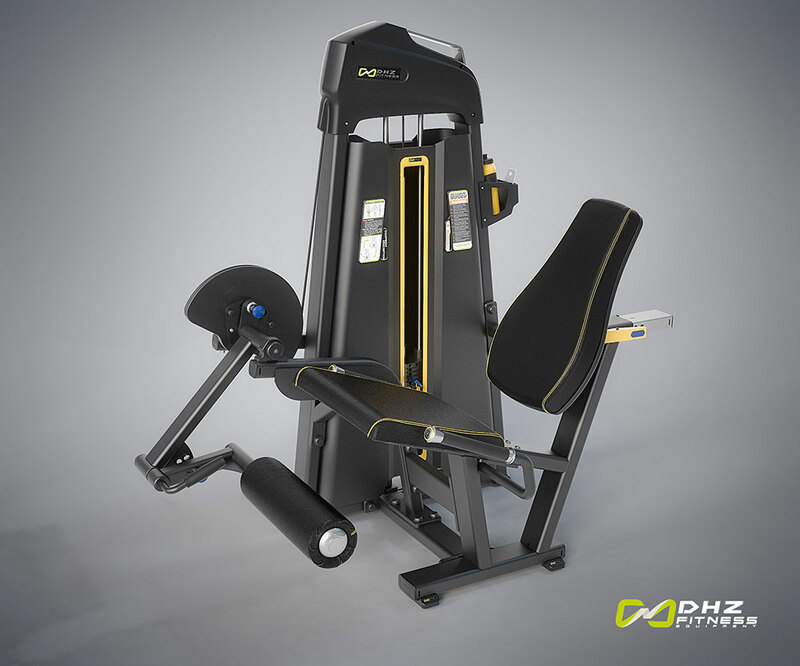 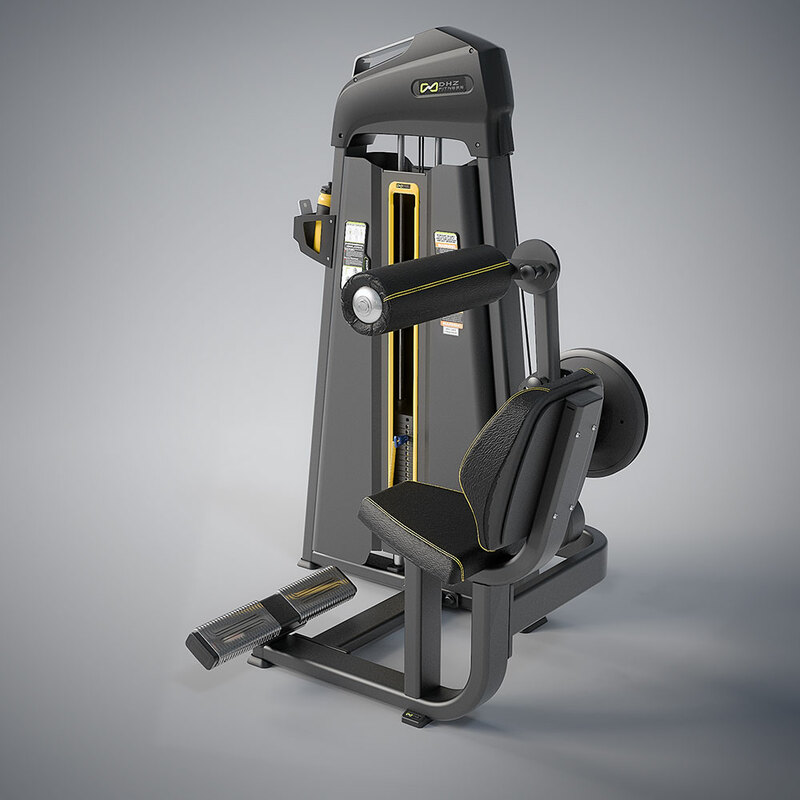 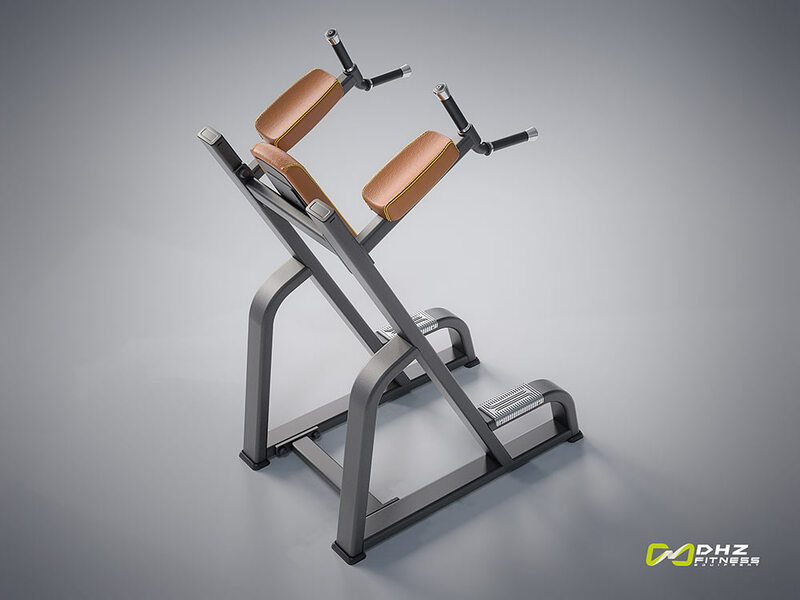 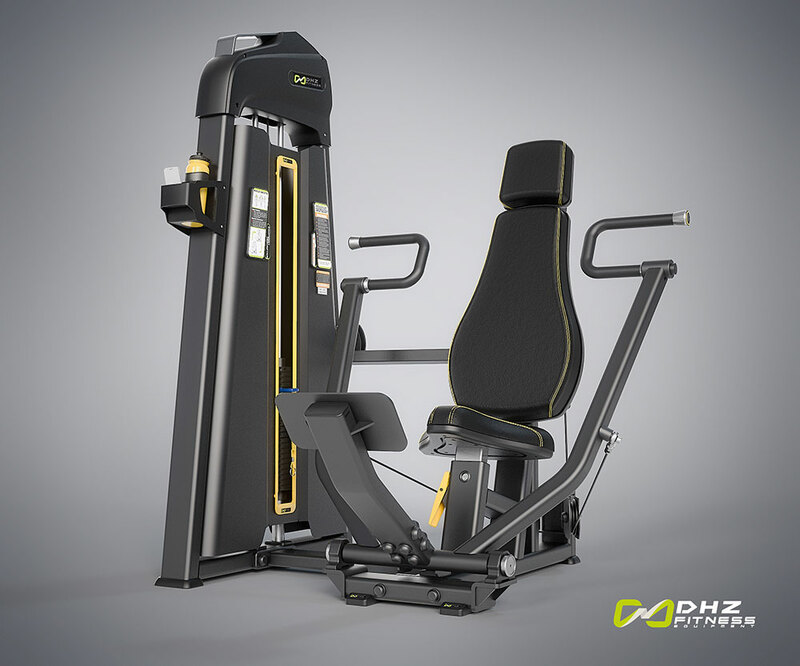 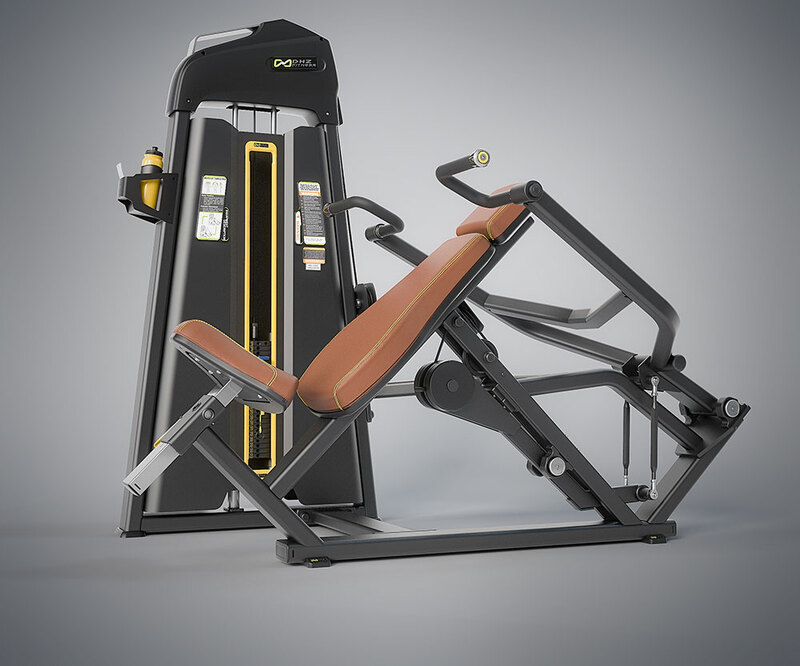 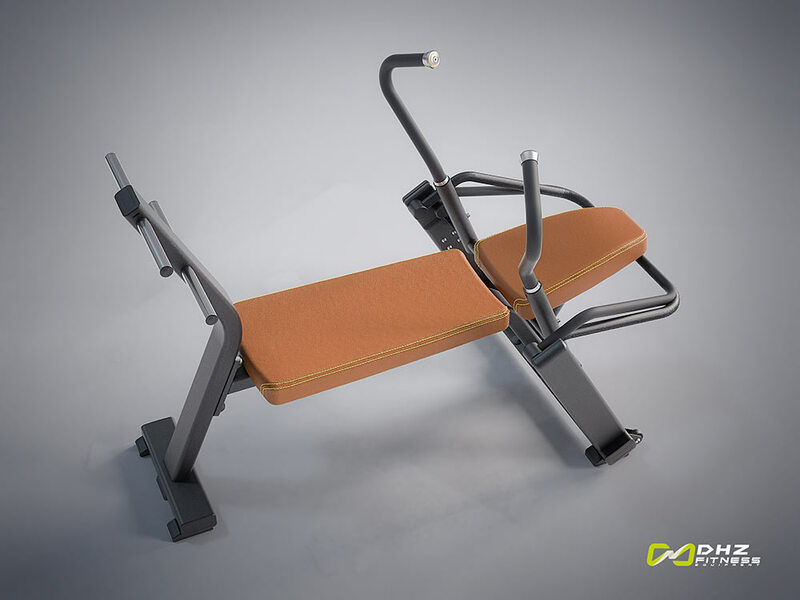 The seat and upper arm cushions are heavily bent and vary the exercise from the KG-E15-01027 equipment. 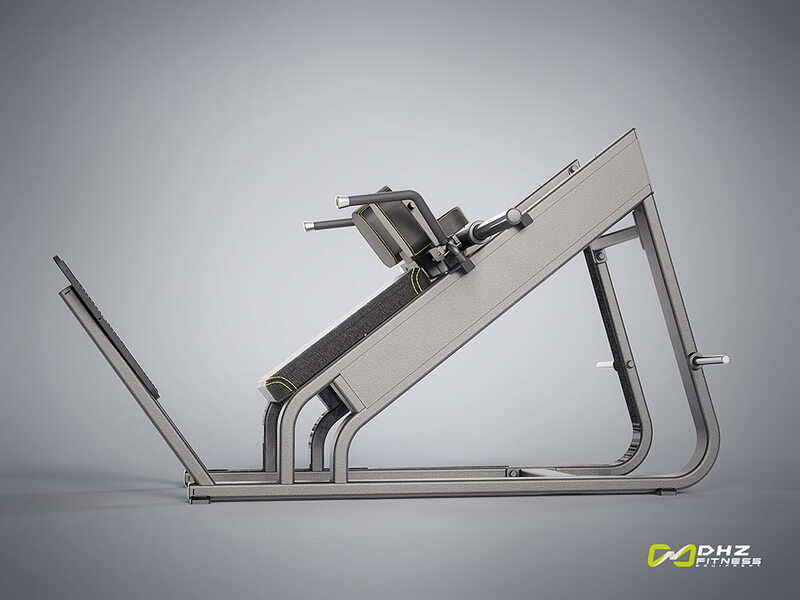 A rotating handle secures the adjustment to di erent arm lengths. 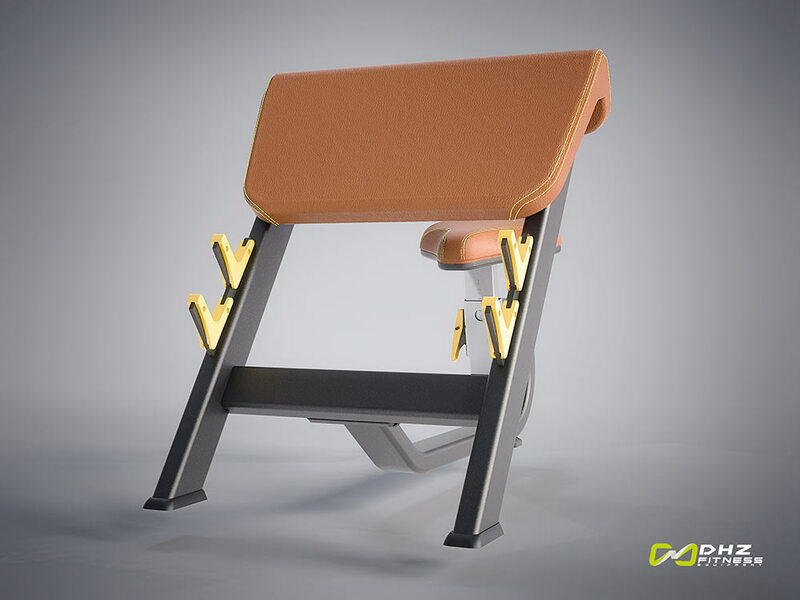 At the correct seat height, a biomechanically correct movement sequence can be ensured. 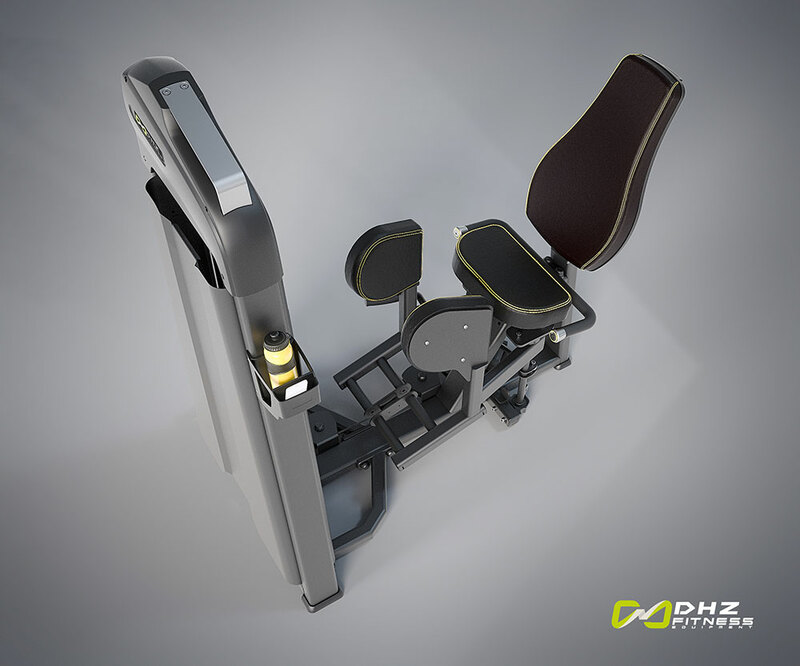 Handgrip and roles for mobility. 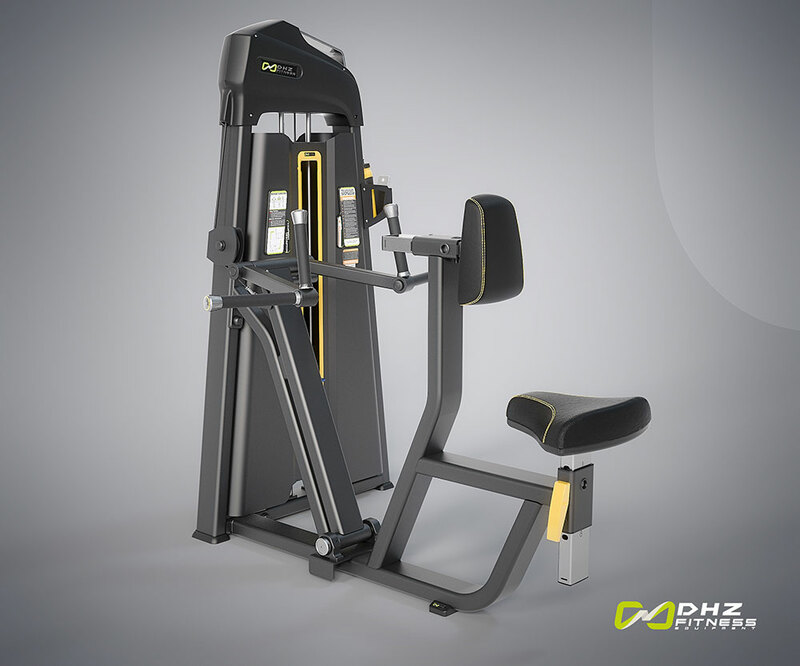 The adjustable start mechanism can be adjusted to the desired range of motion. 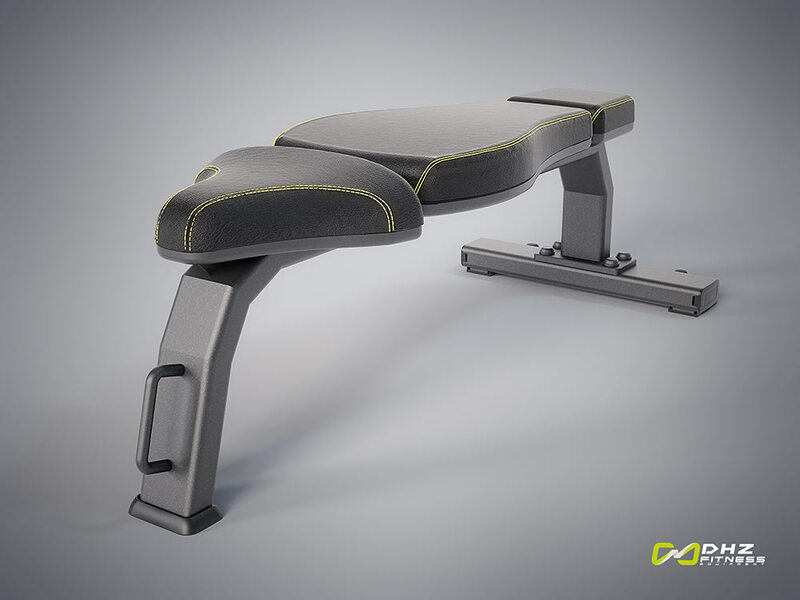 Comfortable seat and footrest for users of any body size. 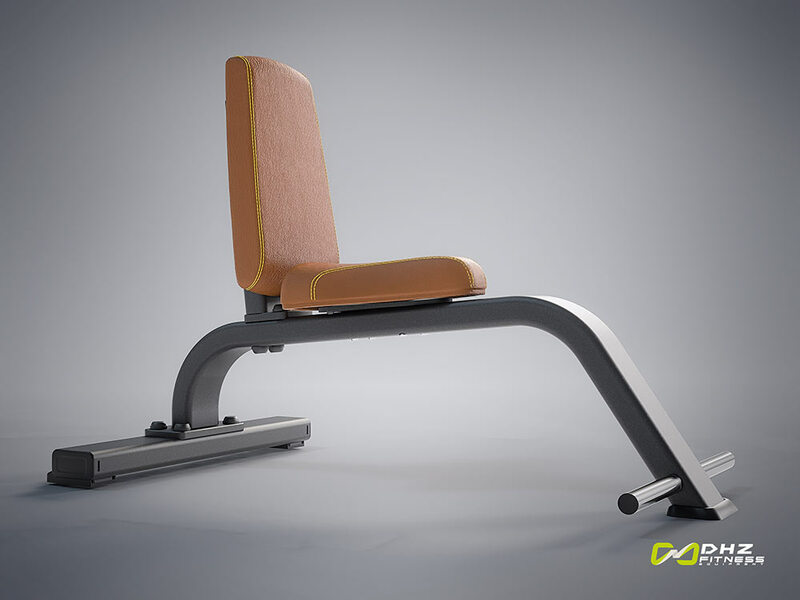 Comfortable weight selection from the seat. 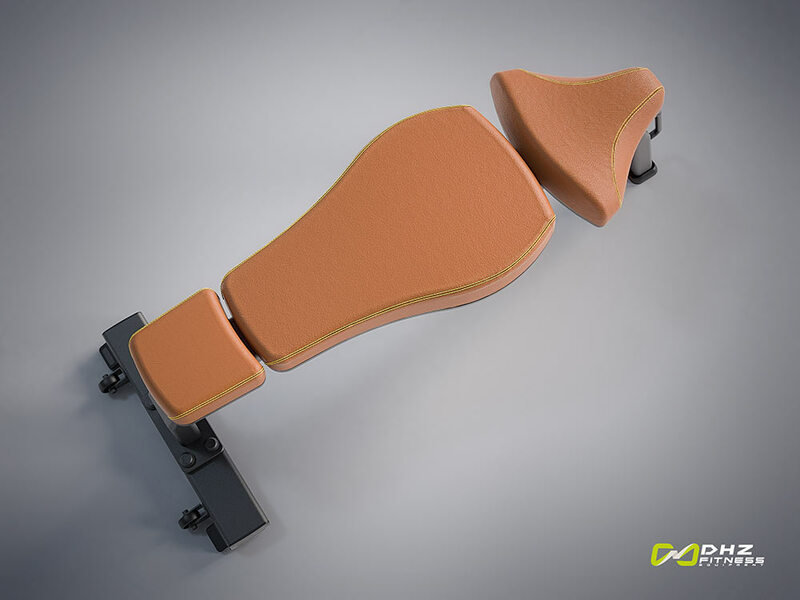 Adjustable knee pads to adopt to user sizes. 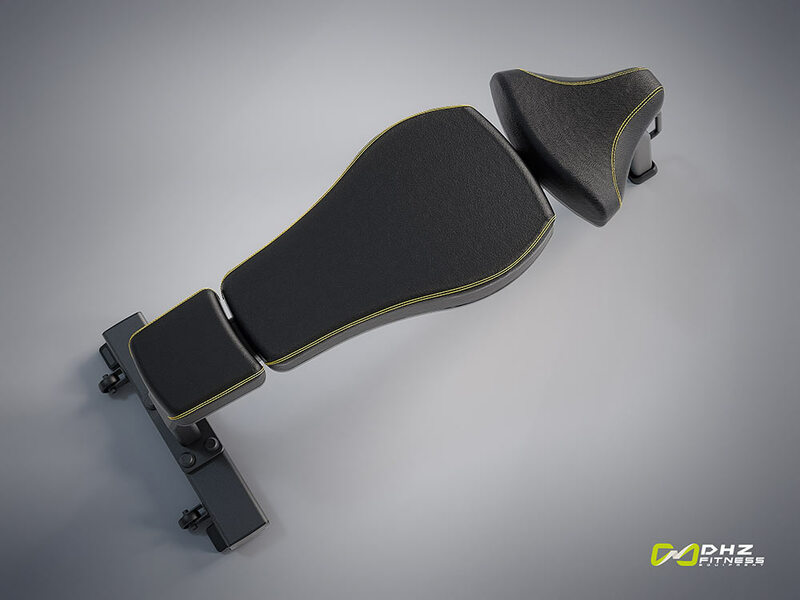 Adjustable seat position for various user sizes. 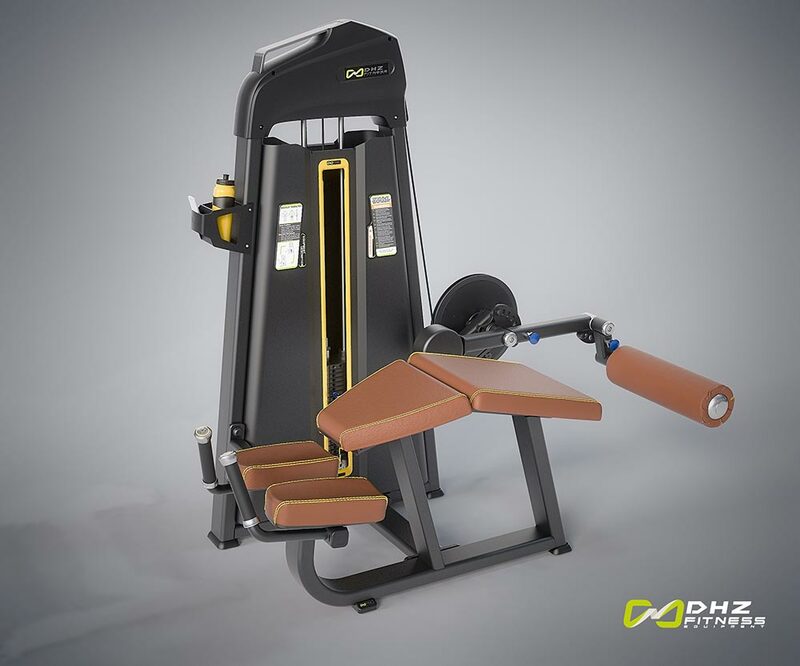 The polyurethane coating reduces wear and makes for a gentle workout. 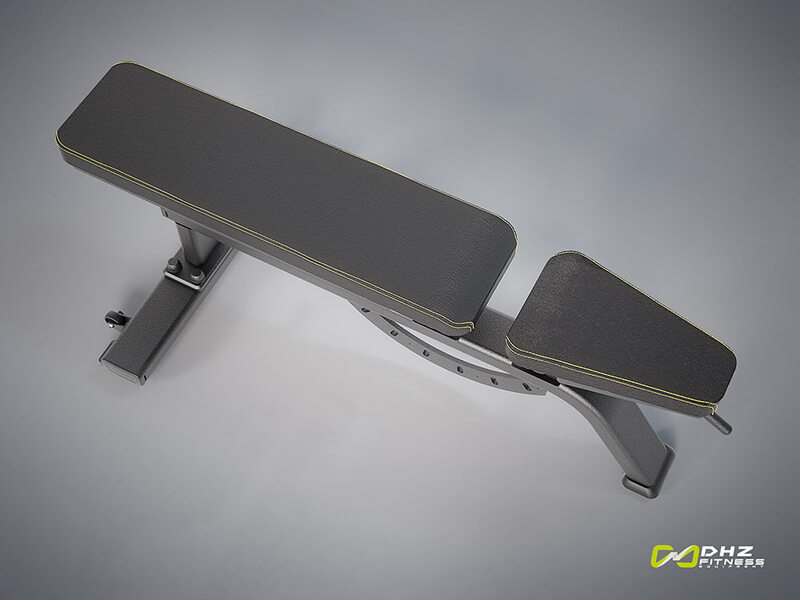 Shaped urethane footrest pads protect the frame. 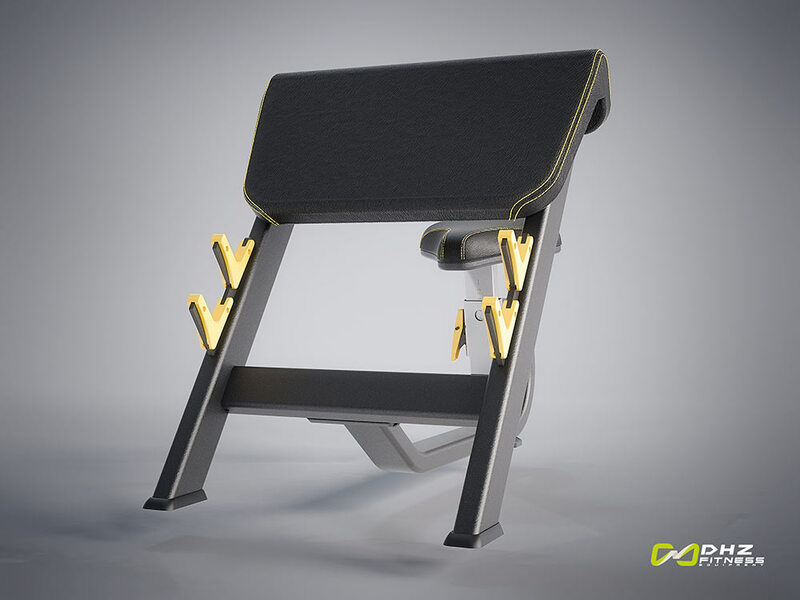 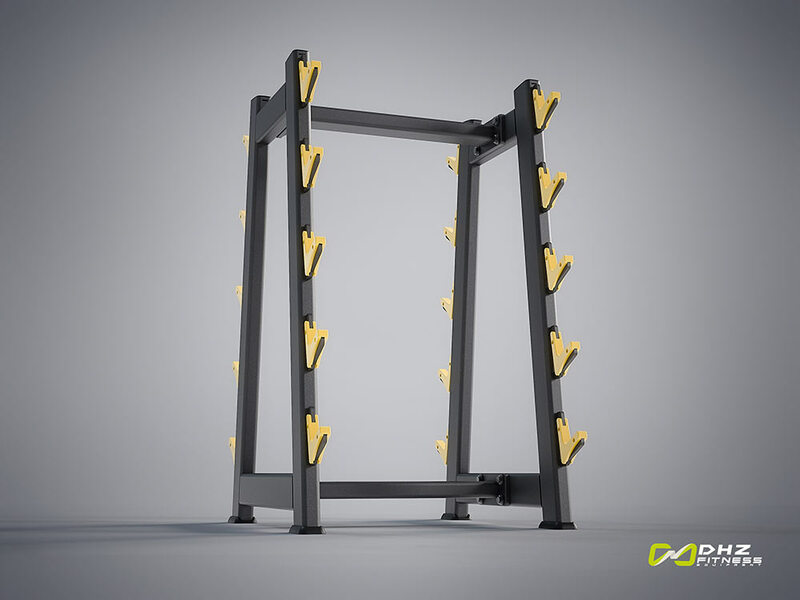 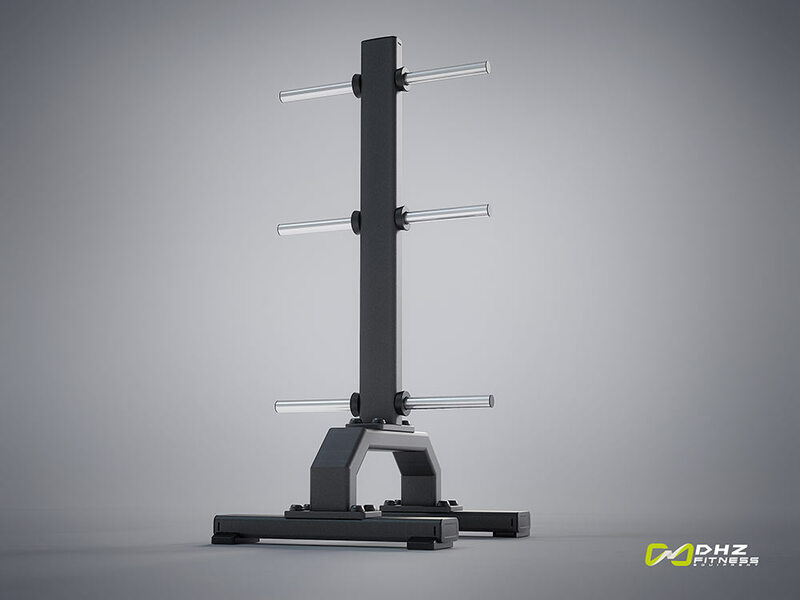 Height-adjustable protection can be attached individually. 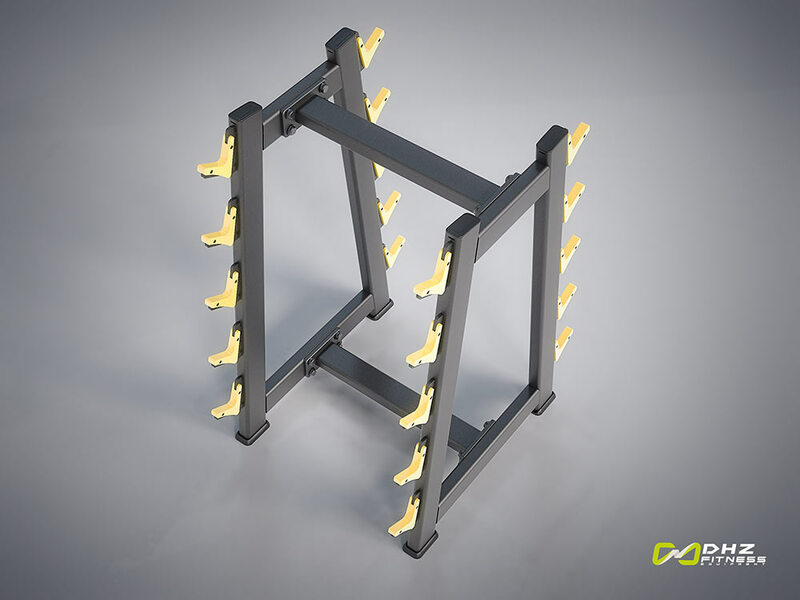 Easy to mount and remove the plates. 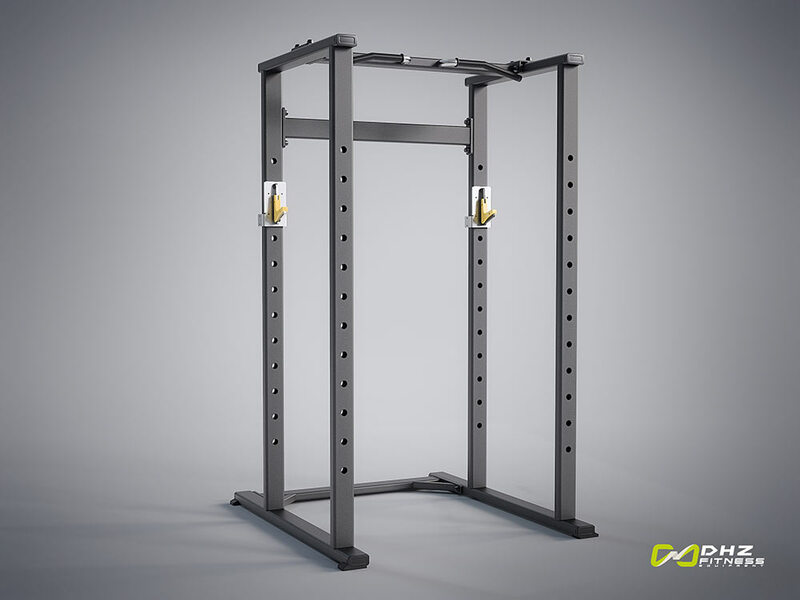 Two additional storage for weight plates. 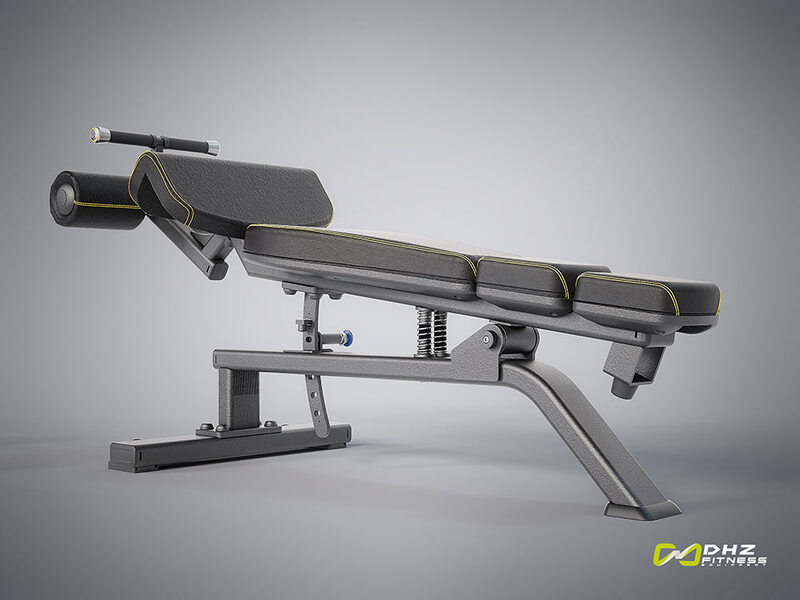 The chest cushion ensures a comfortable lying surface. 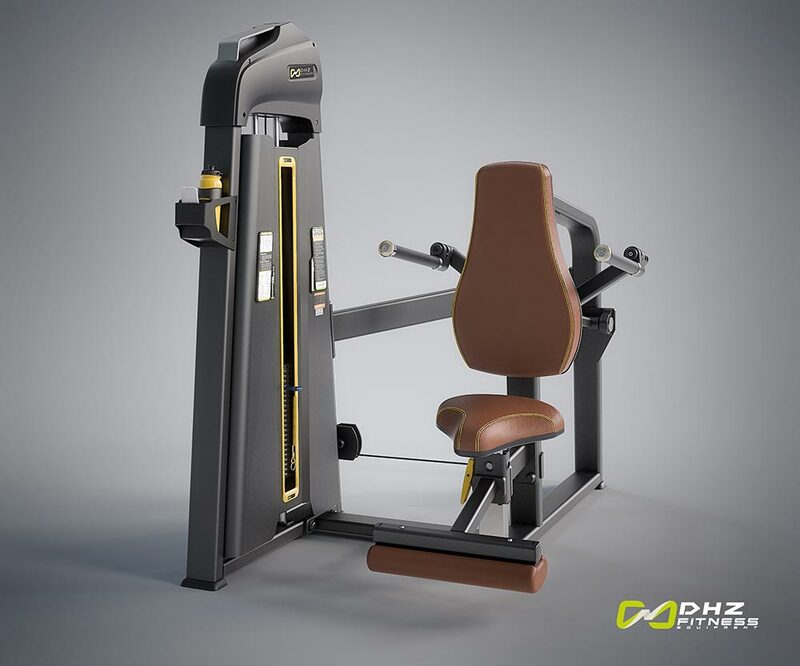 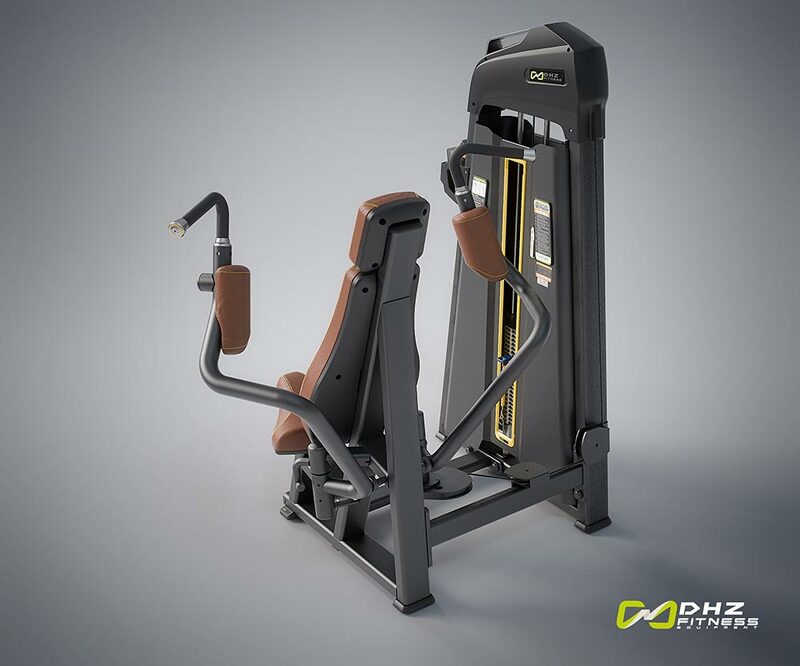 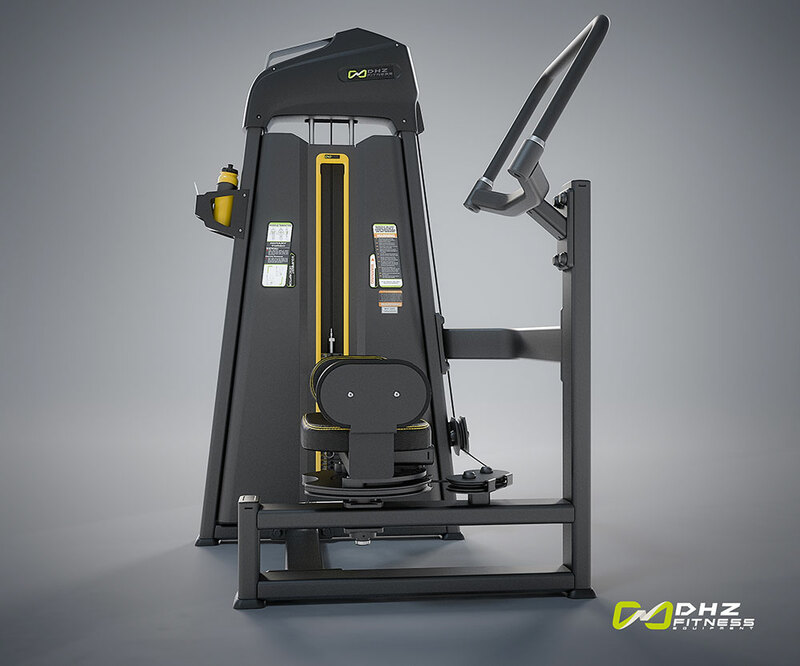 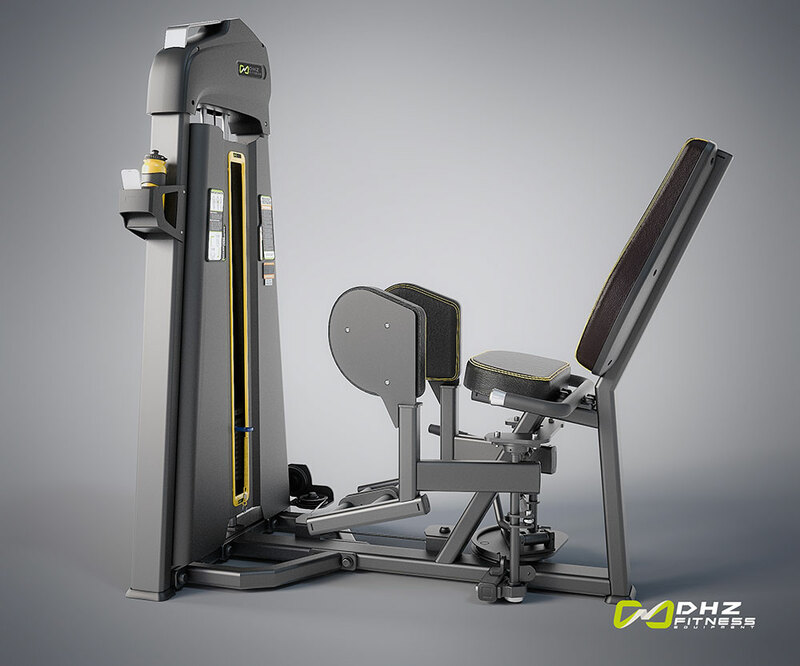 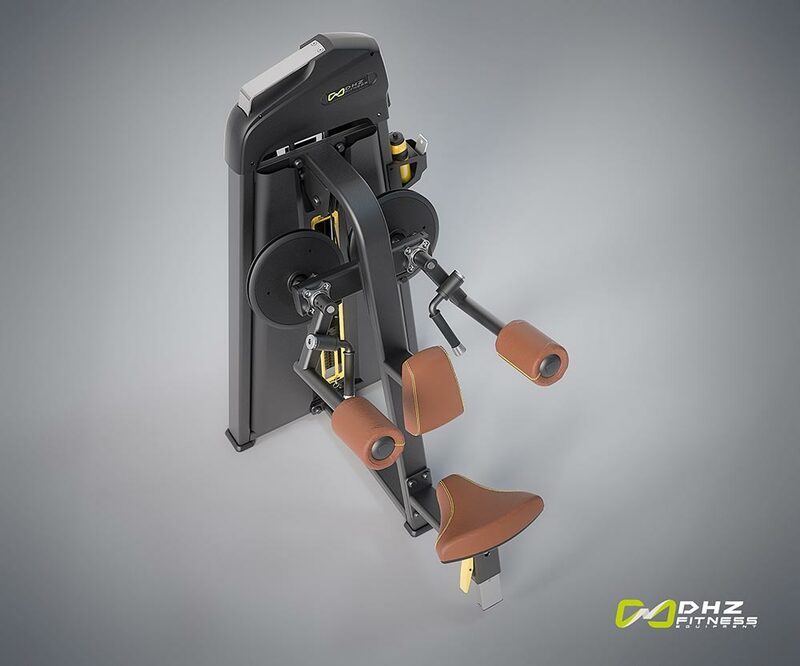 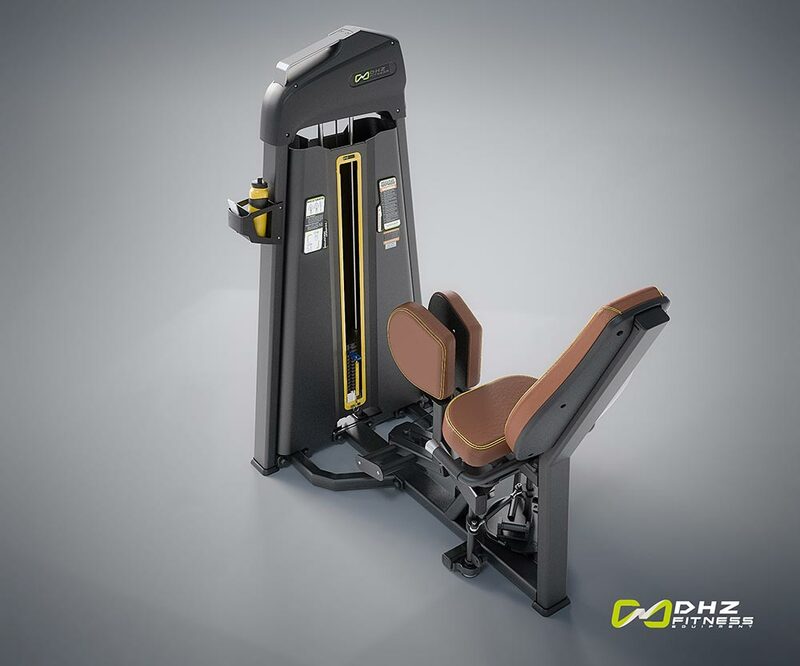 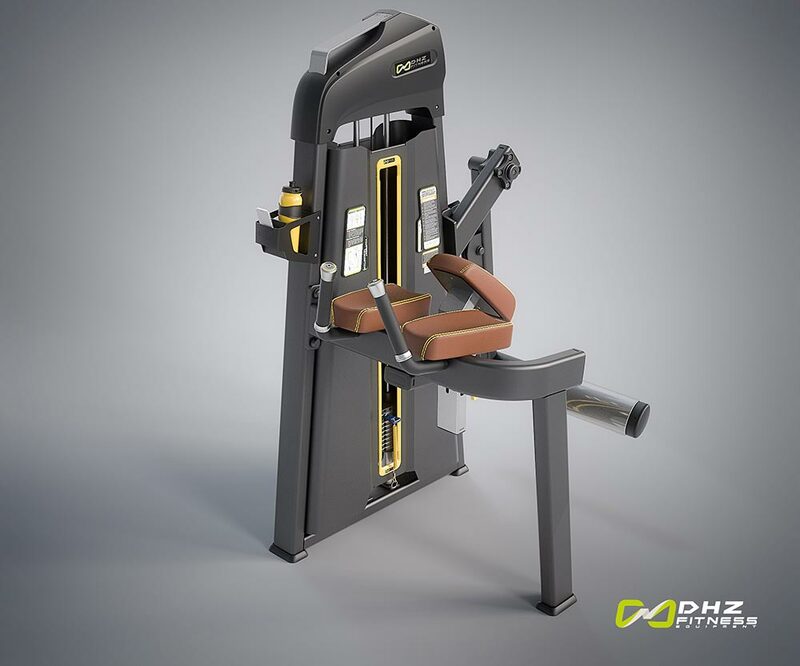 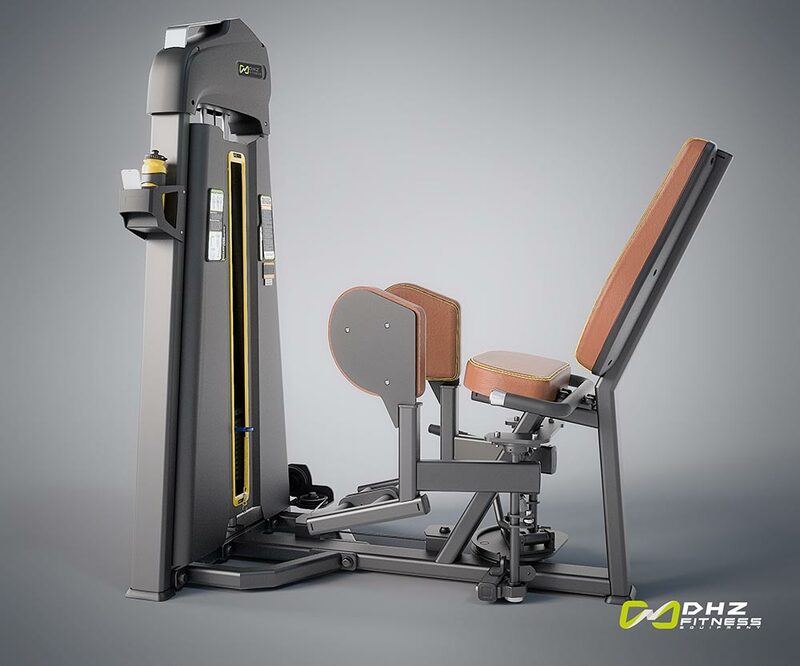 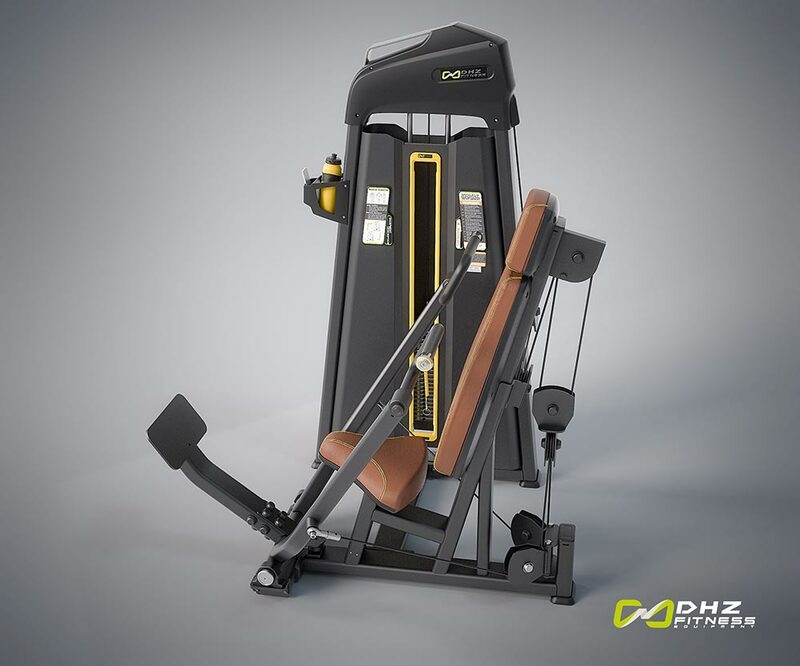 Stations: Triceps pushdown, 2x lat pulldown, dual pulley, pulldown, row, dual pulley row, adjustable pulley, fix pulley, cable crossover, adjustable pulley cable crossover. Five modular weight stacks and independent stations. 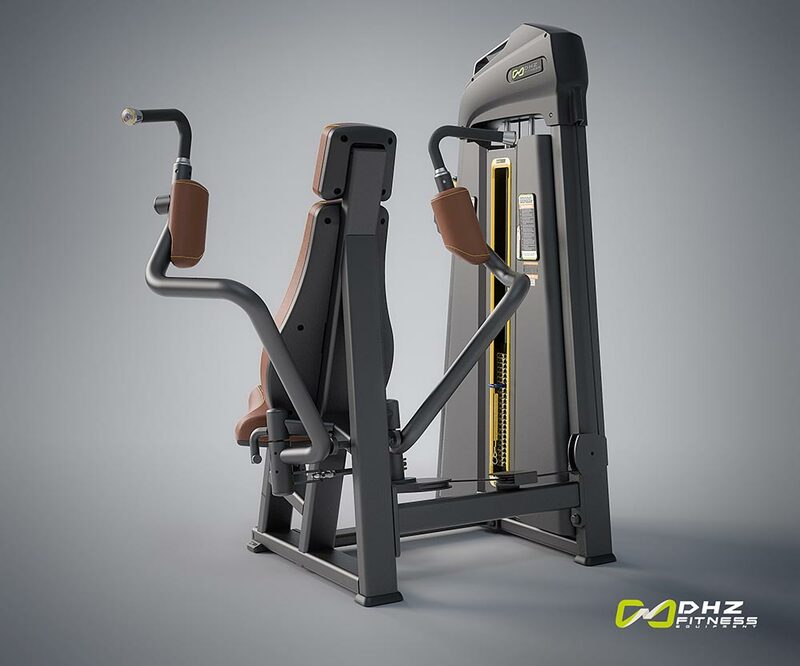 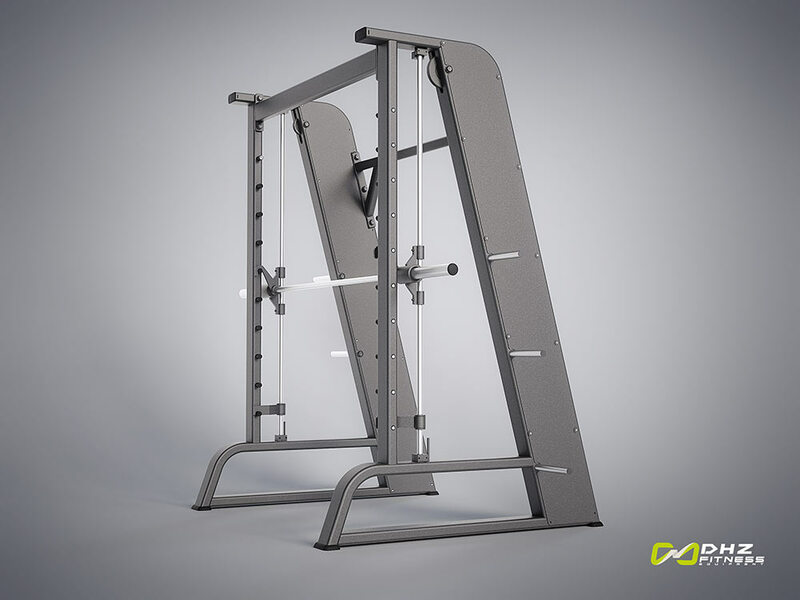 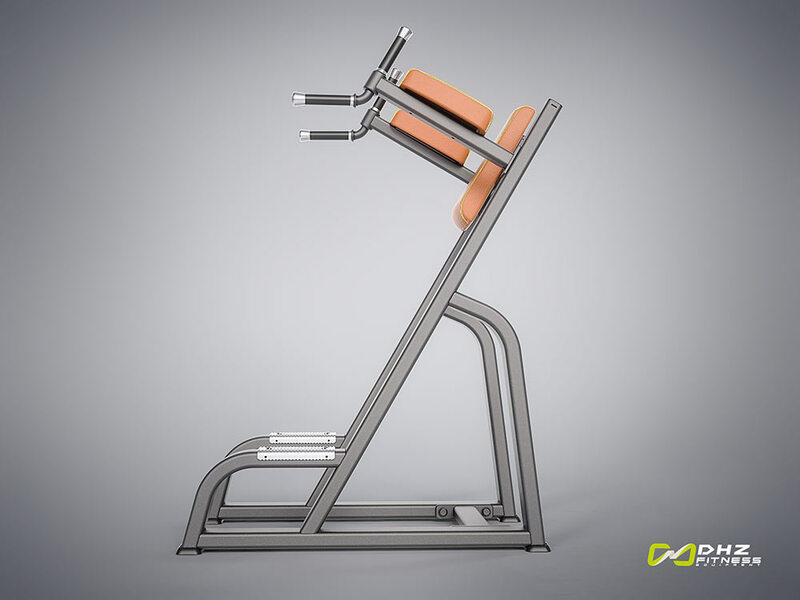 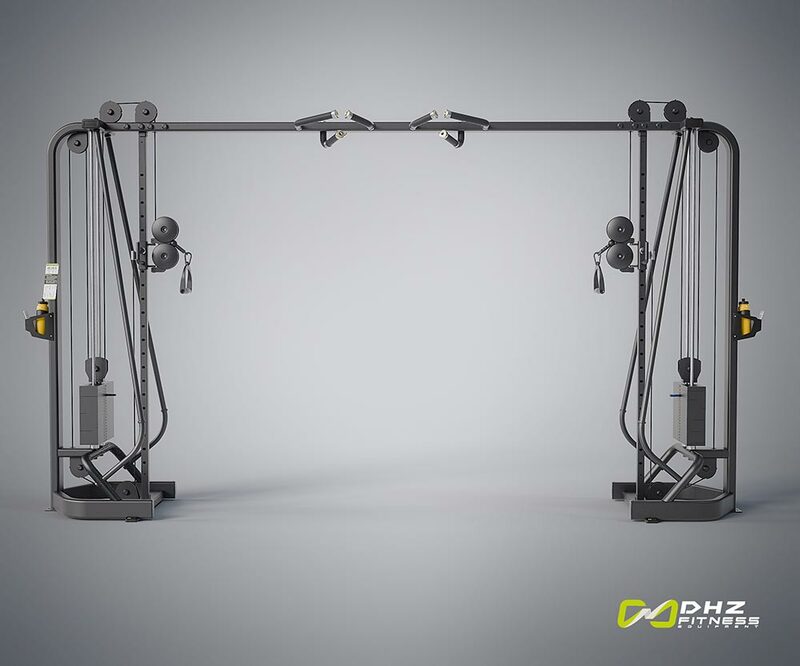 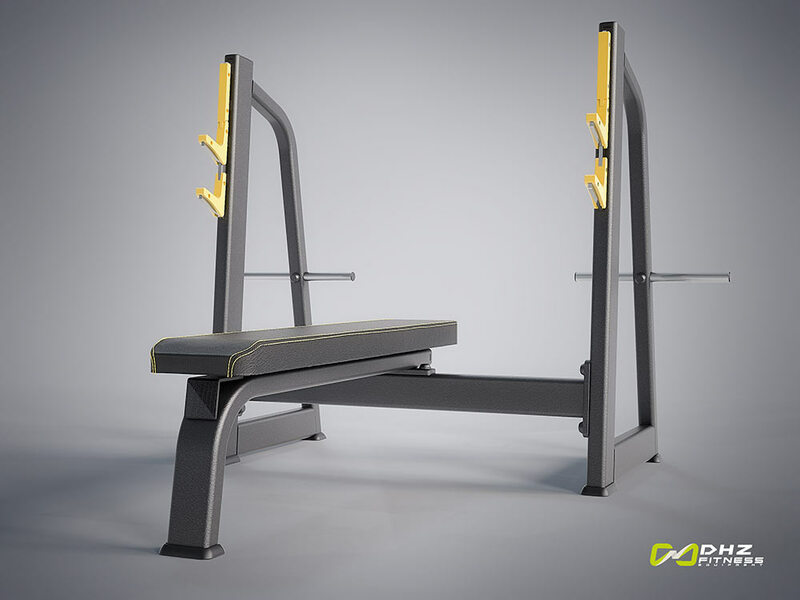 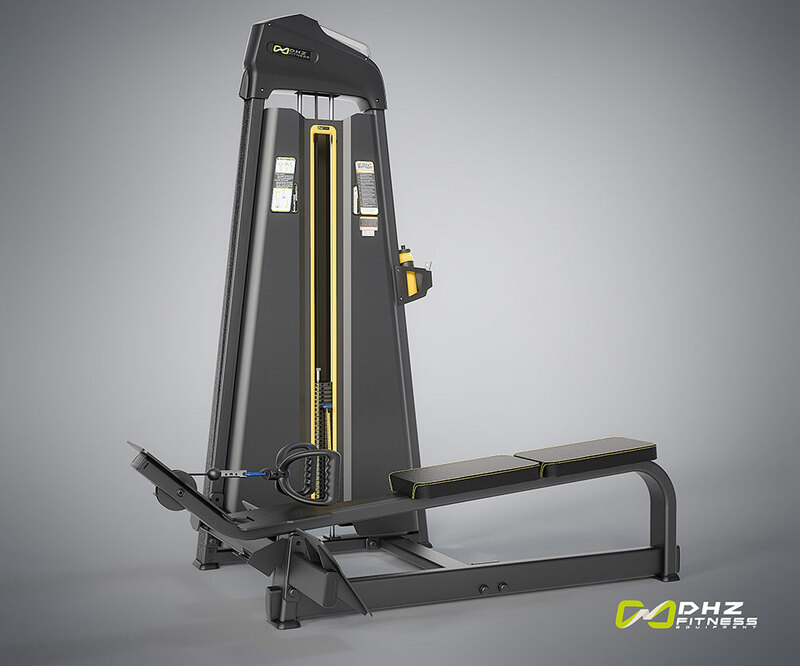 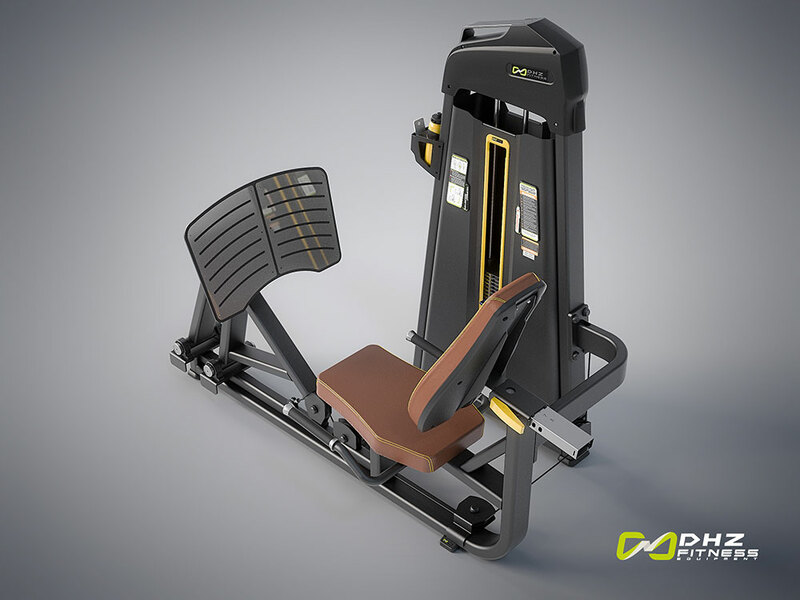 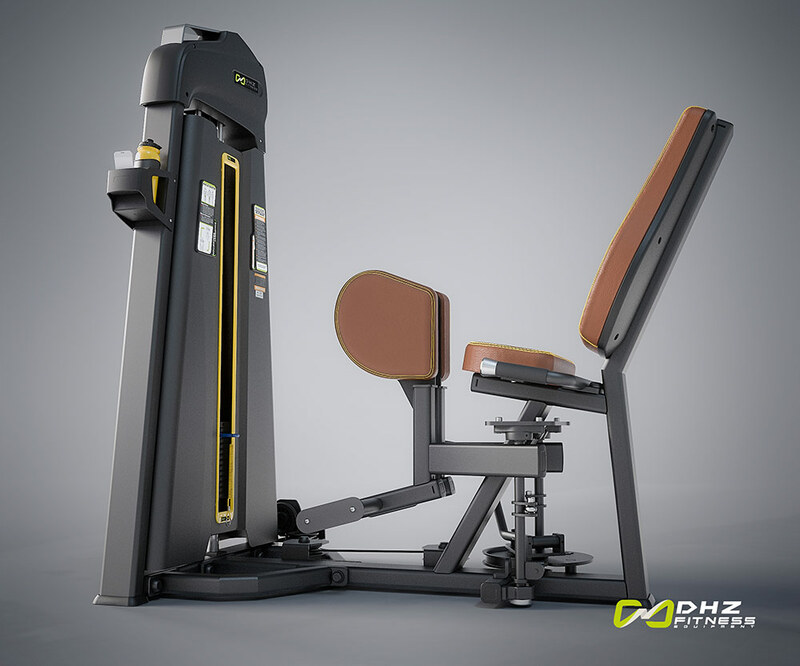 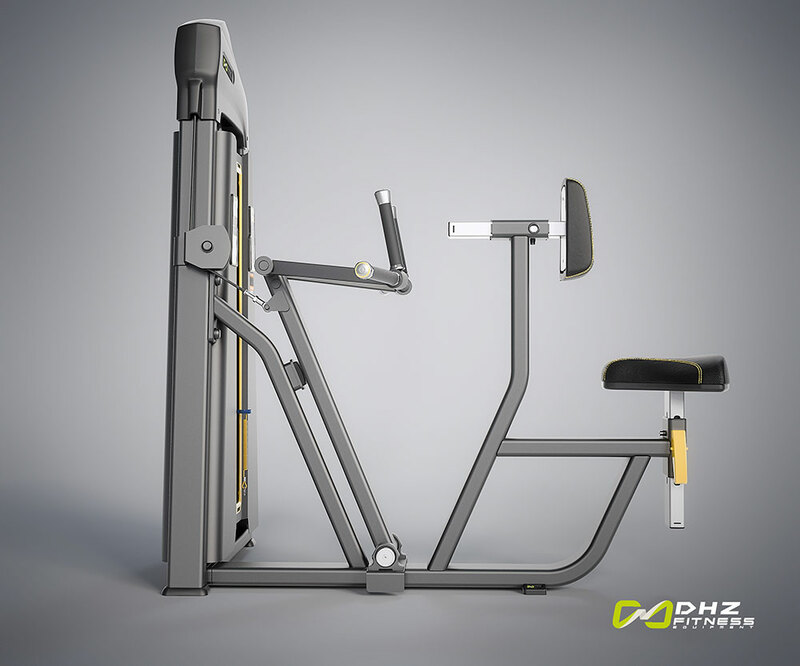 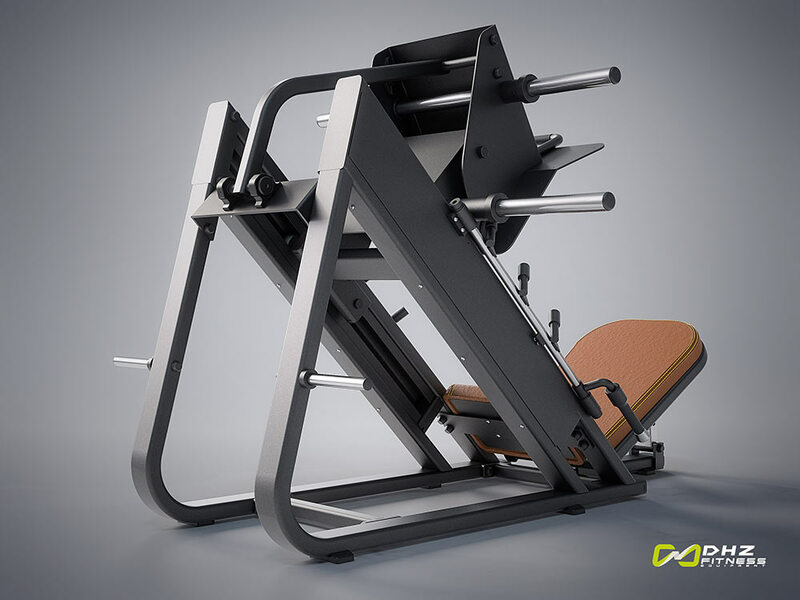 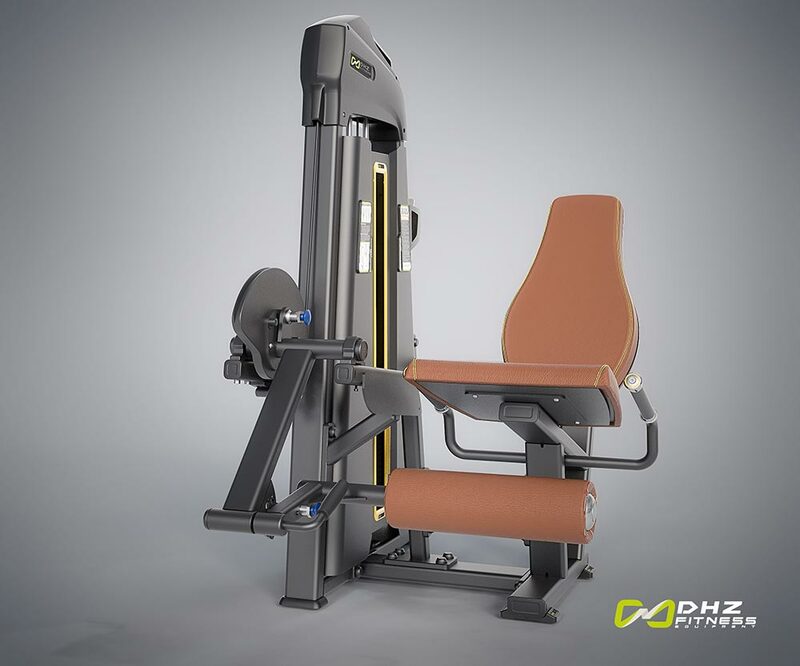 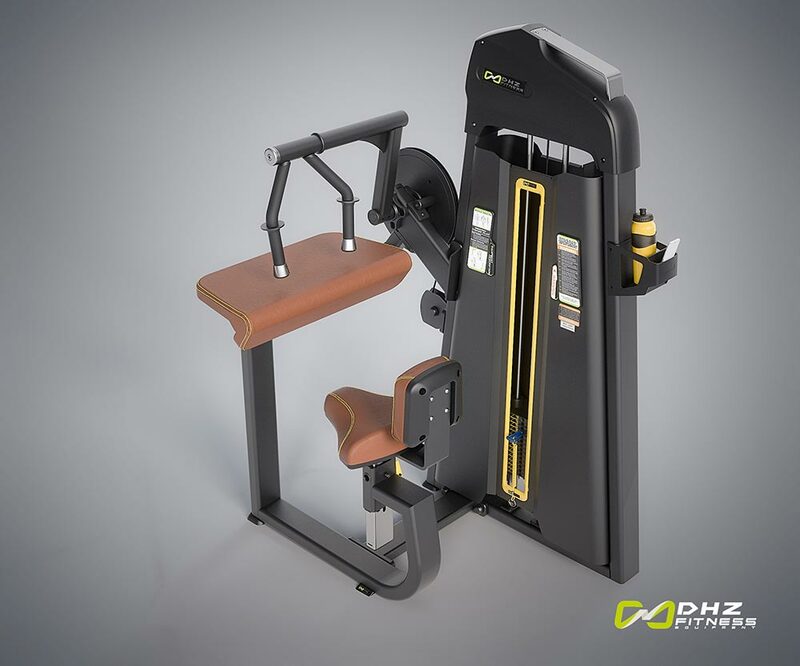 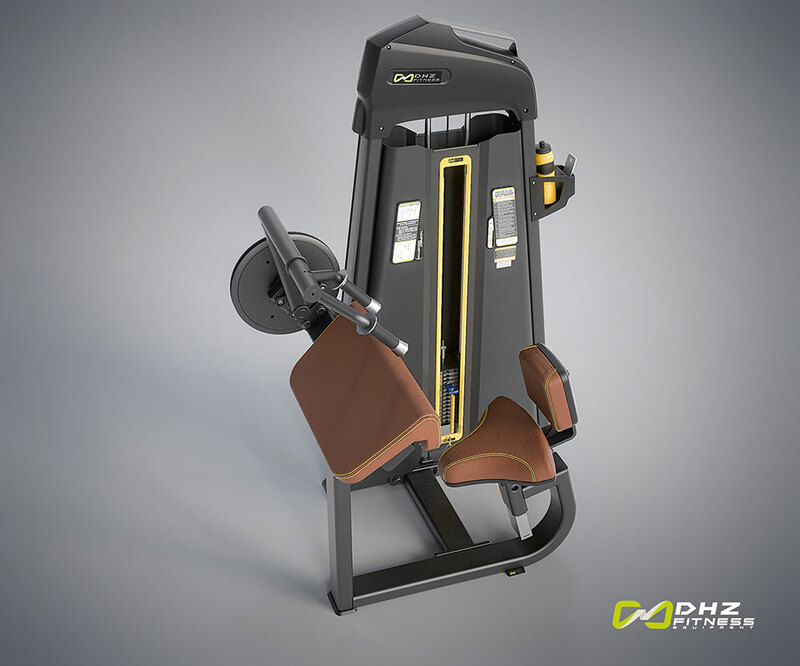 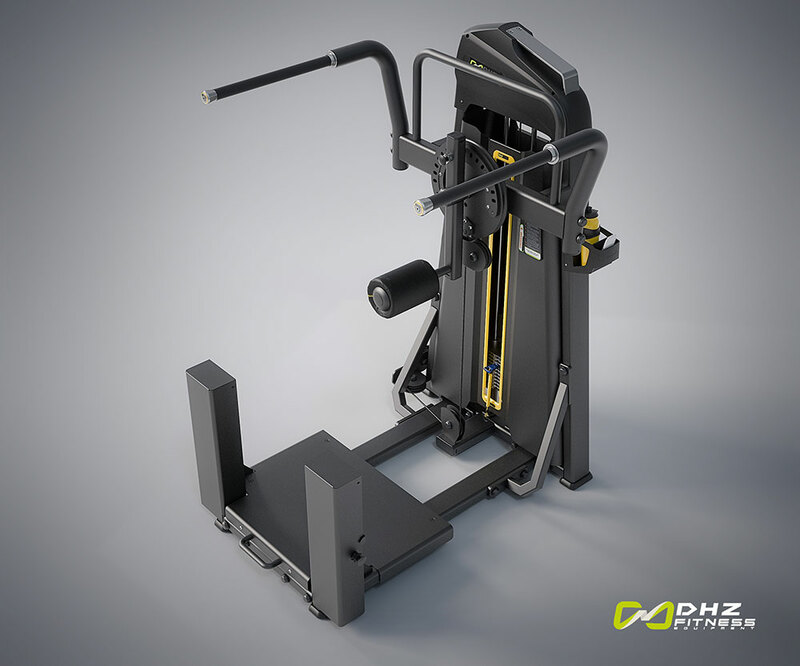 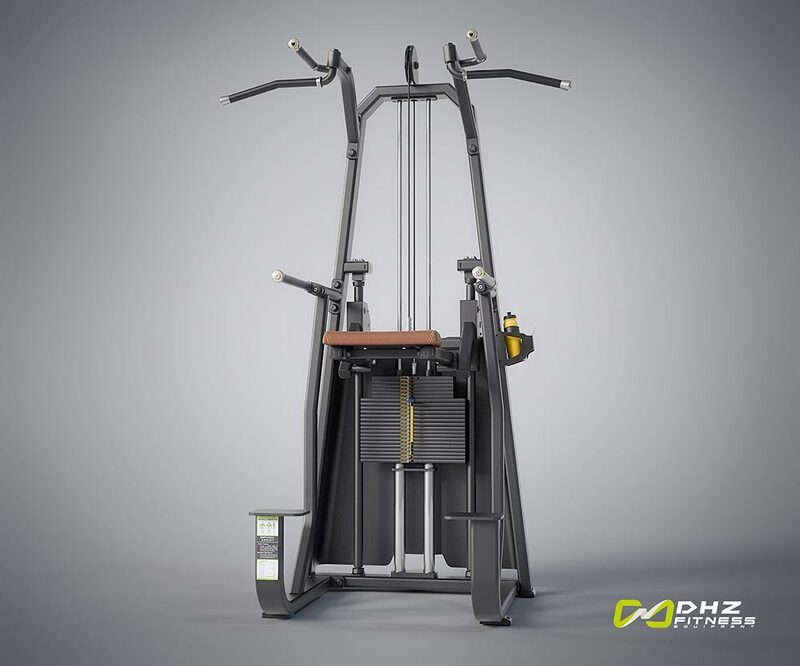 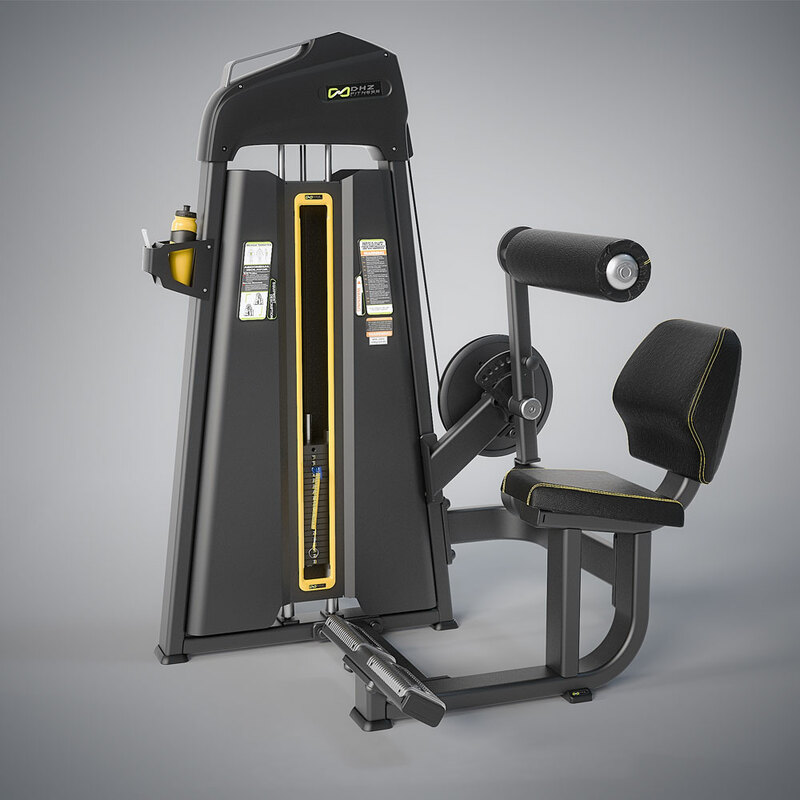 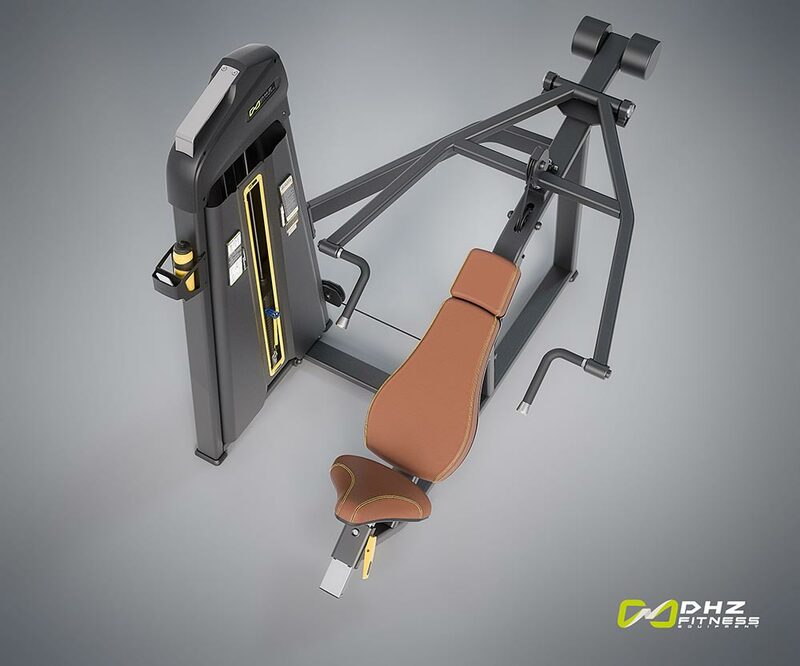 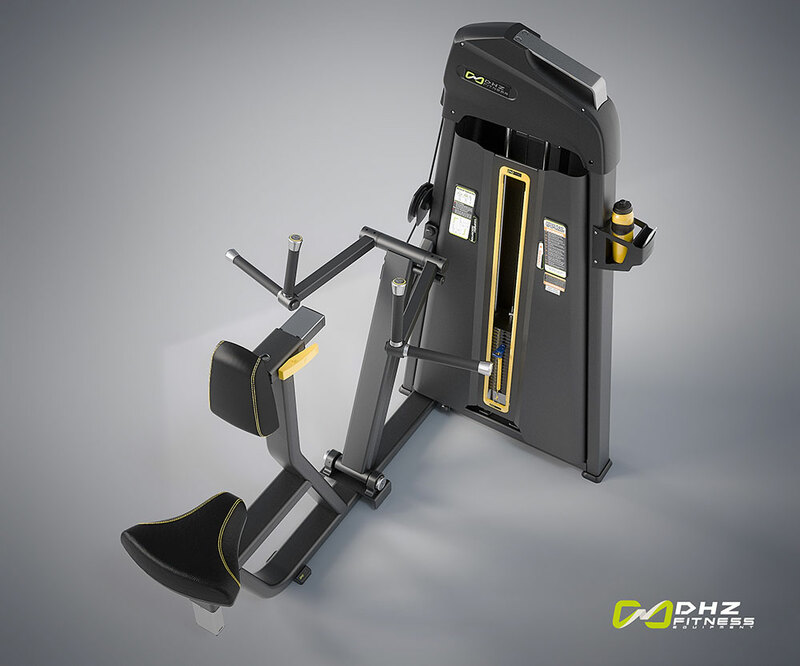 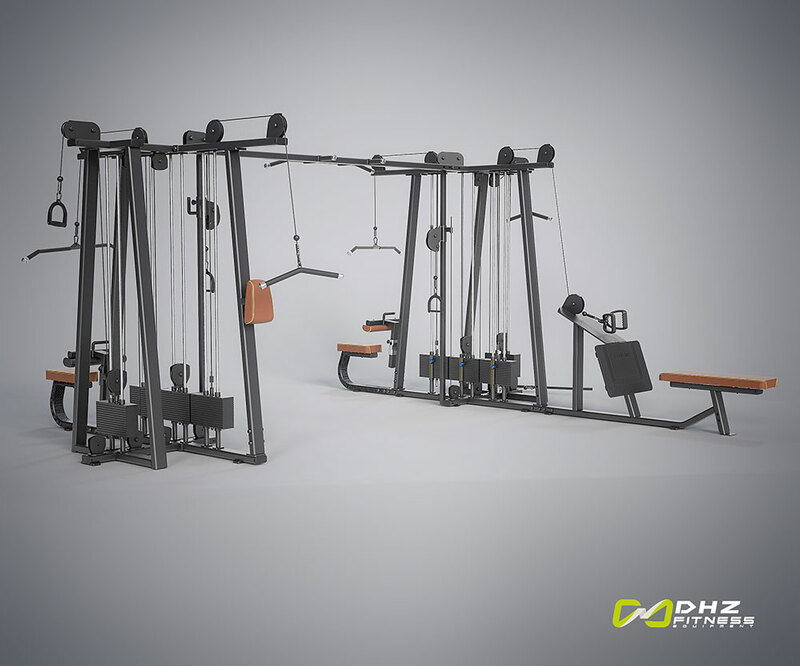 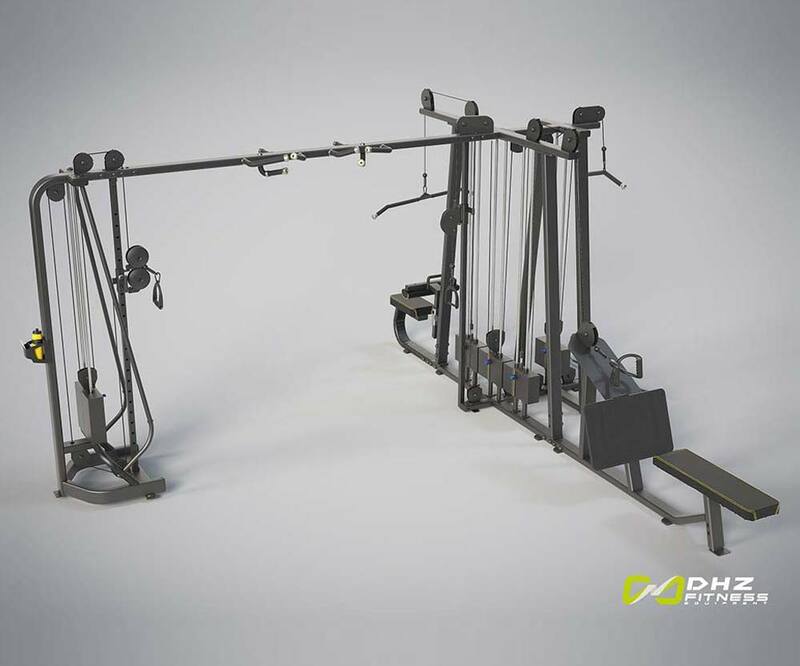 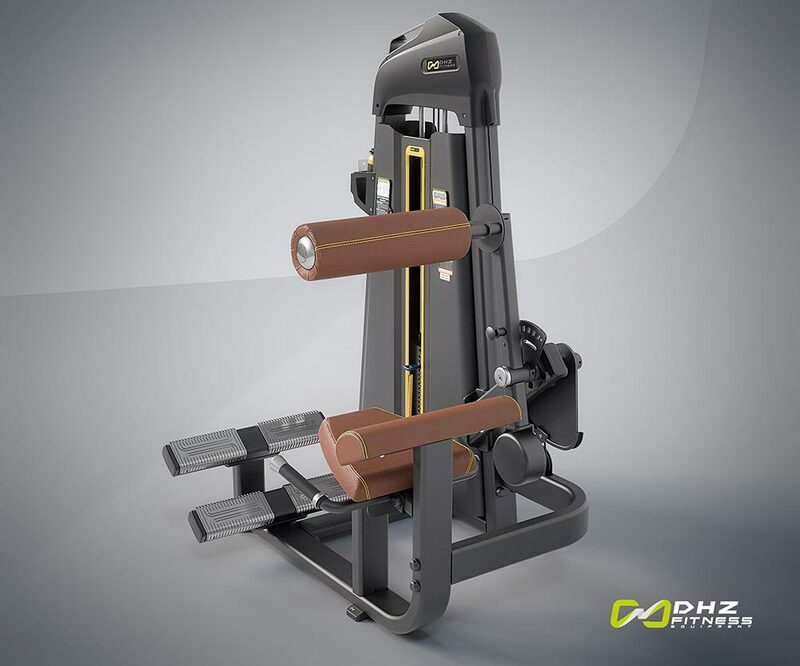 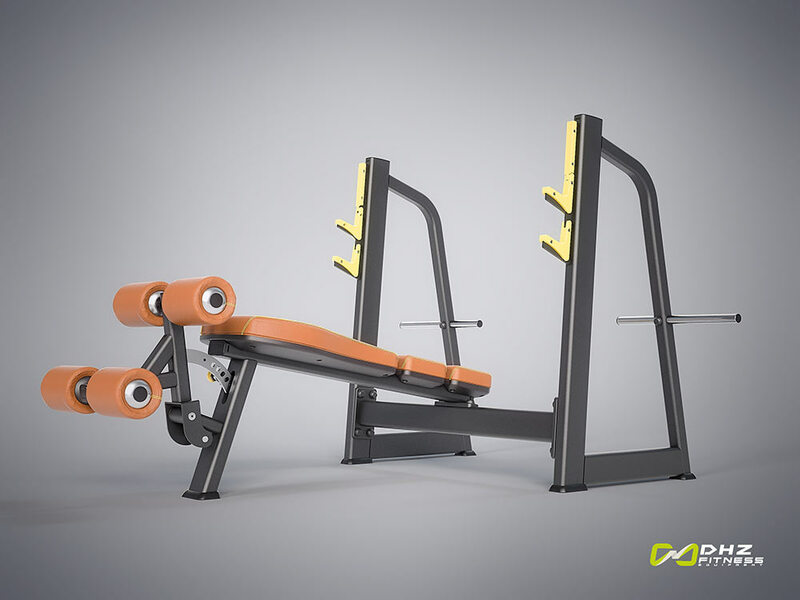 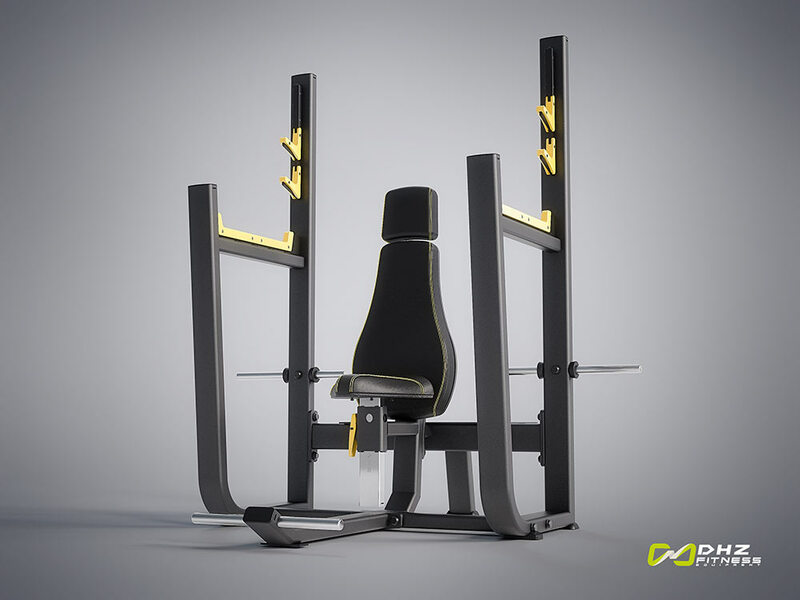 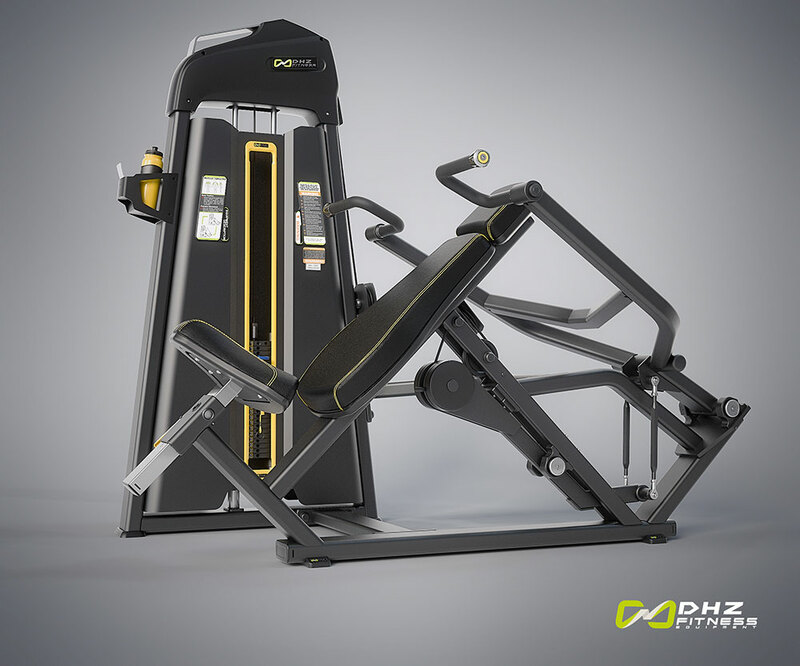 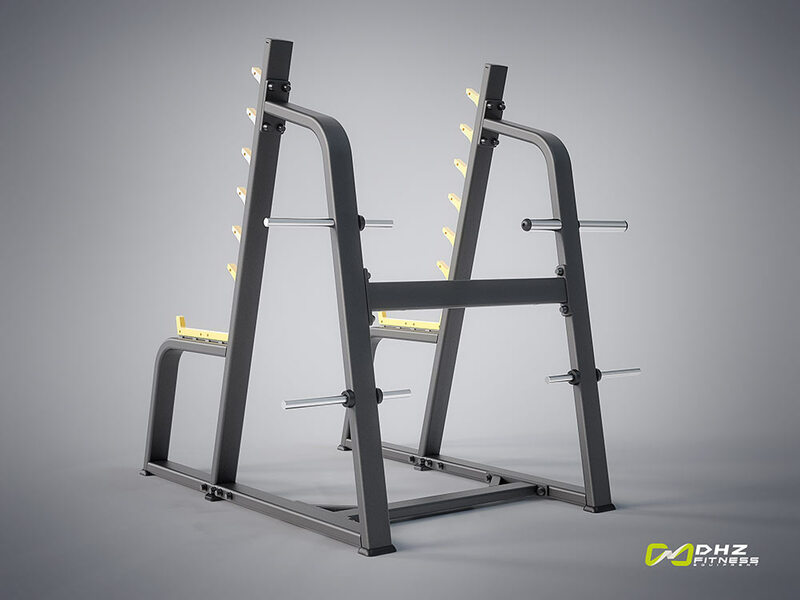 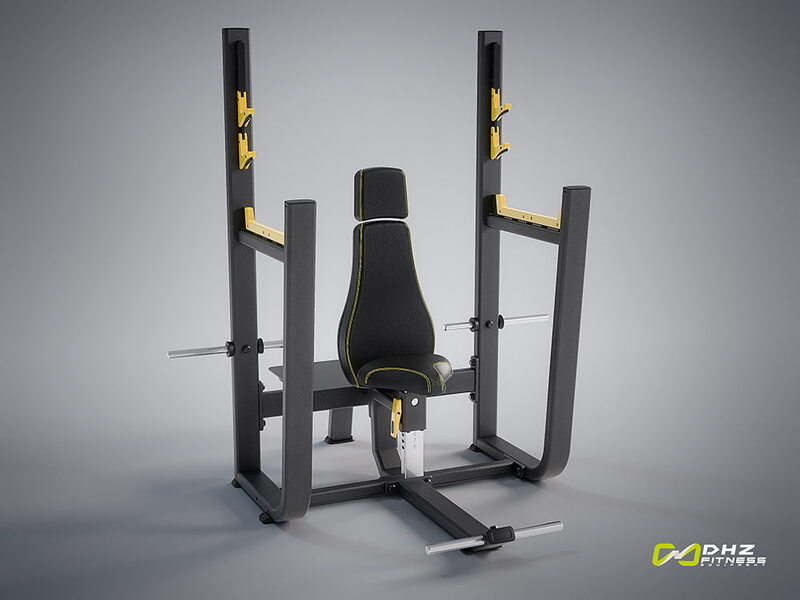 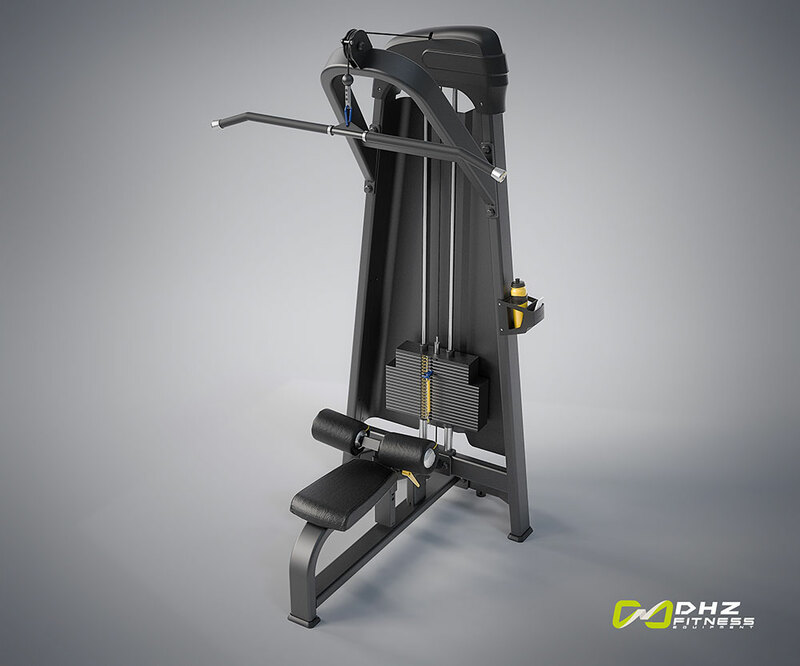 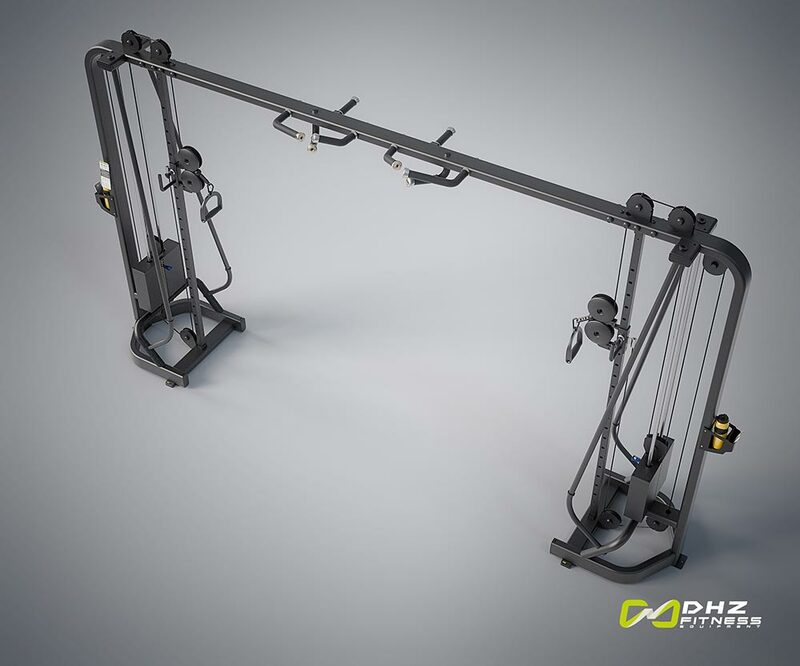 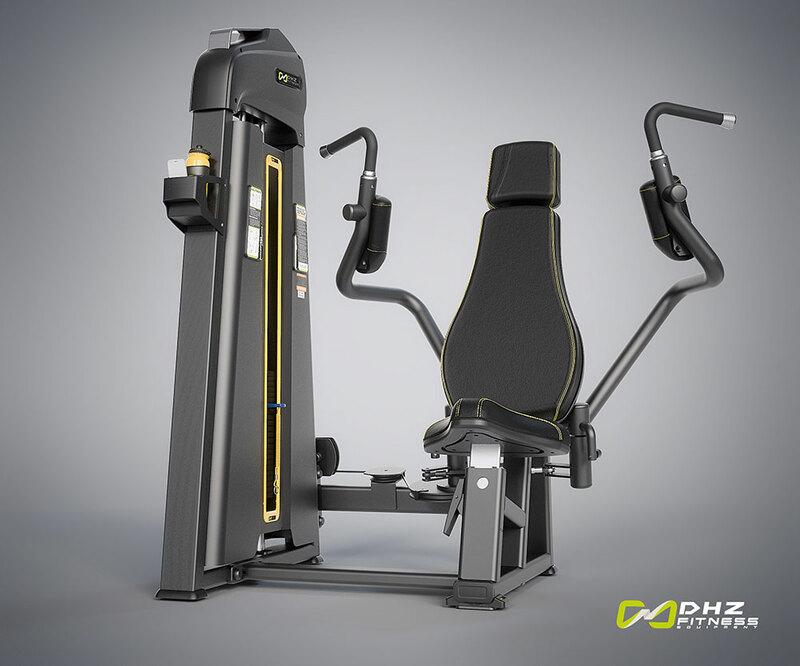 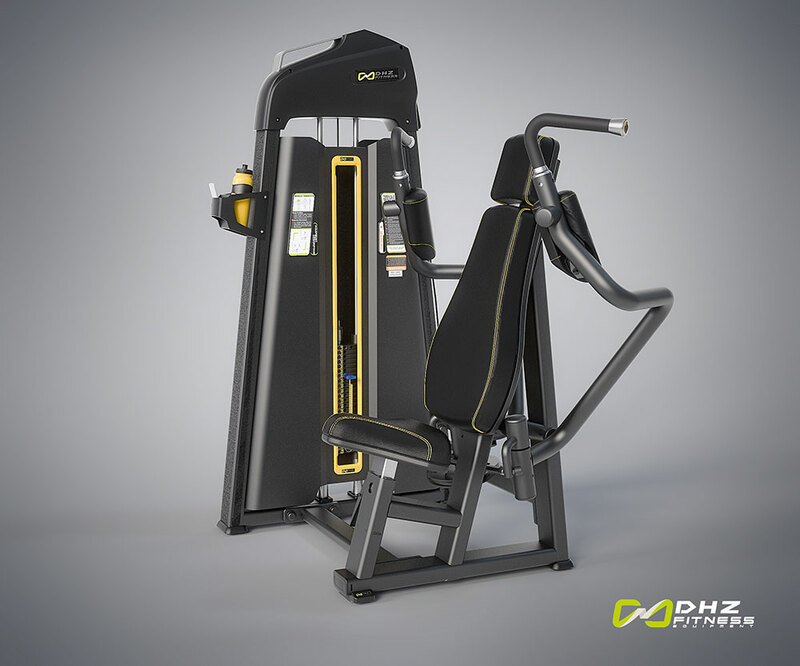 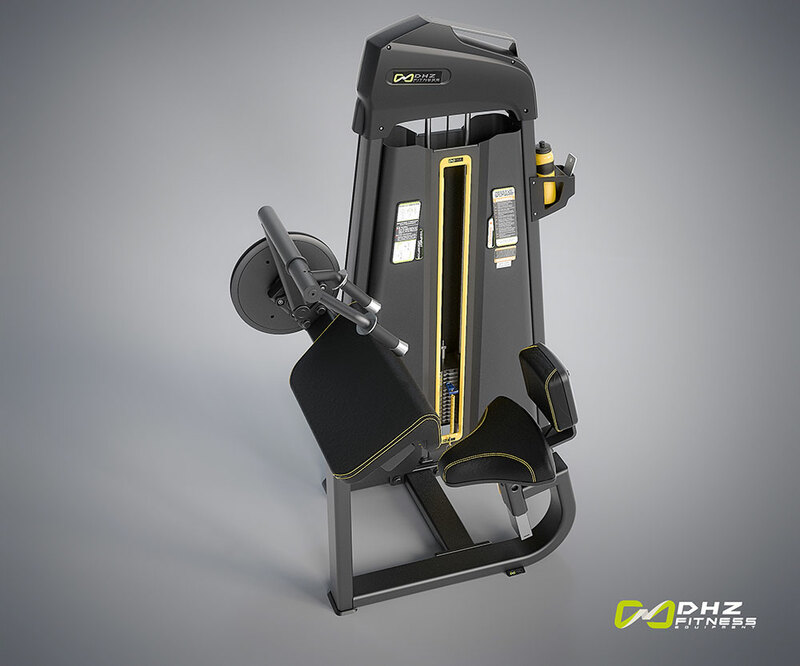 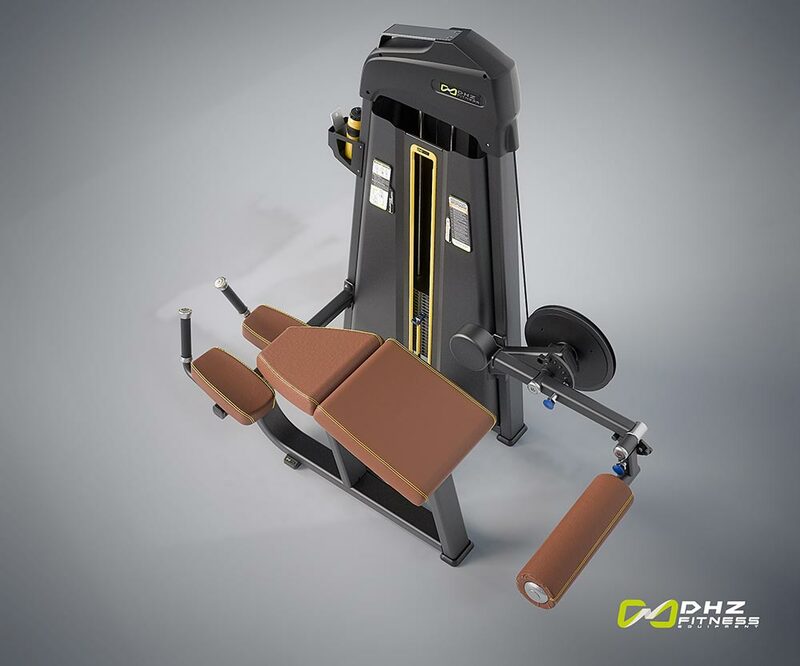 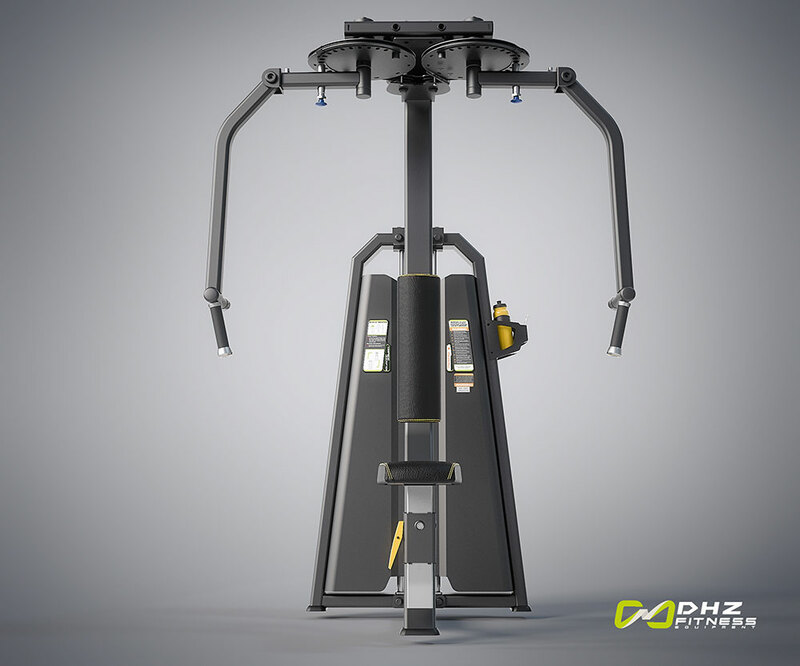 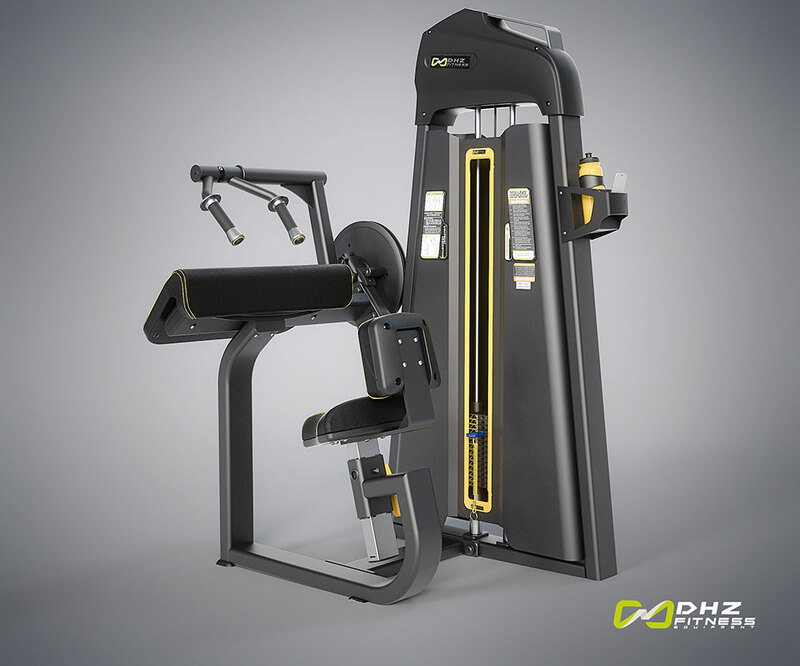 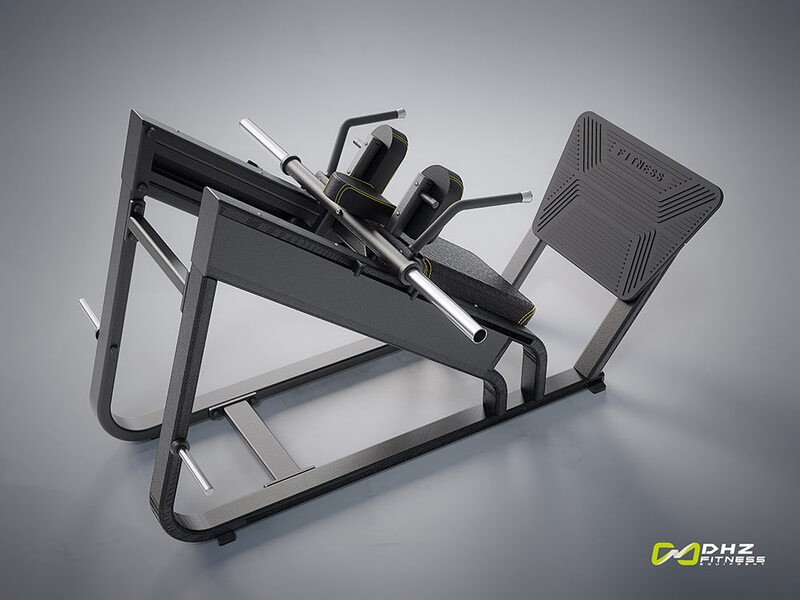 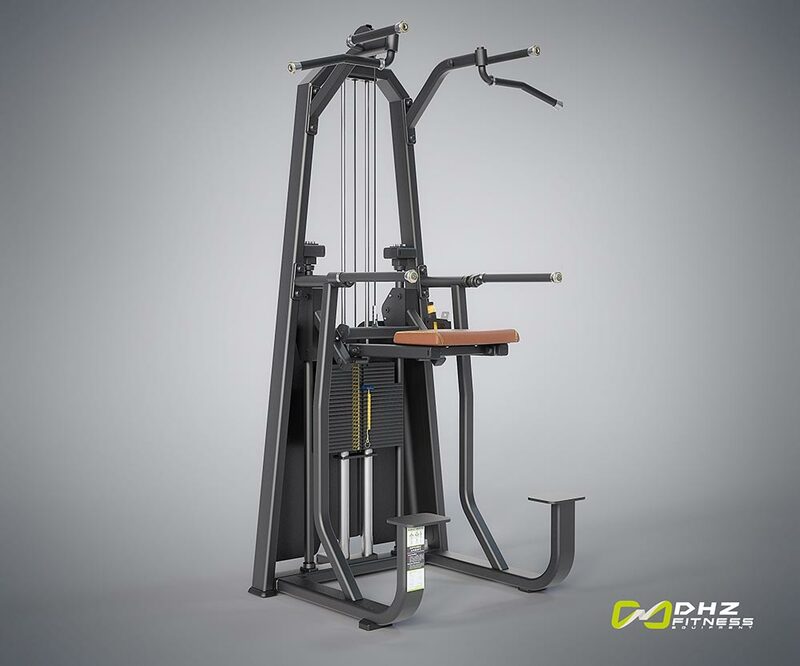 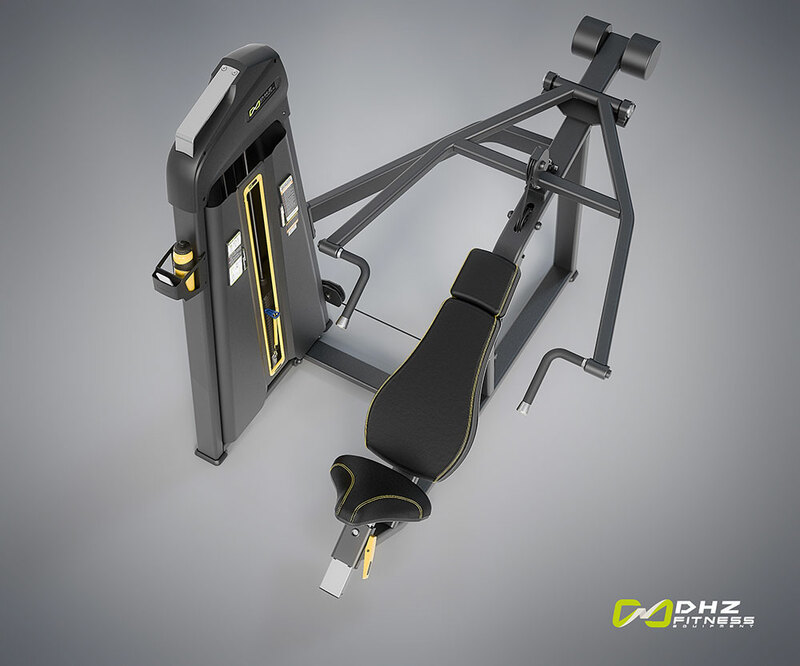 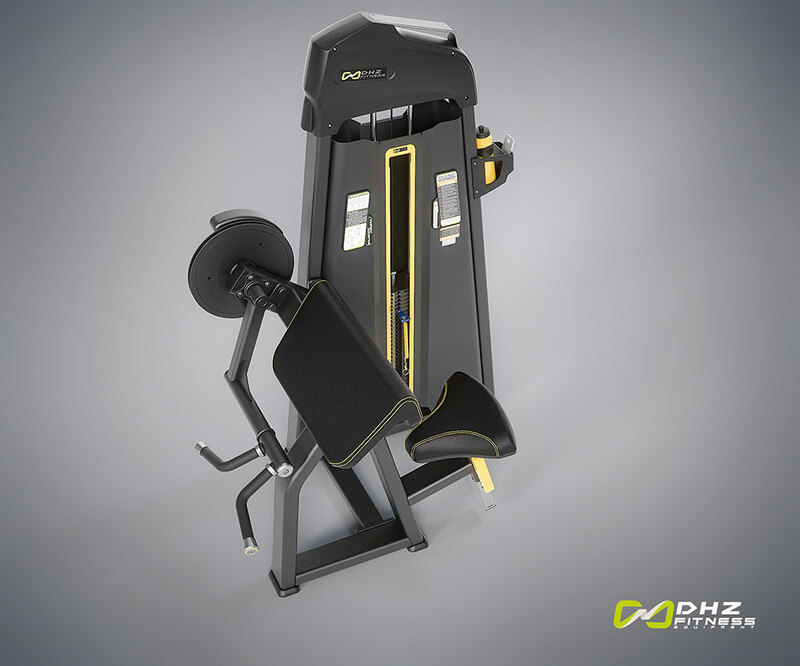 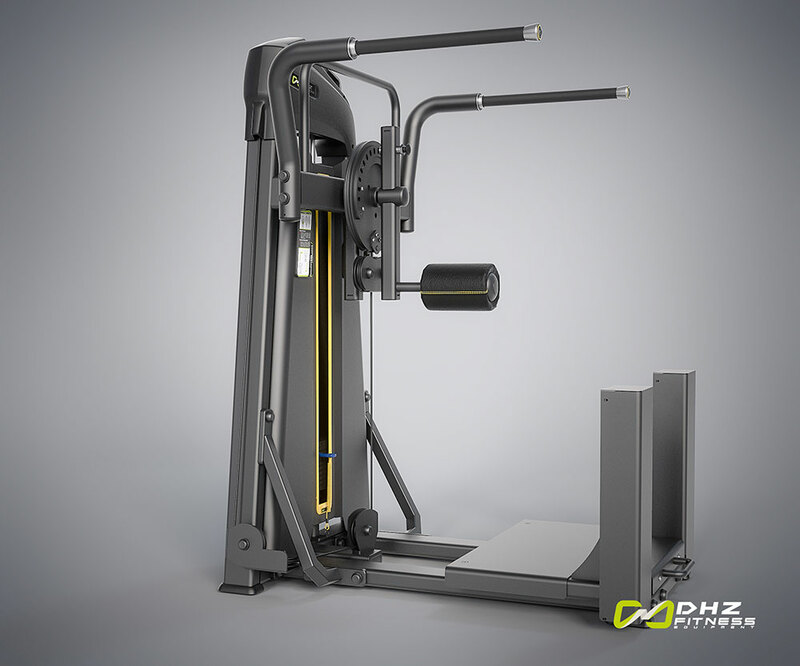 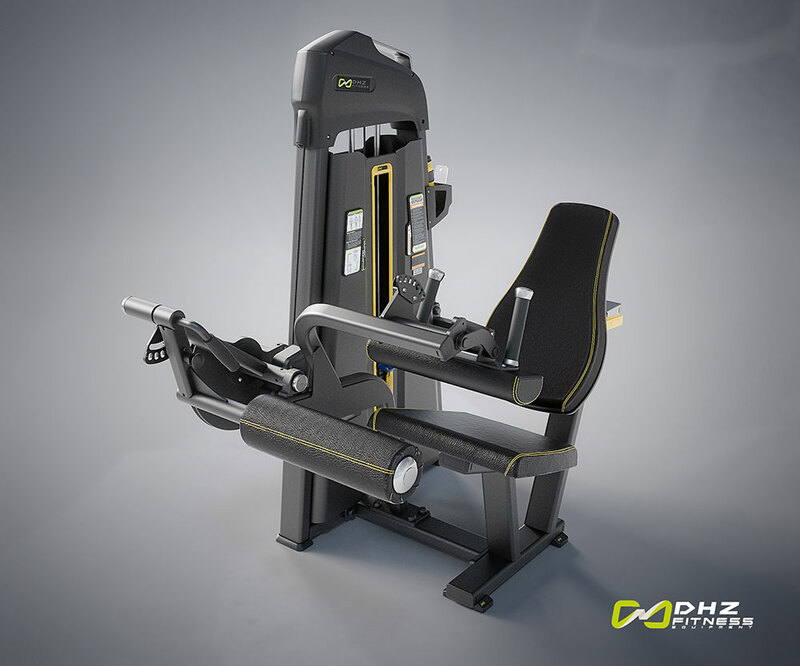 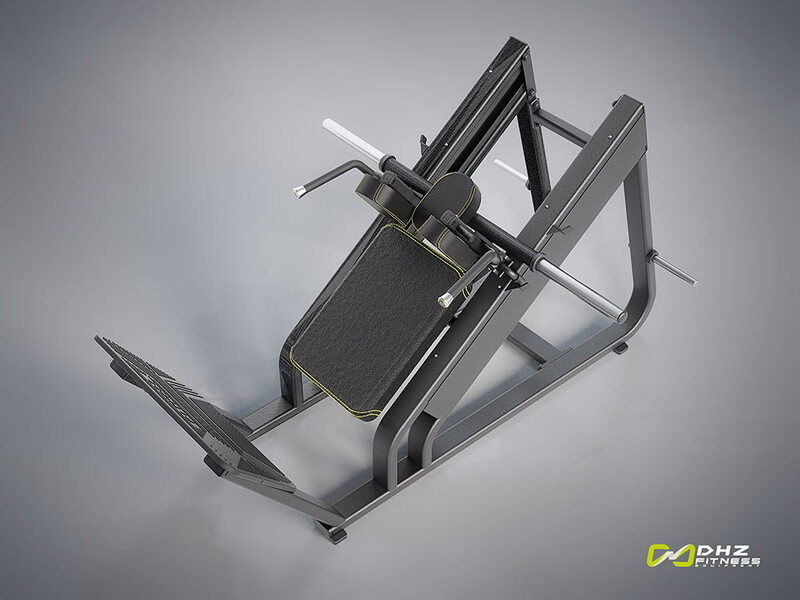 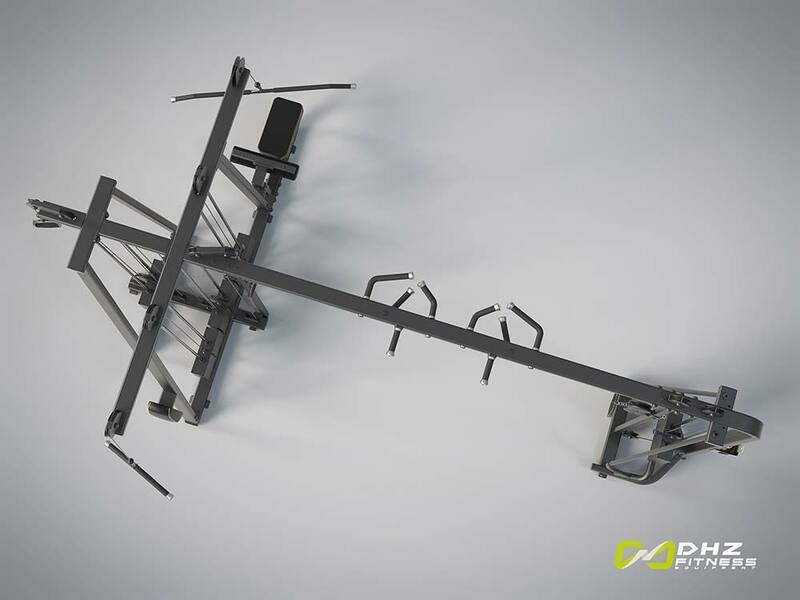 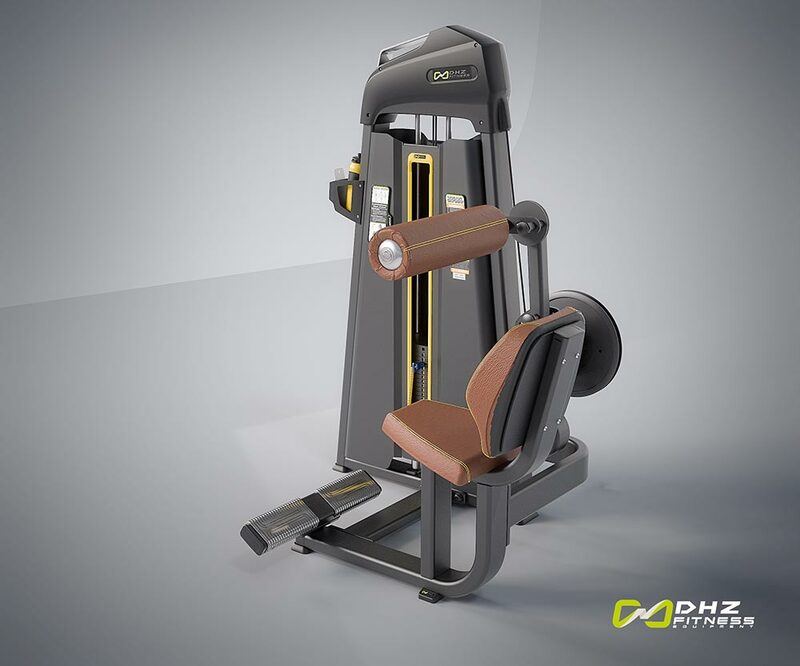 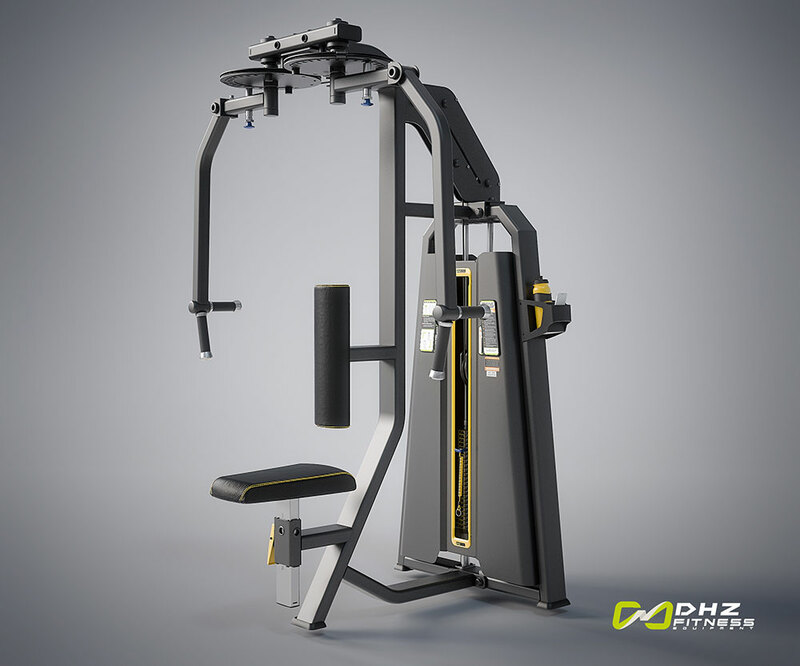 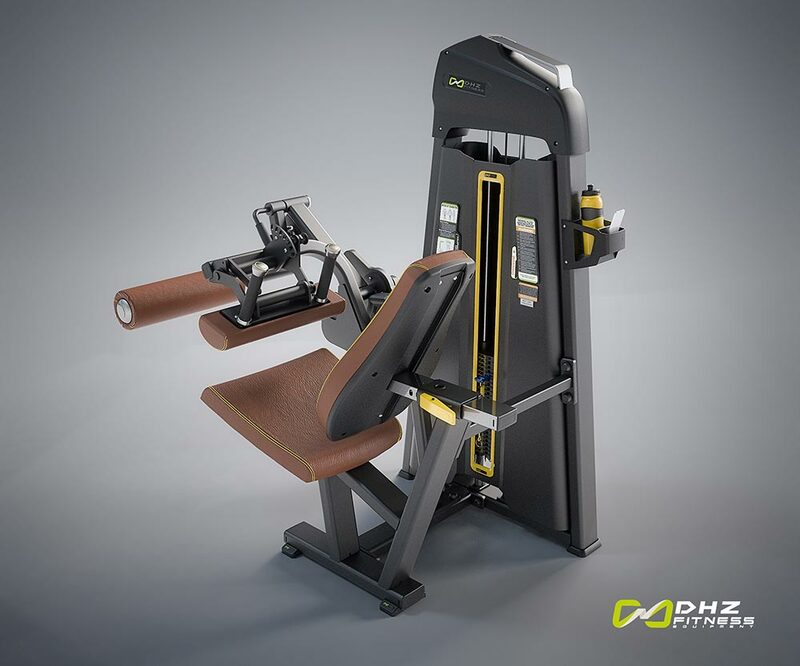 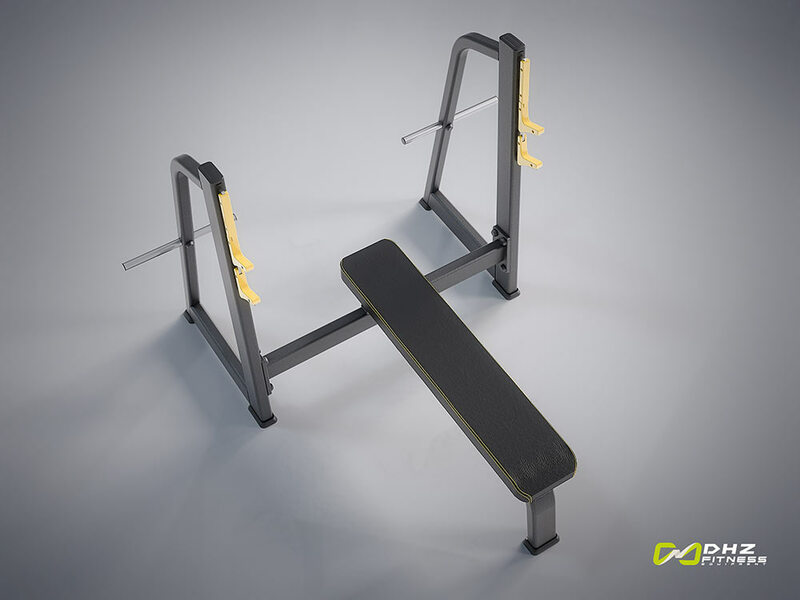 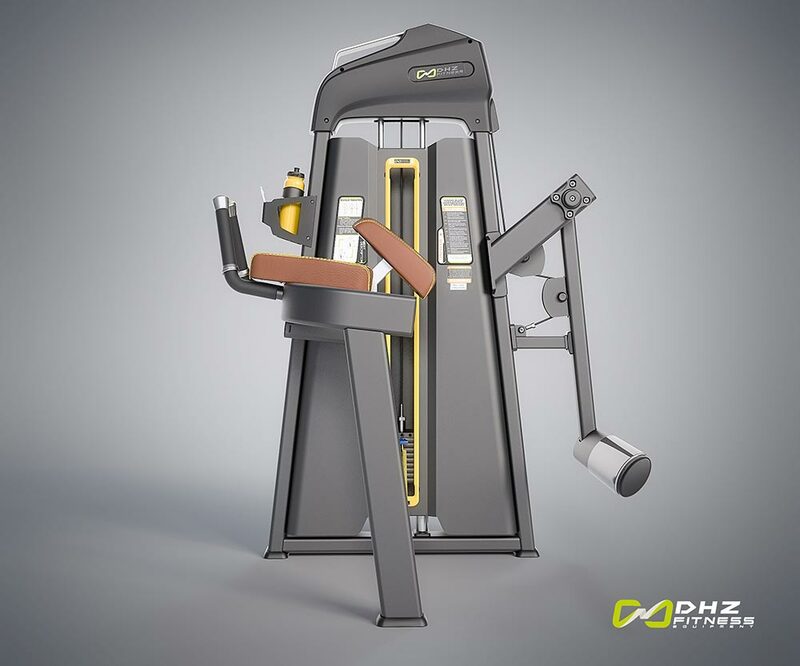 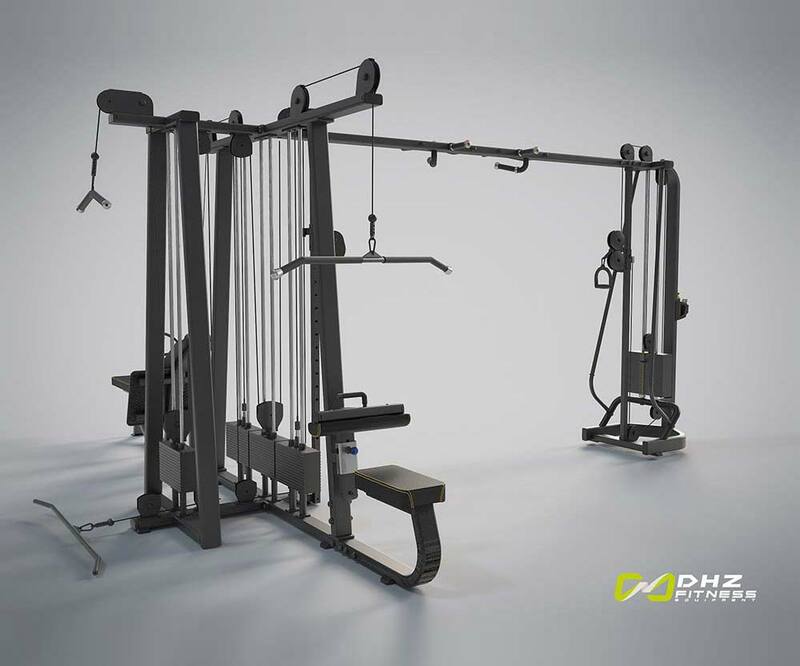 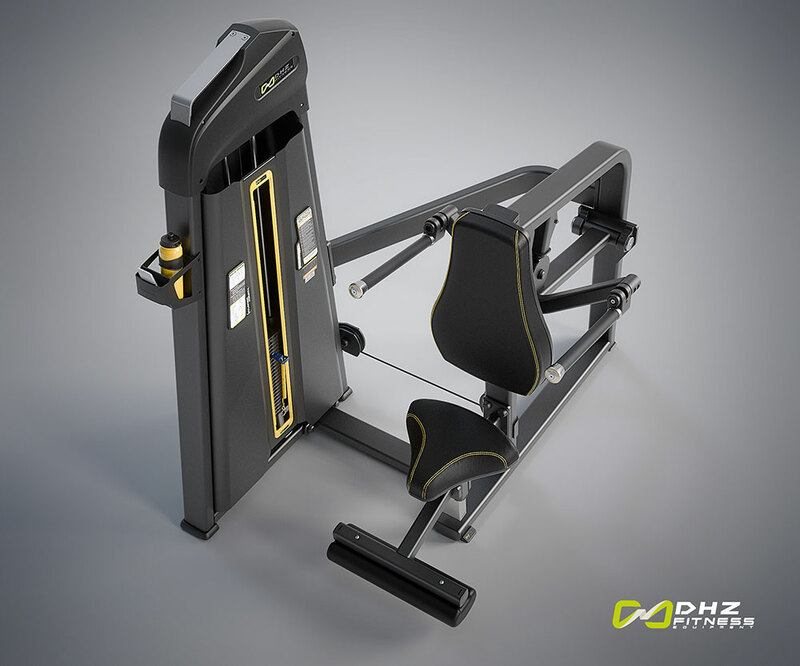 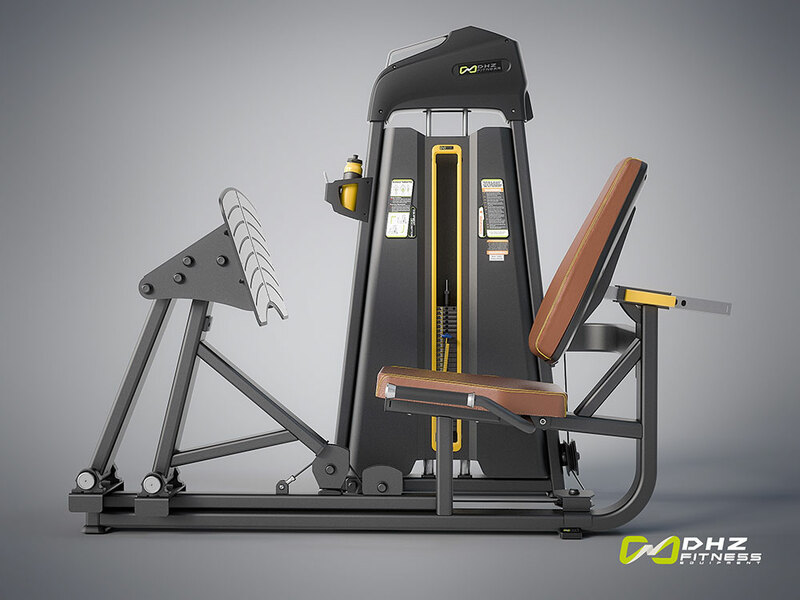 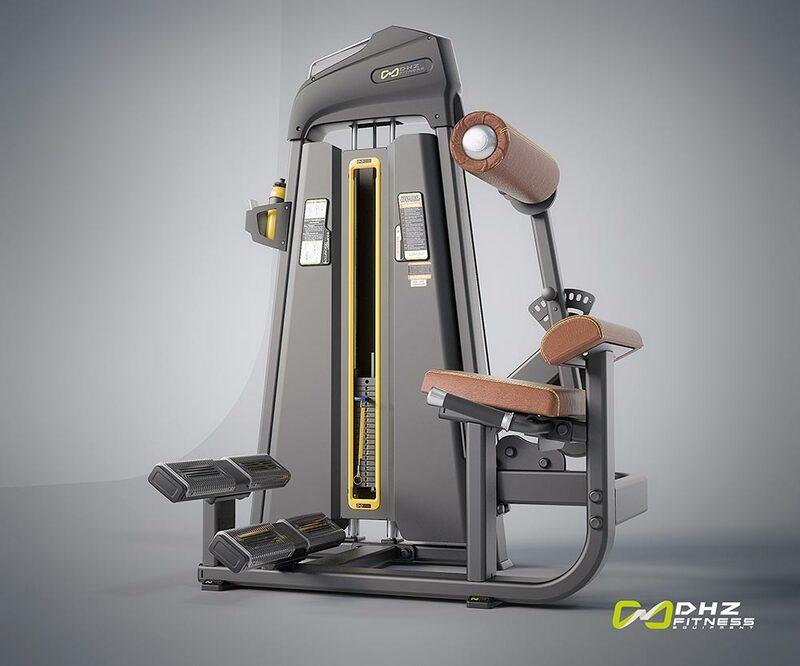 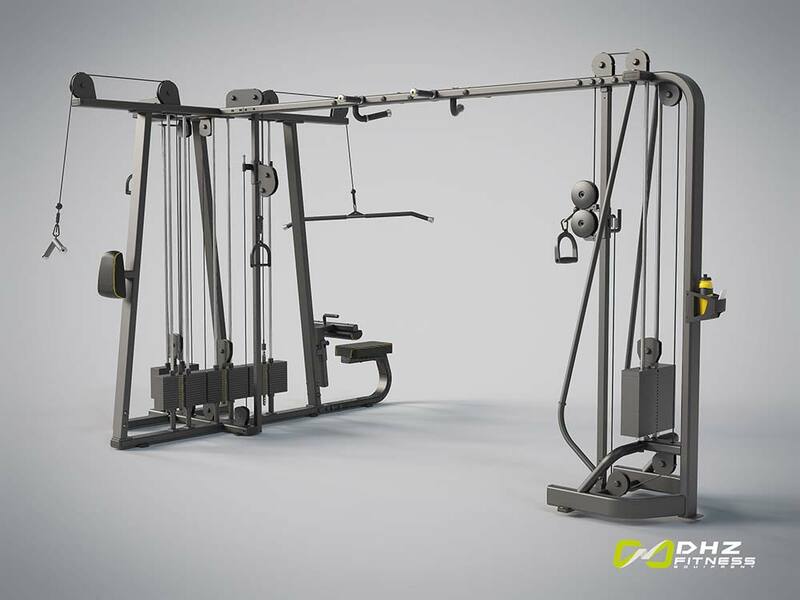 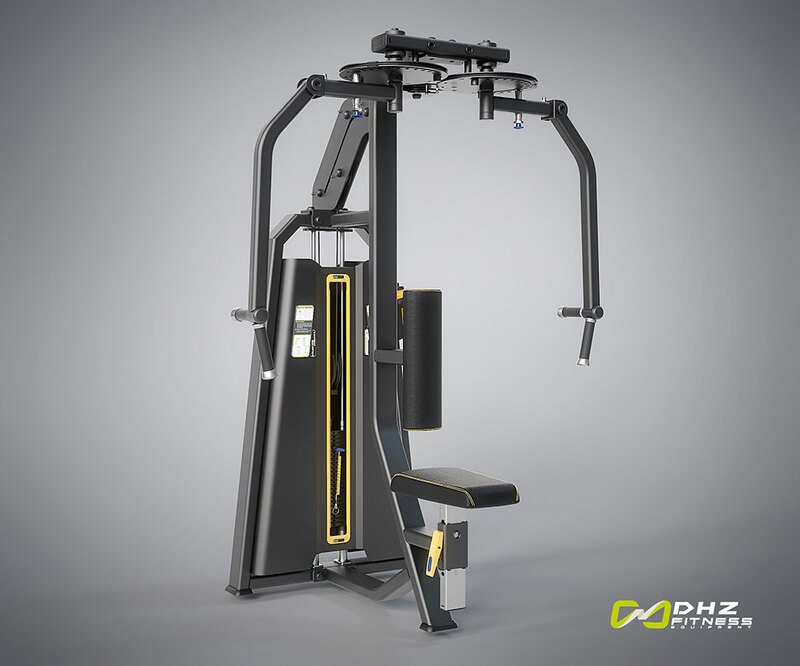 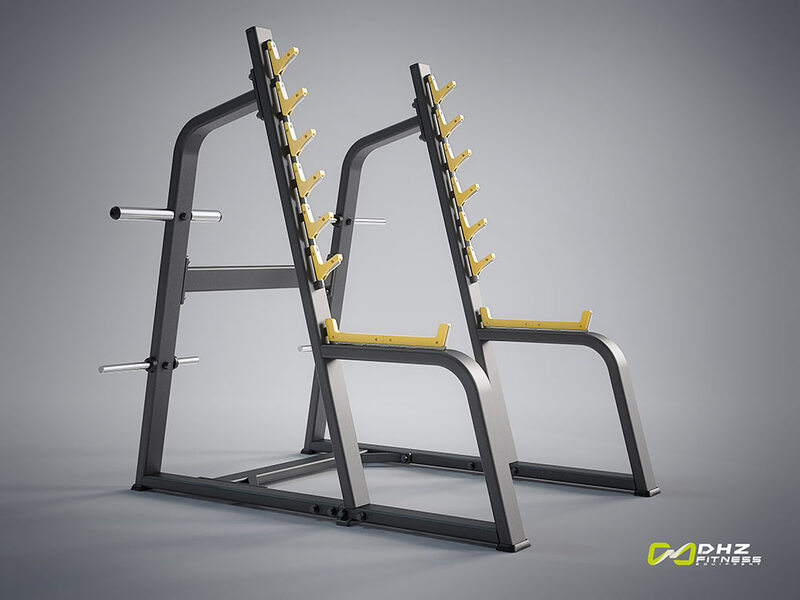 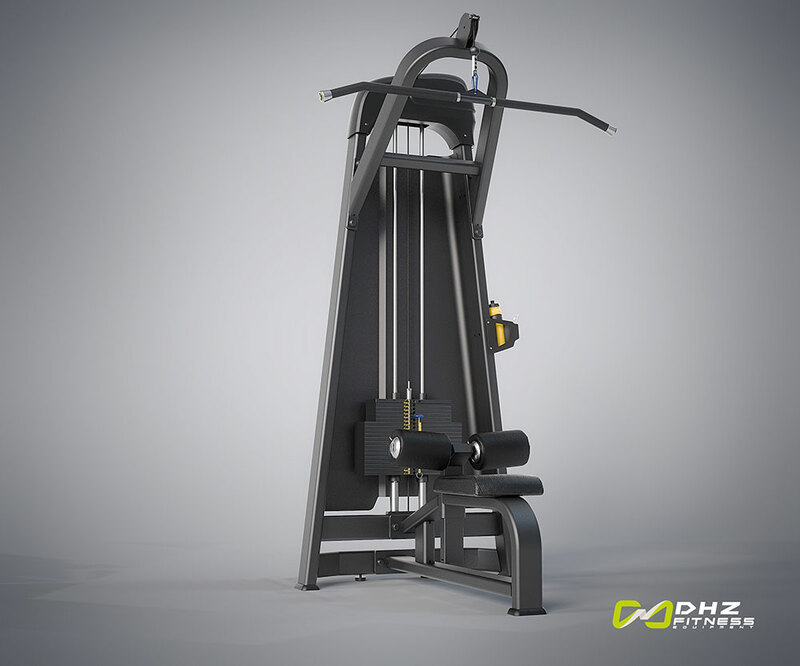 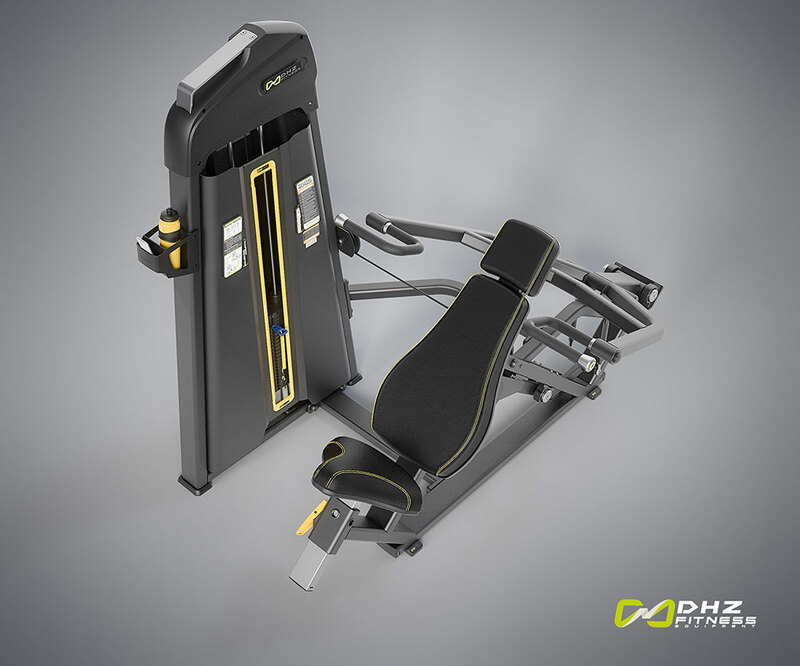 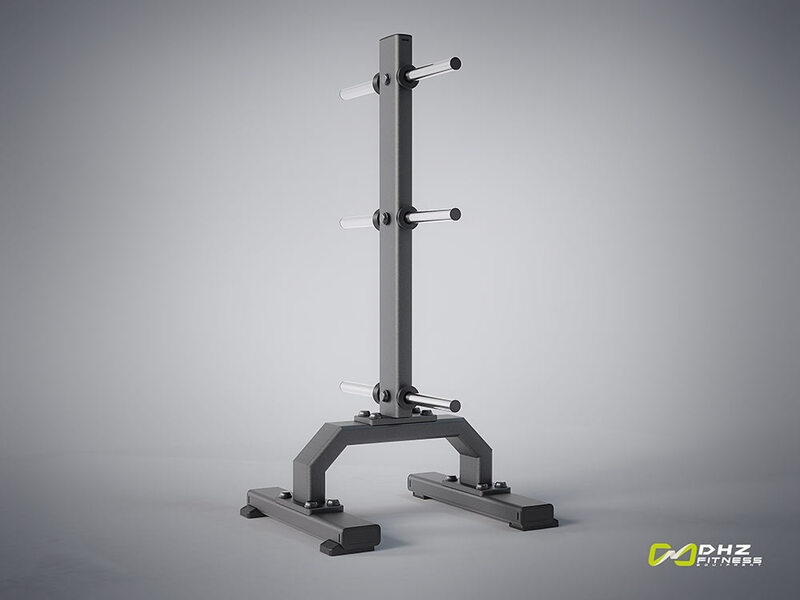 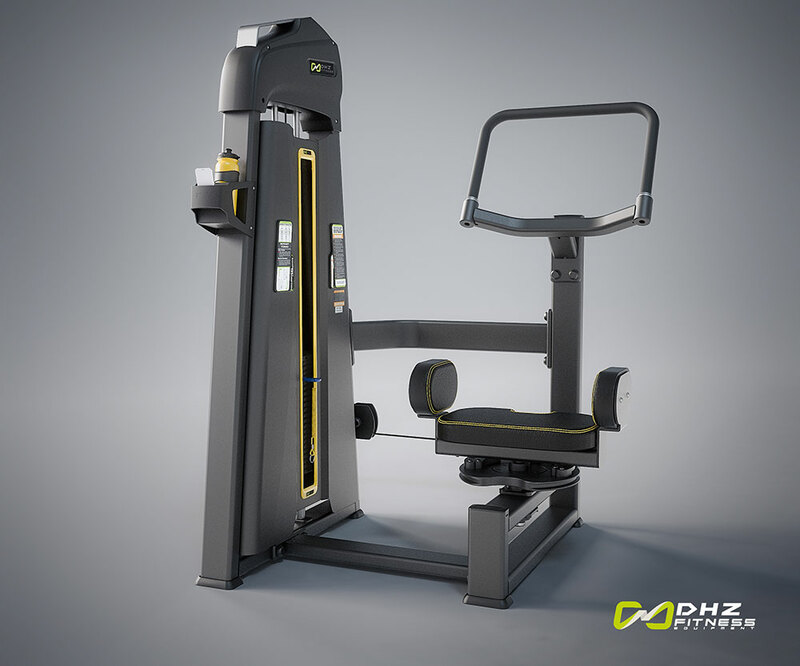 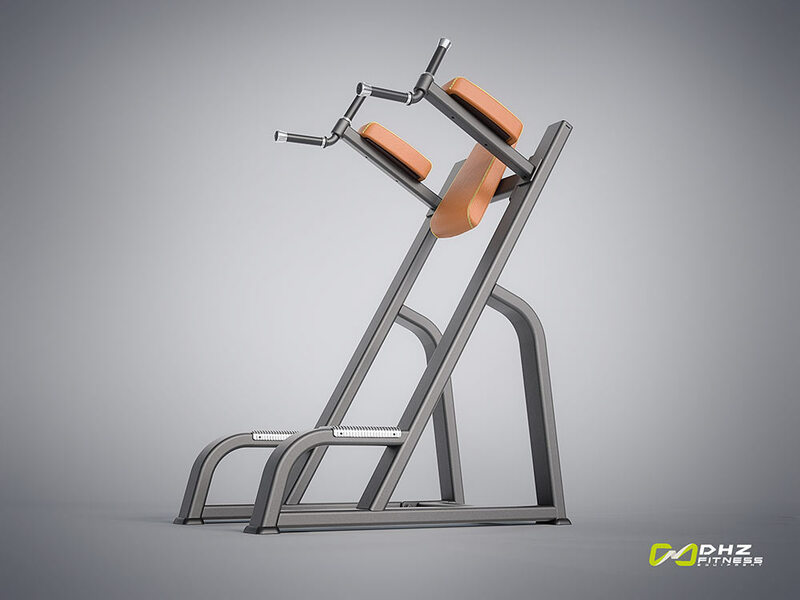 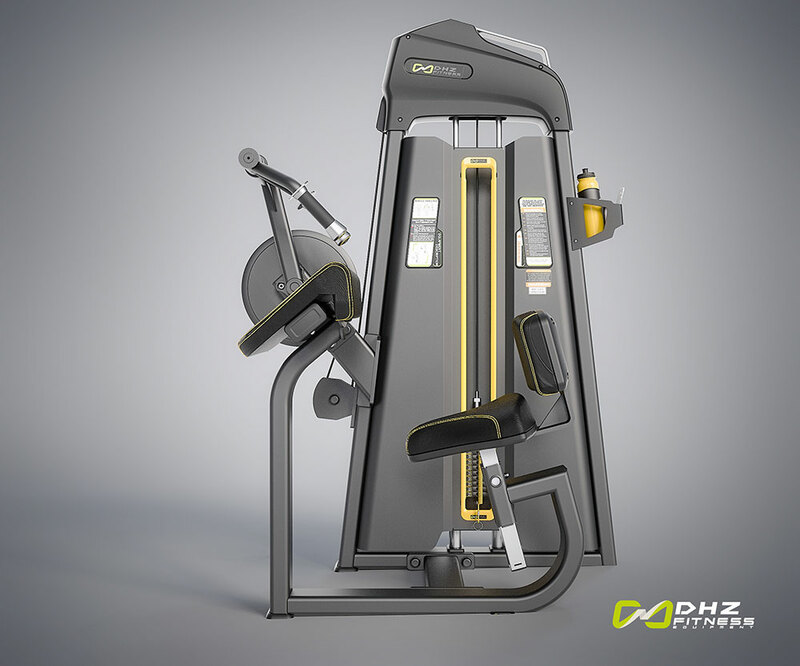 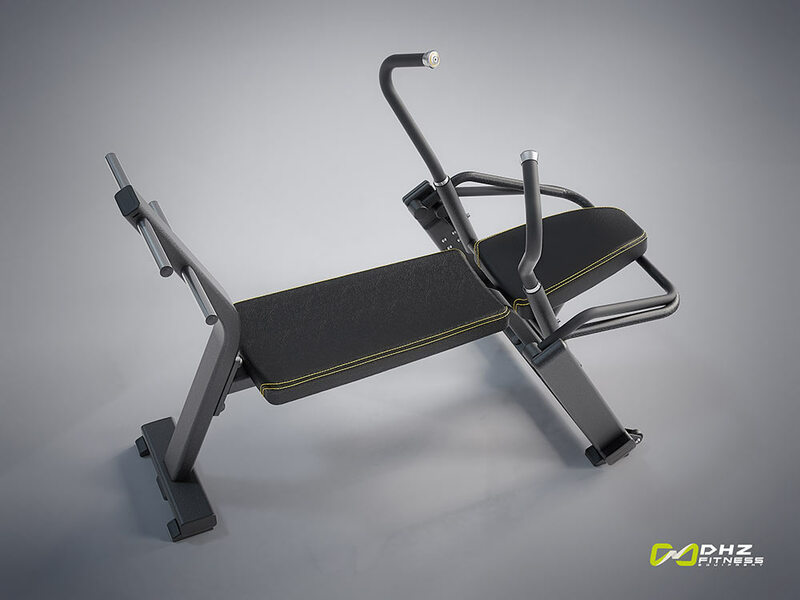 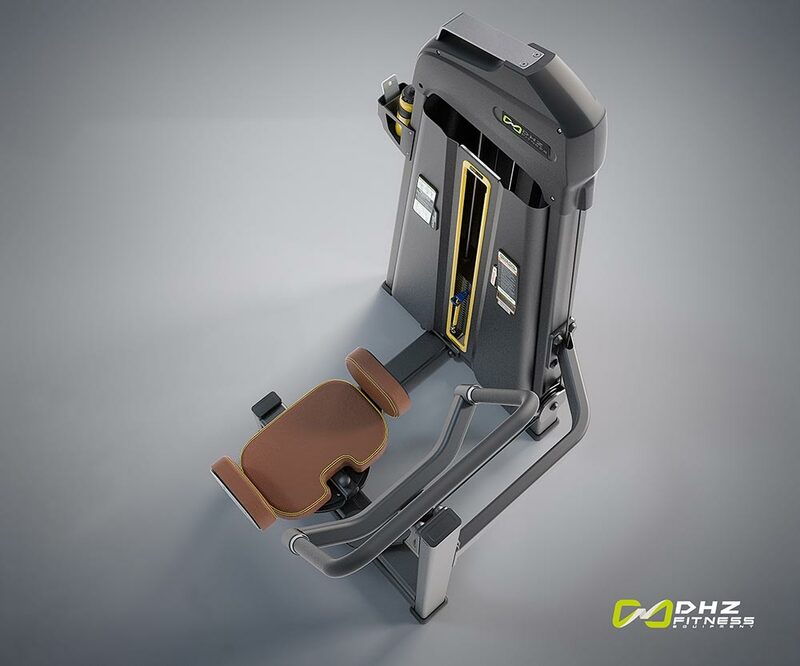 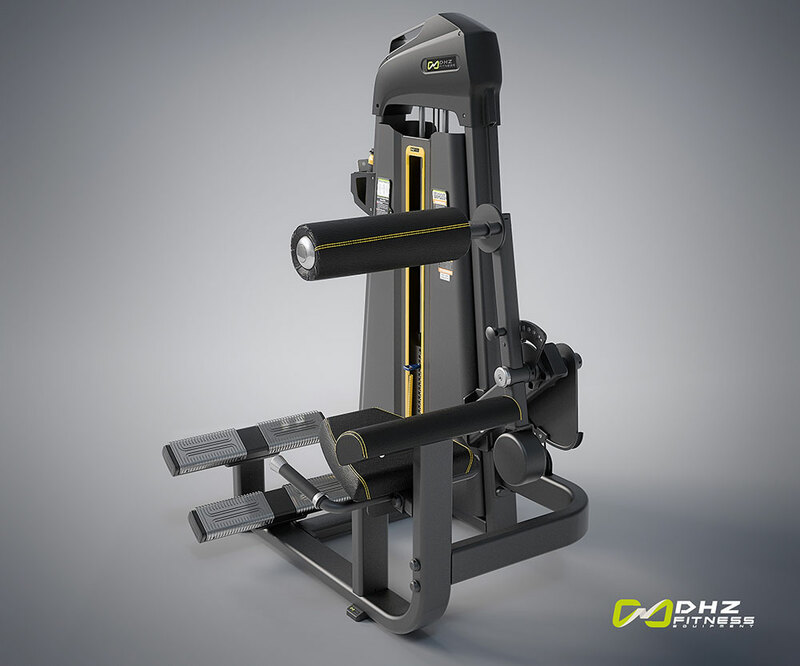 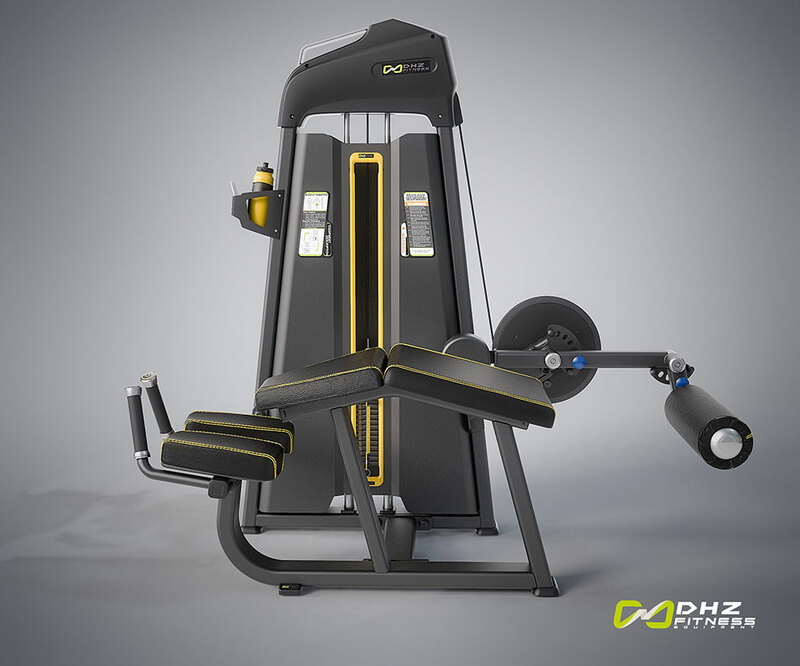 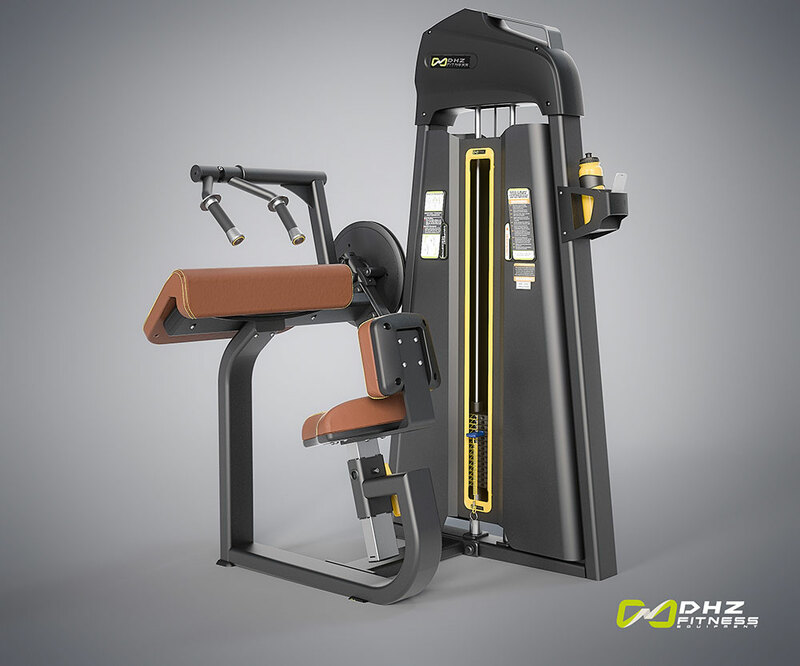 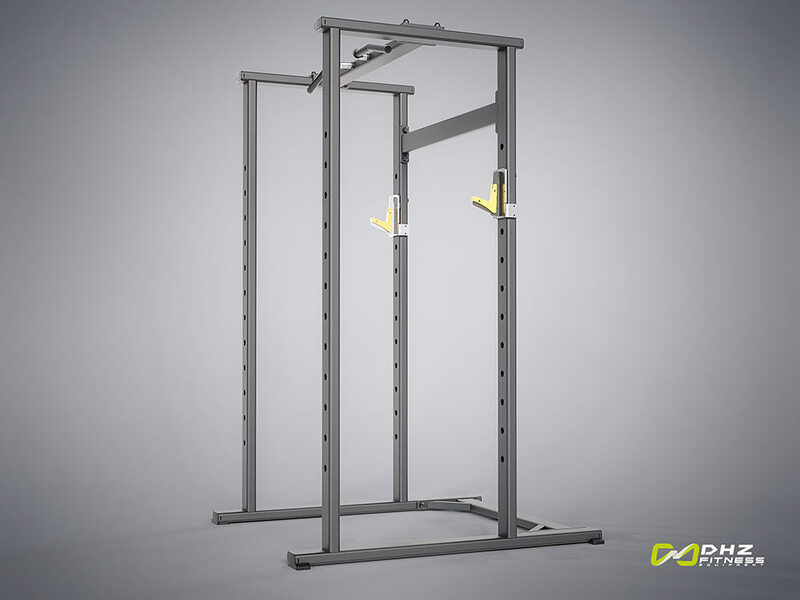 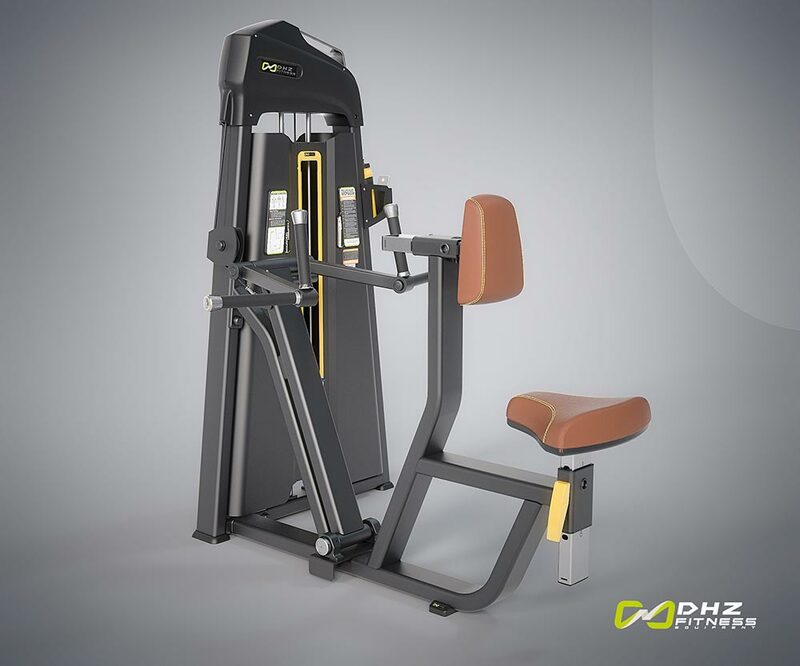 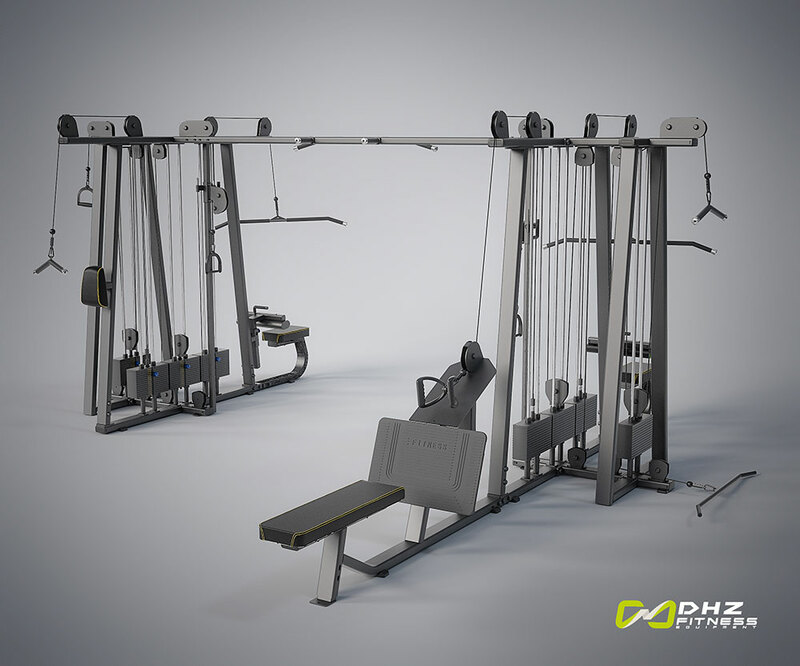 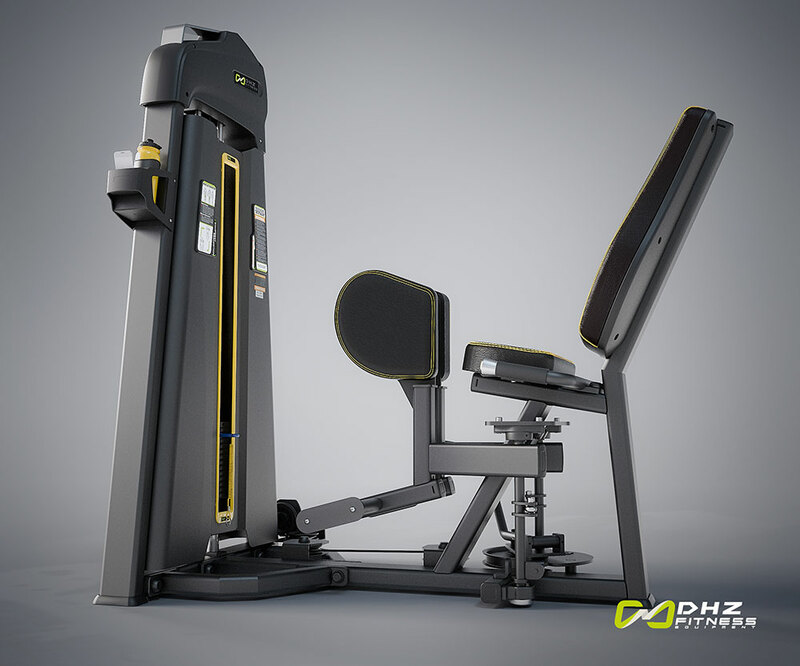 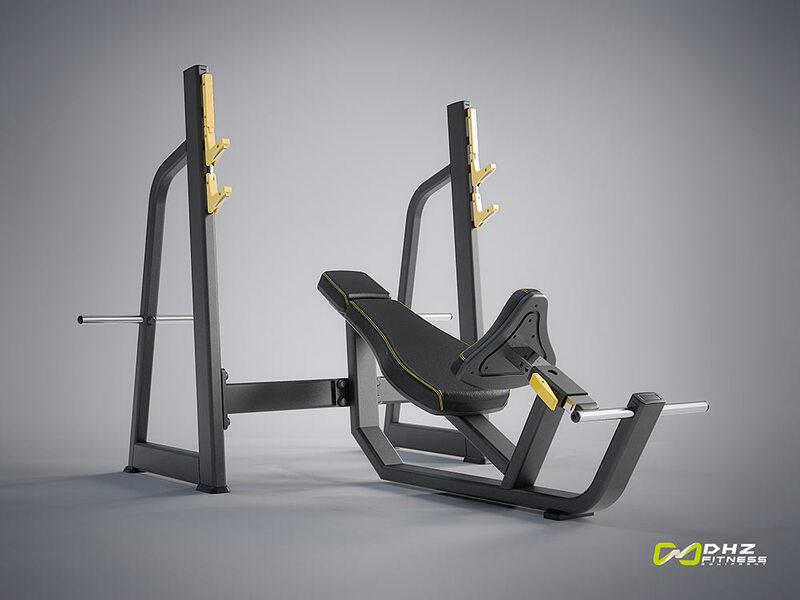 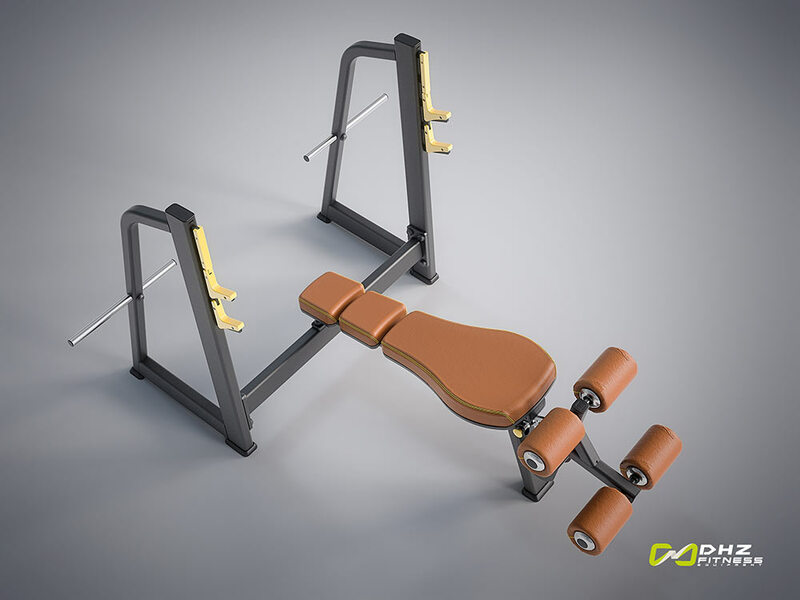 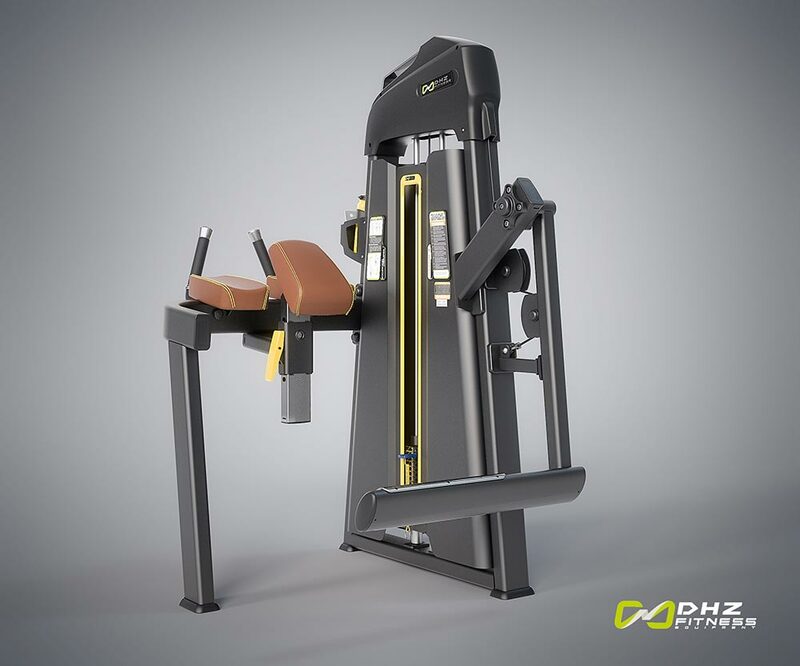 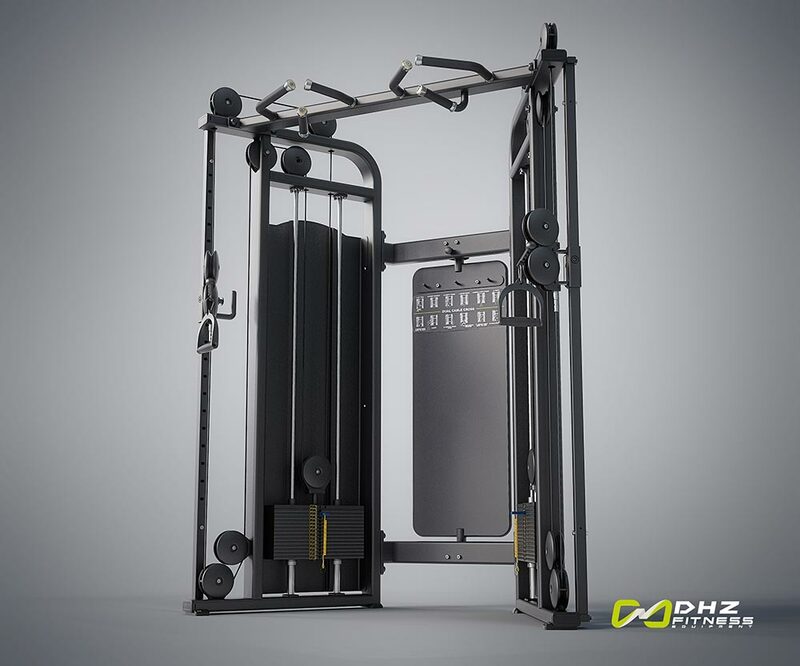 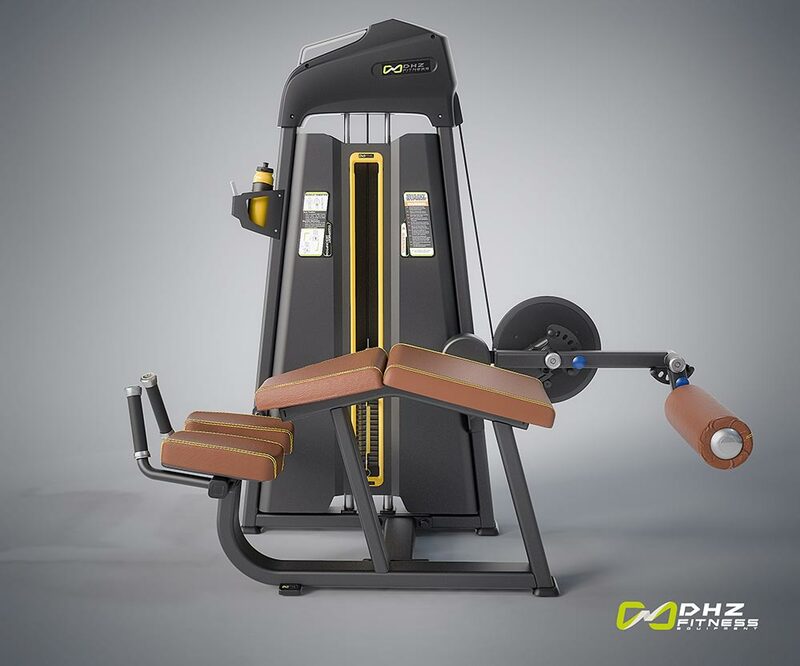 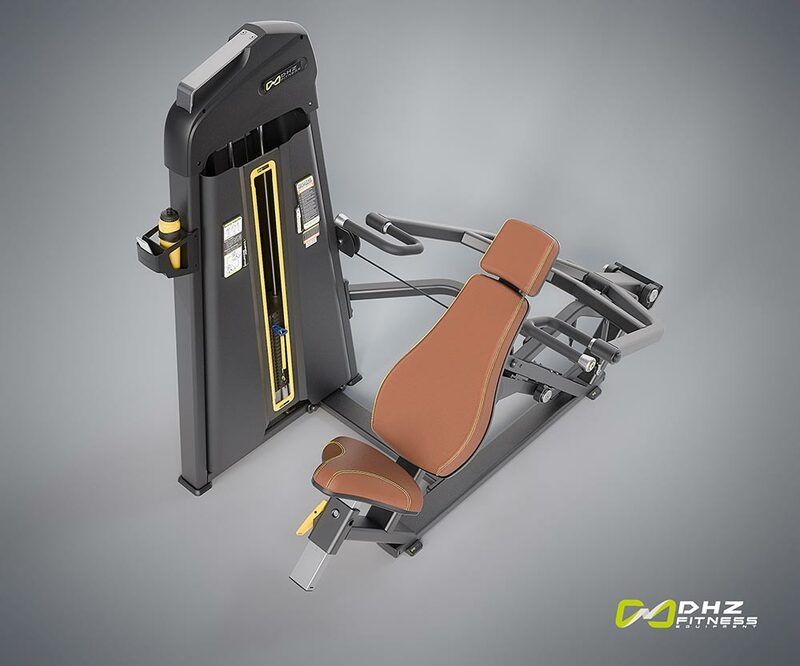 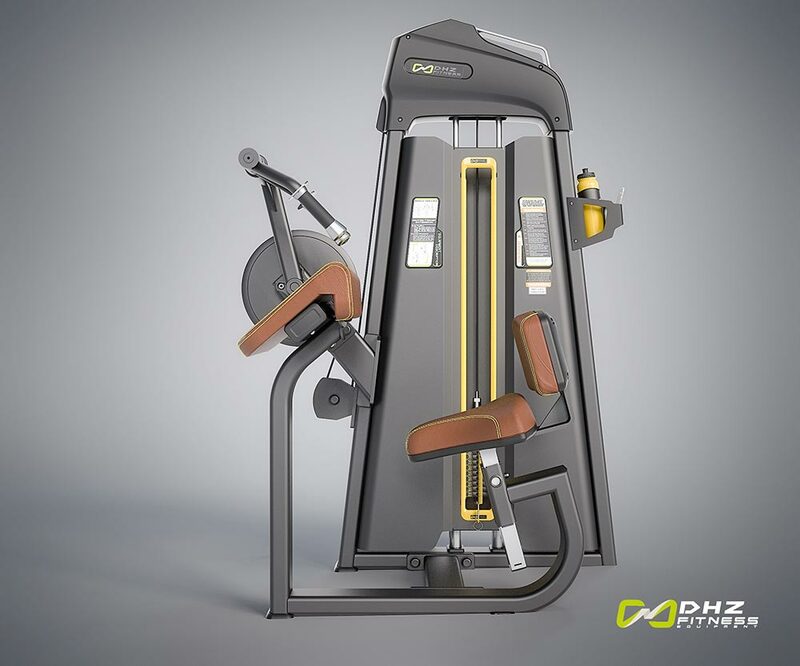 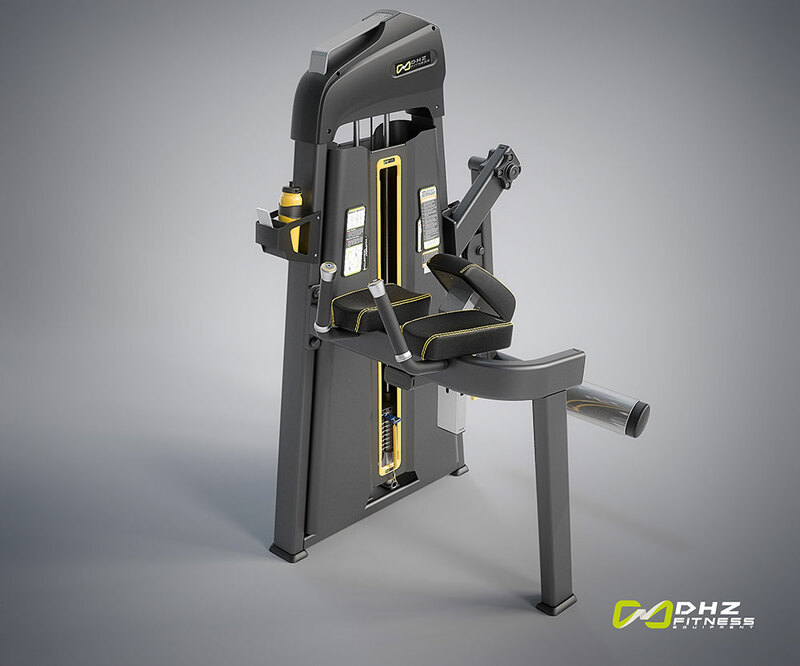 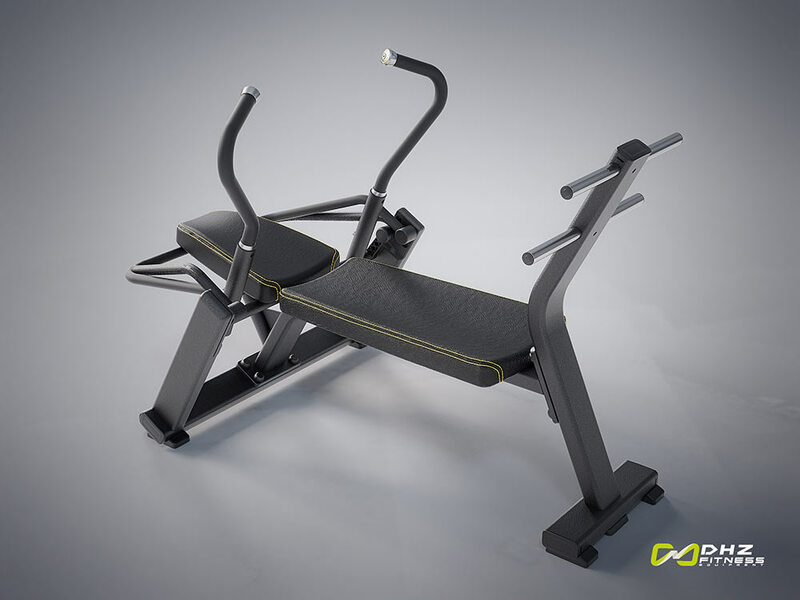 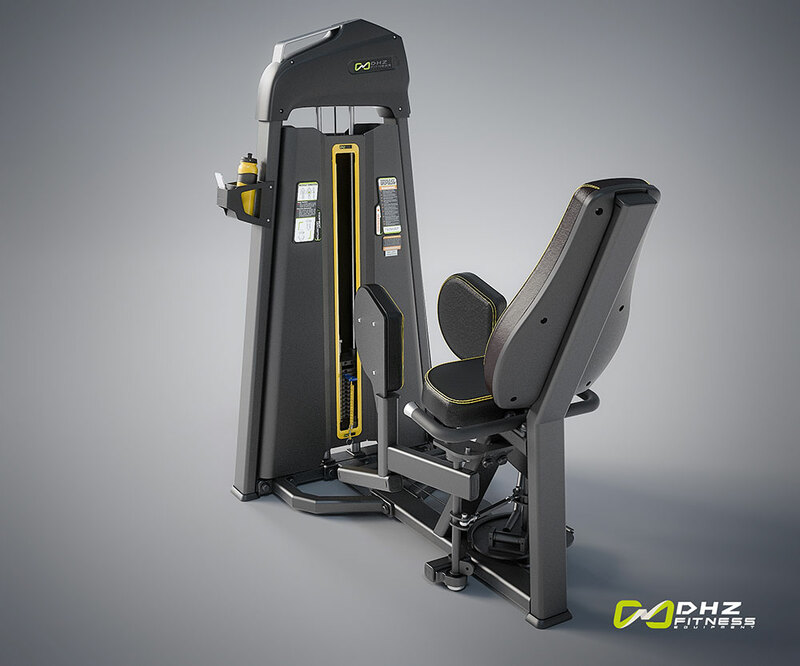 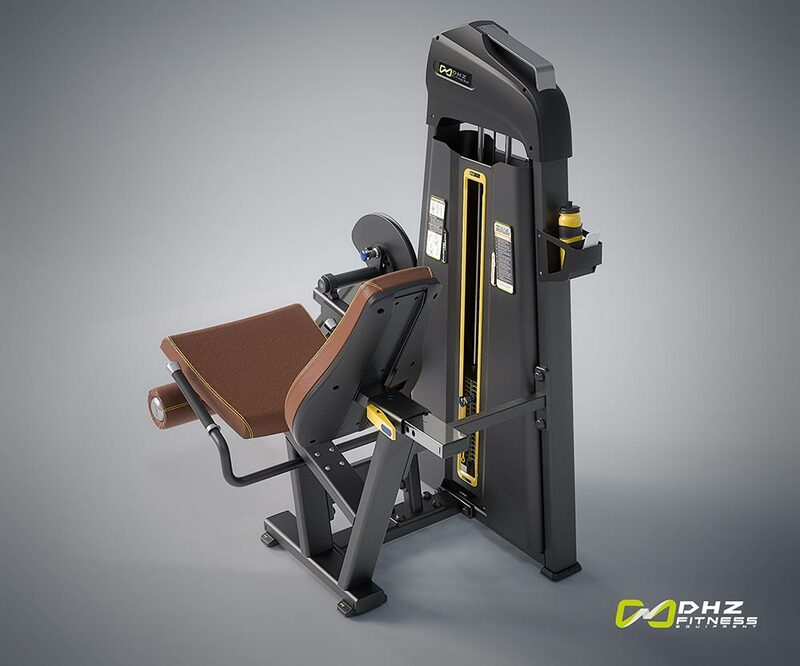 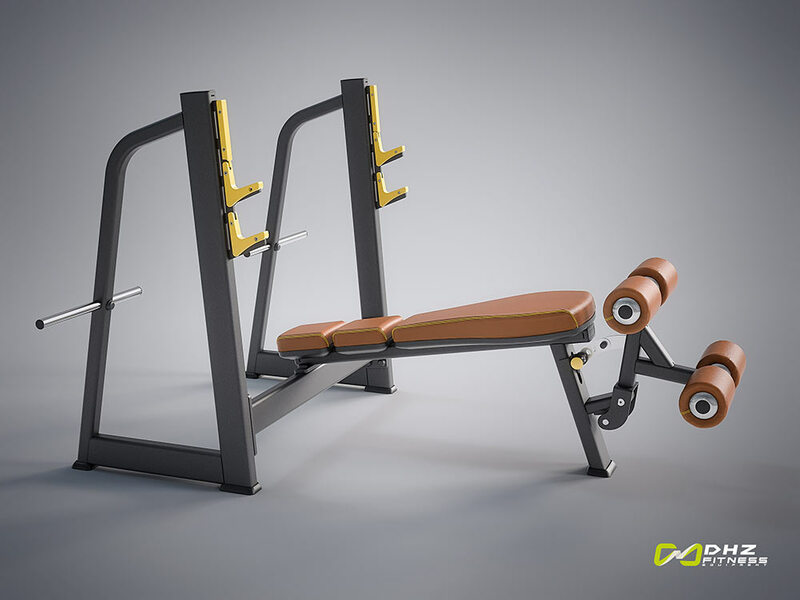 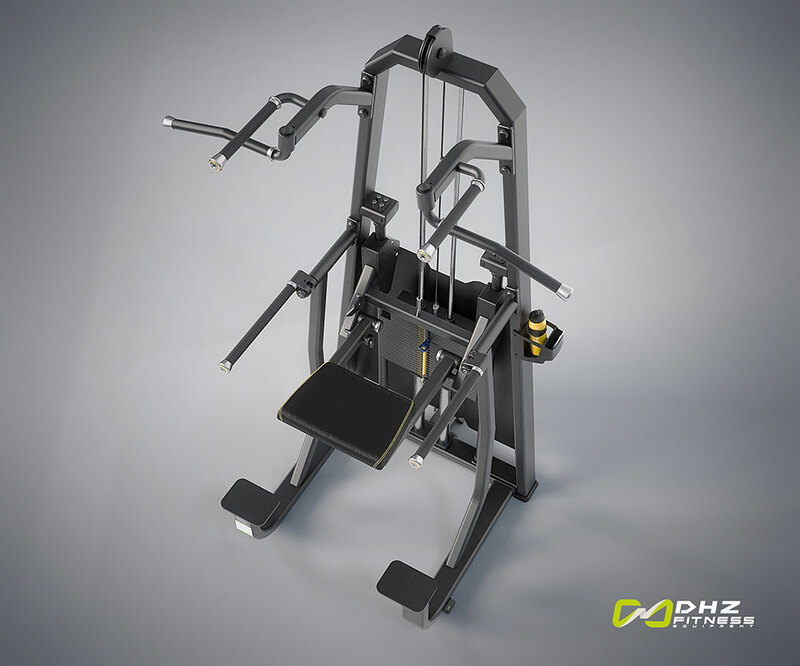 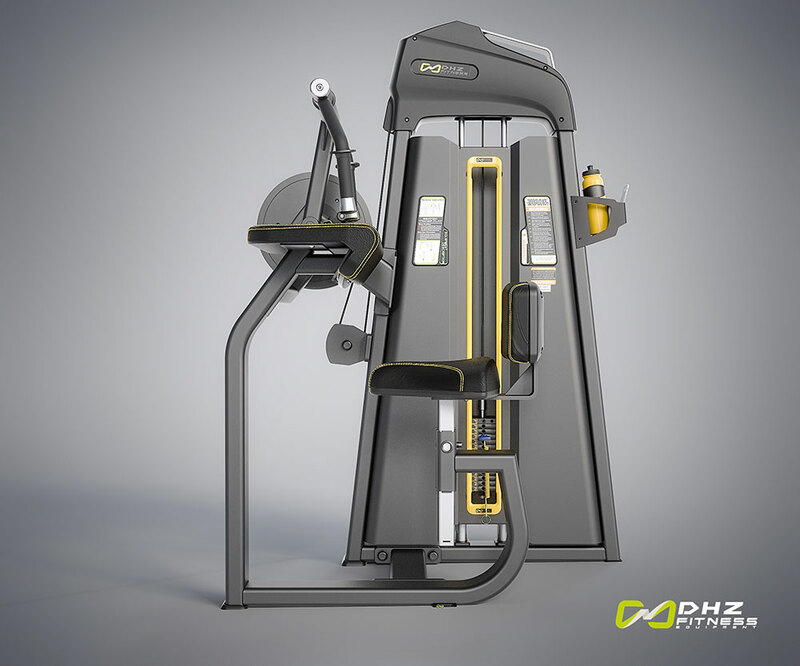 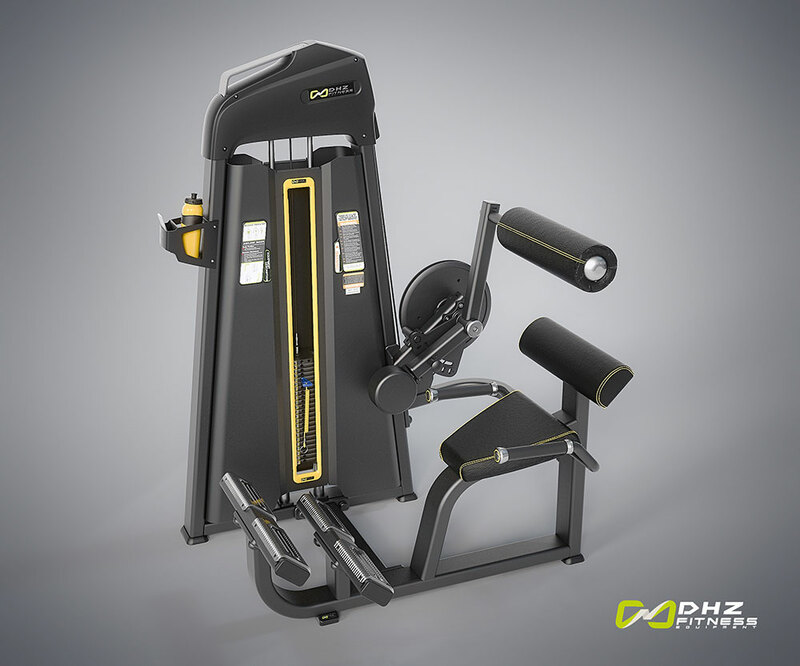 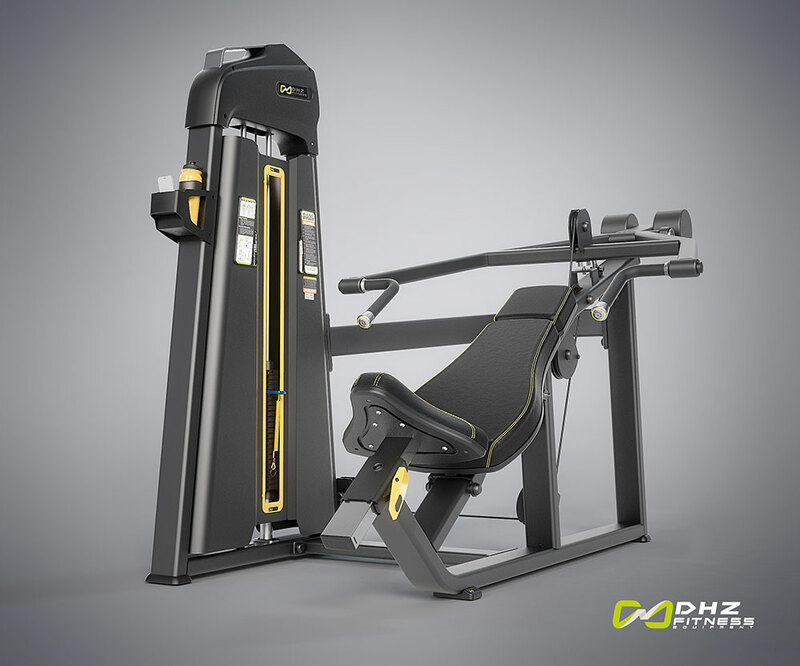 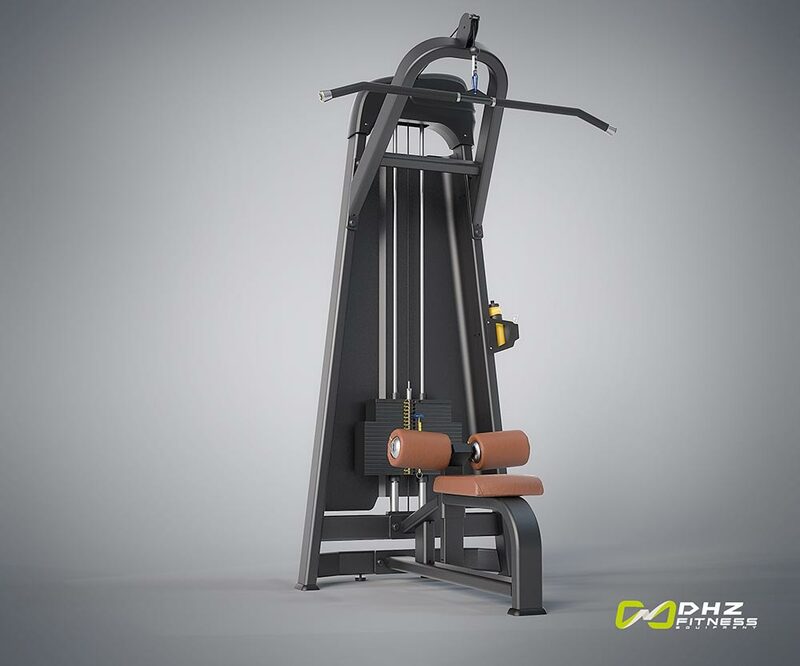 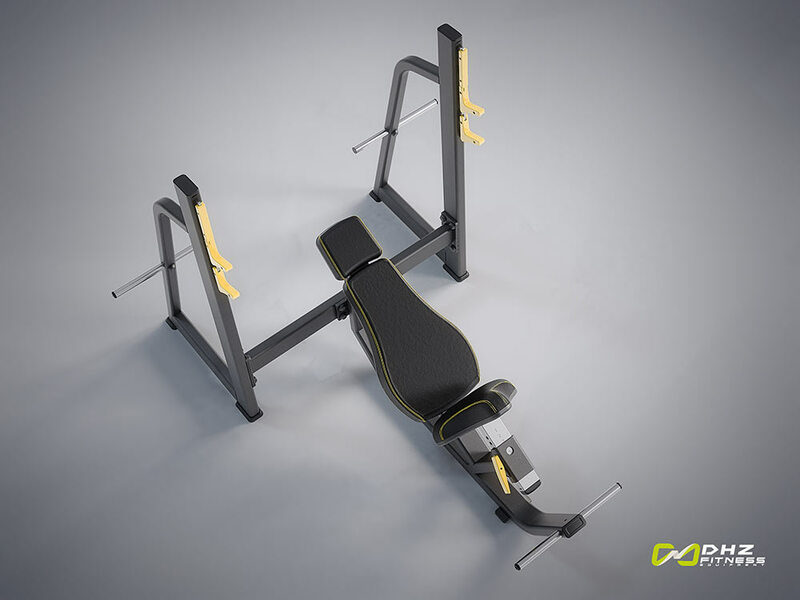 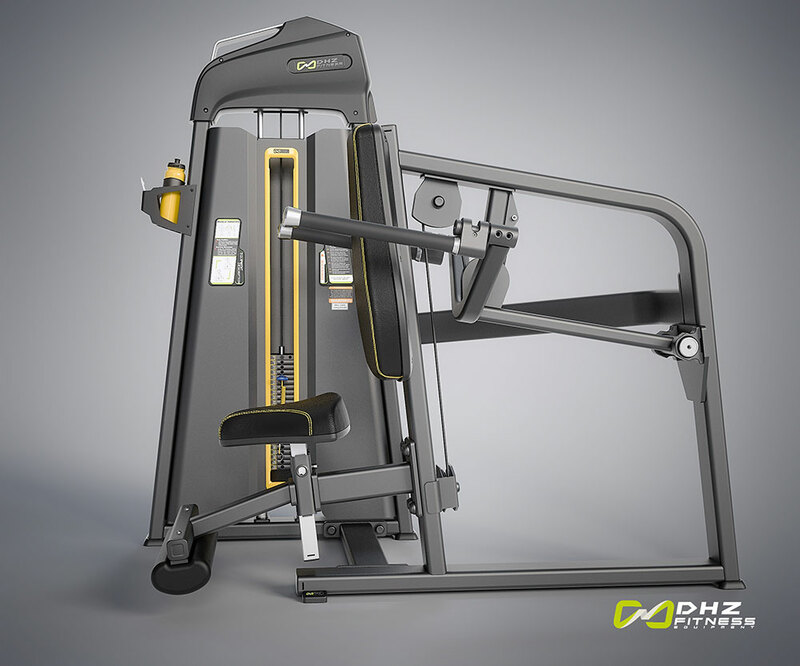 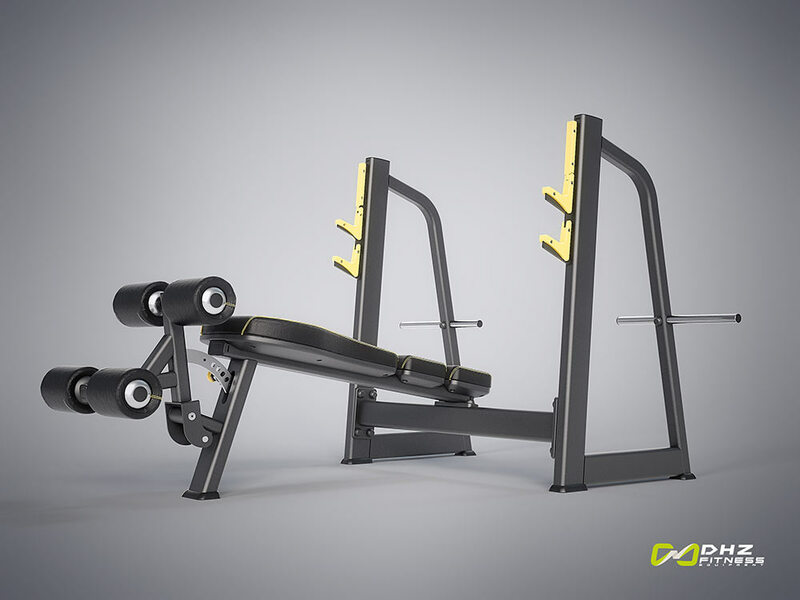 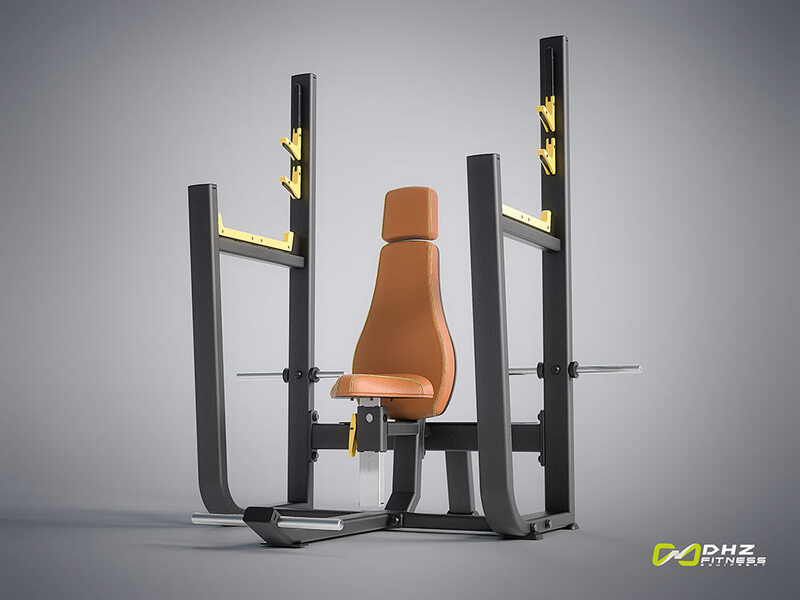 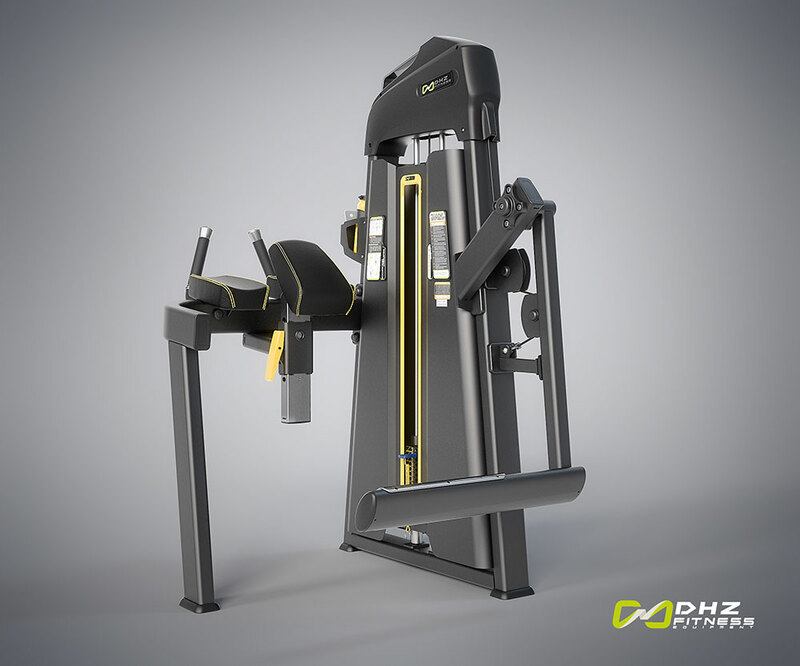 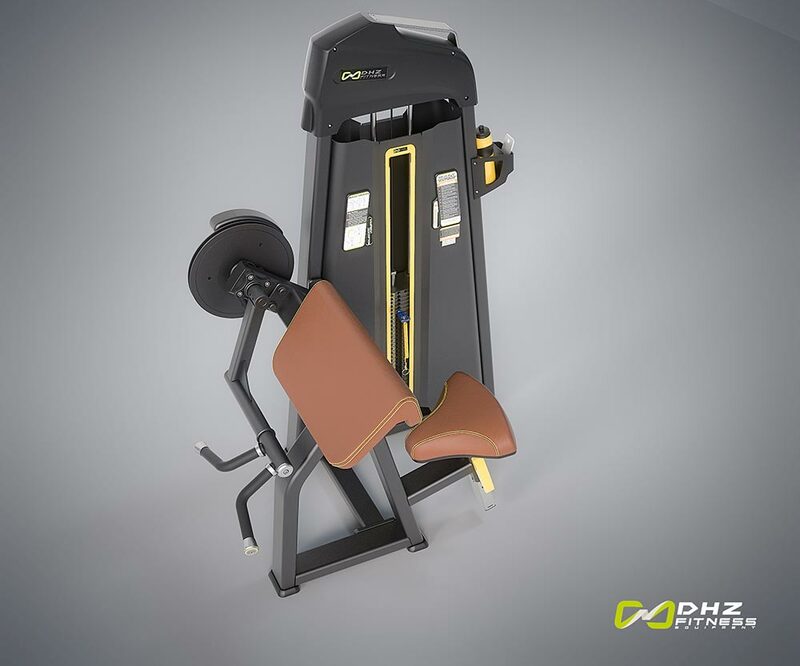 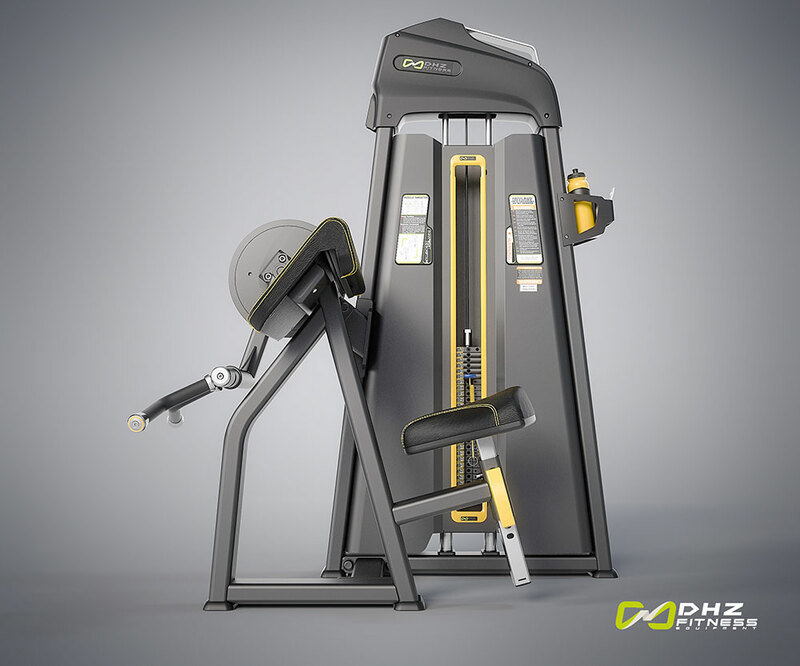 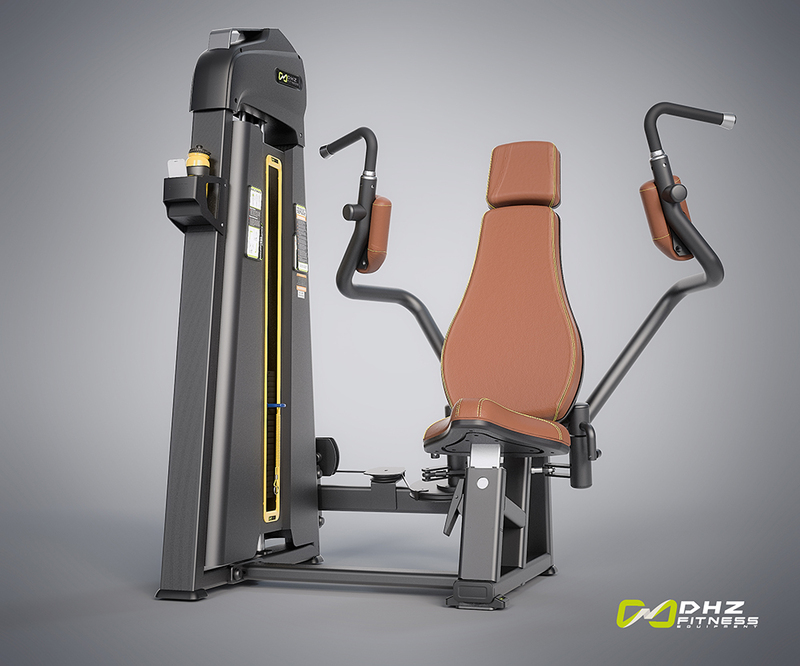 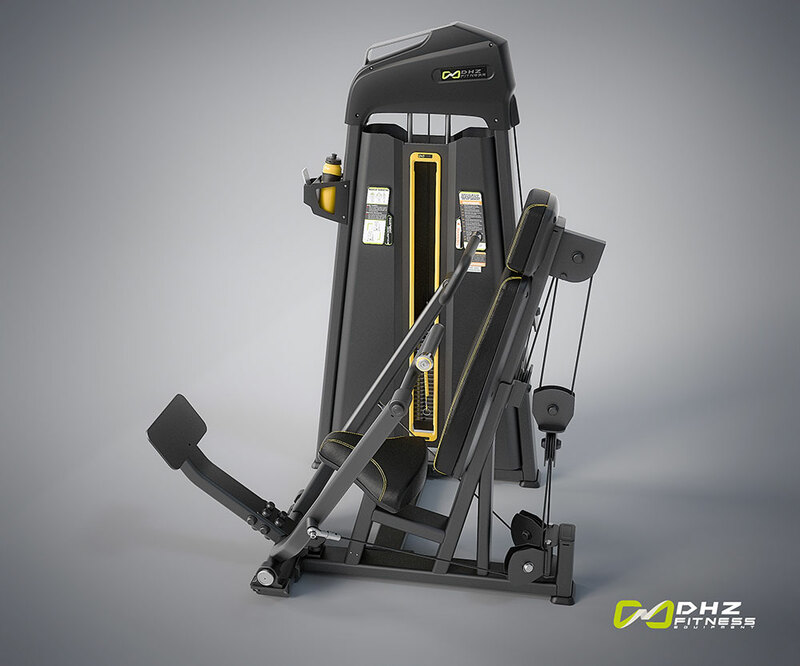 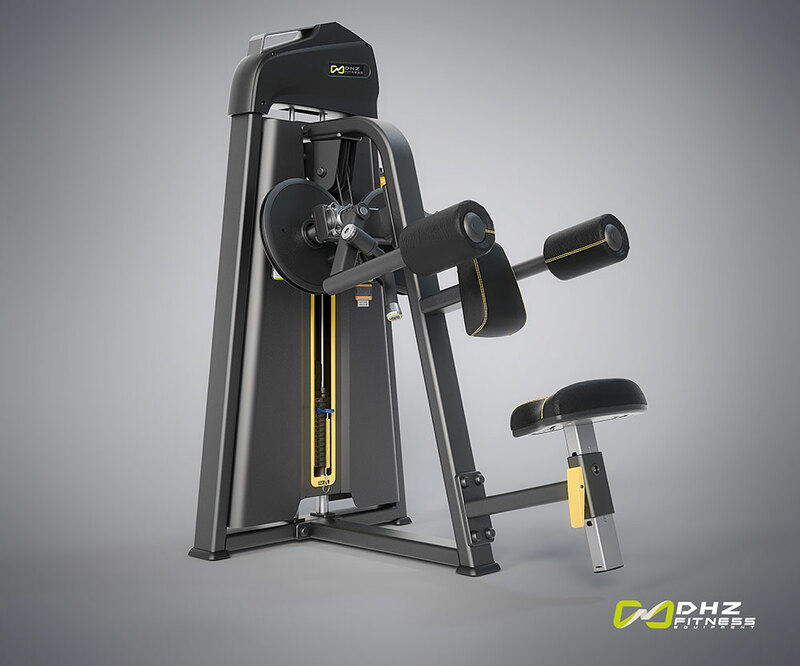 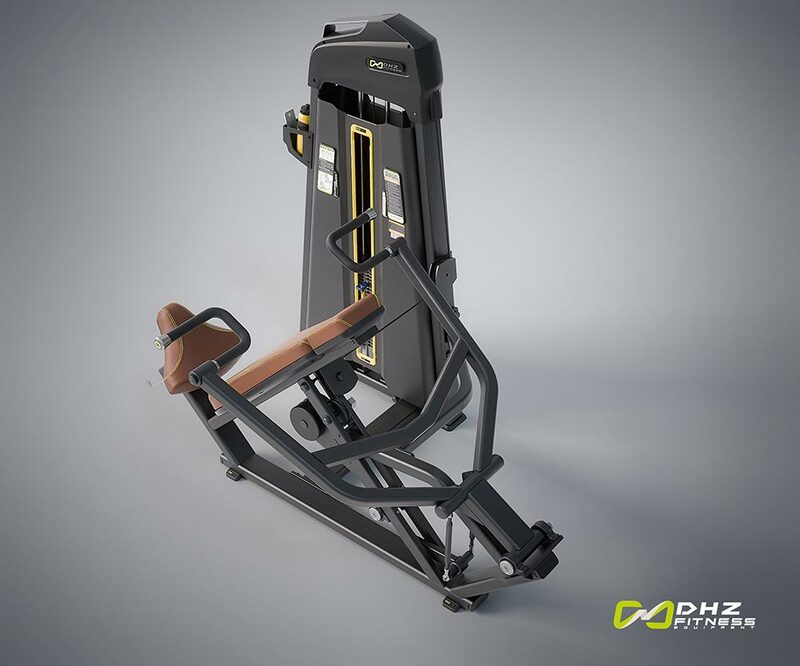 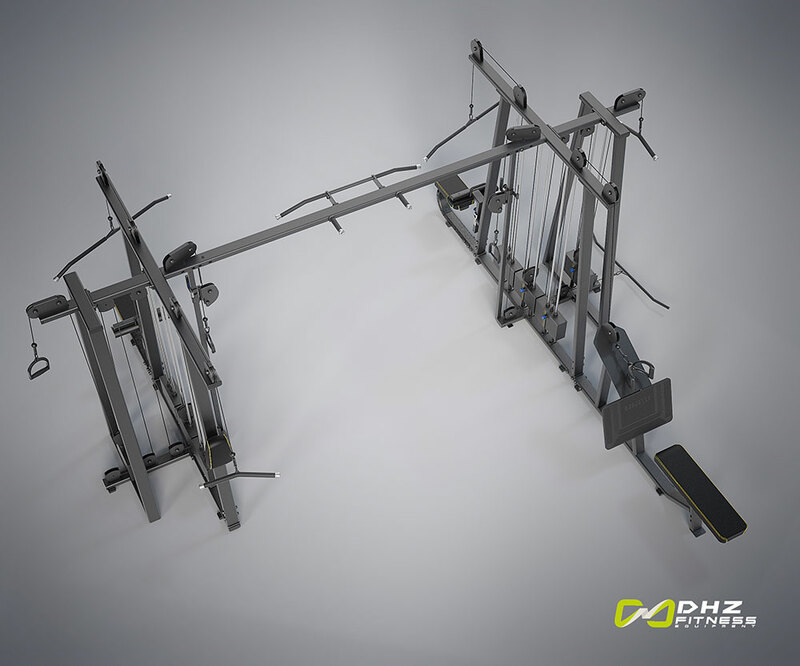 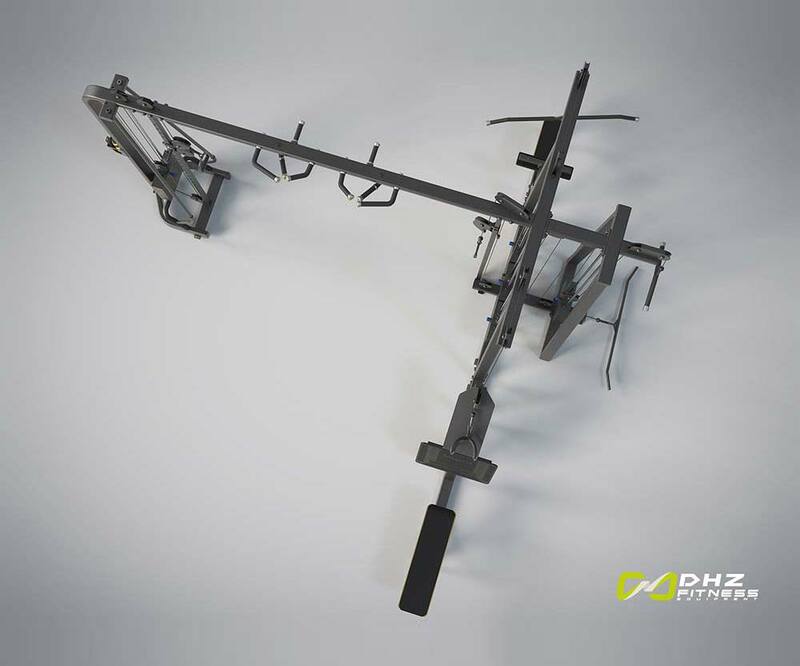 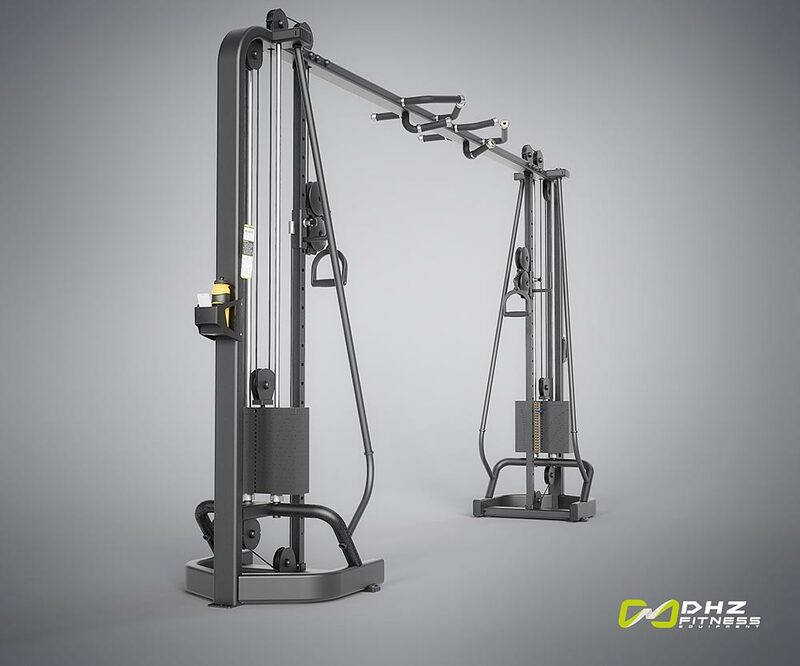 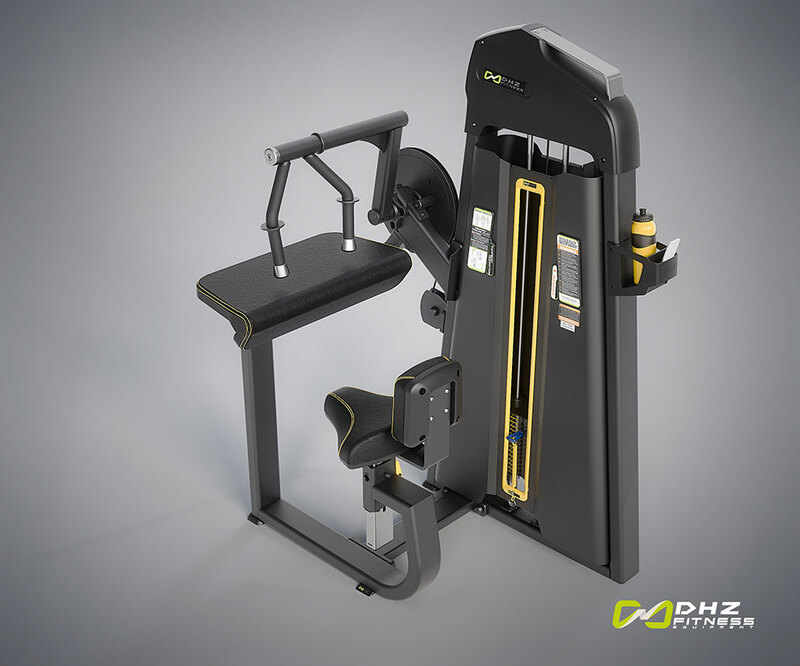 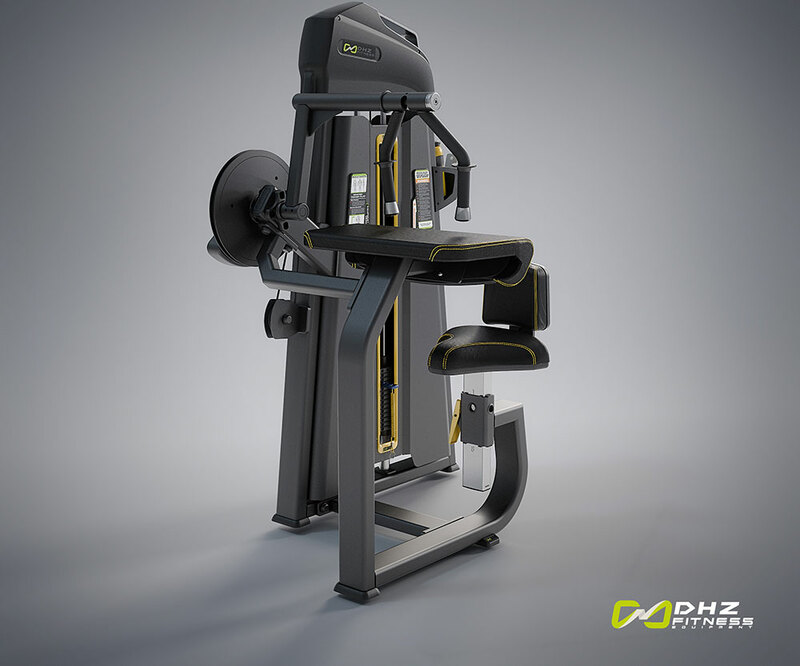 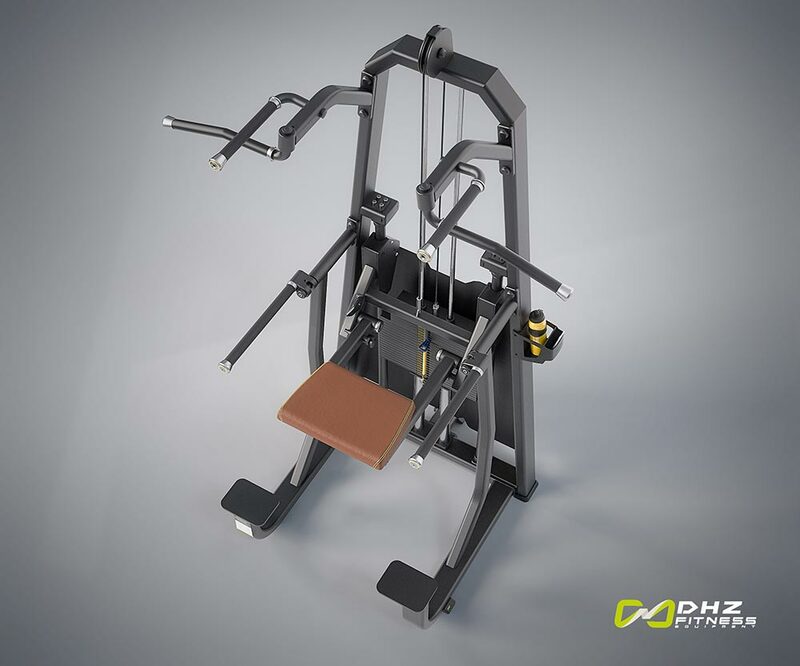 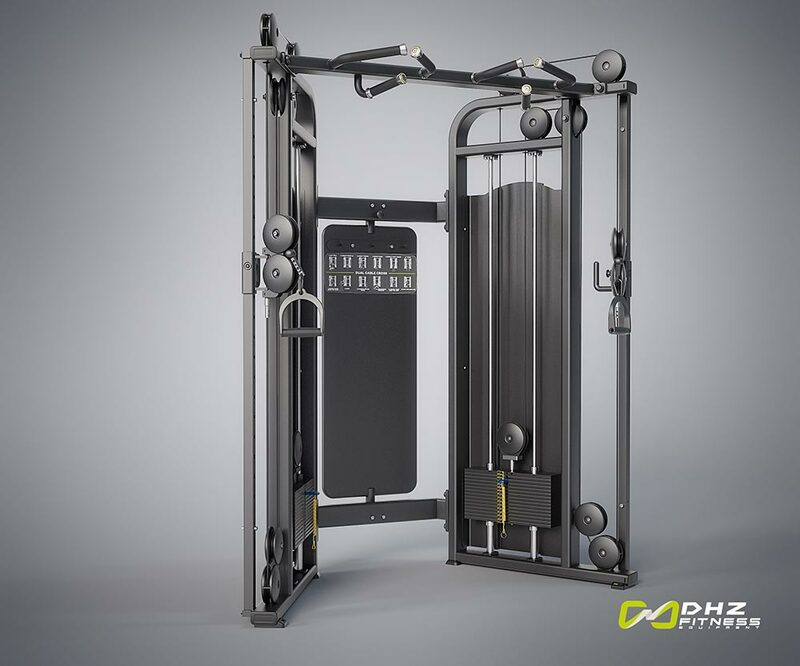 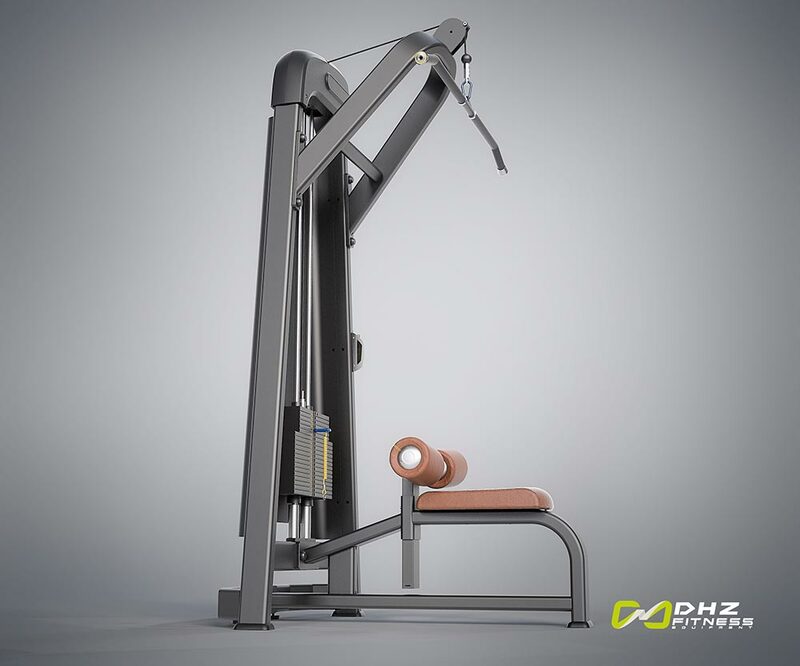 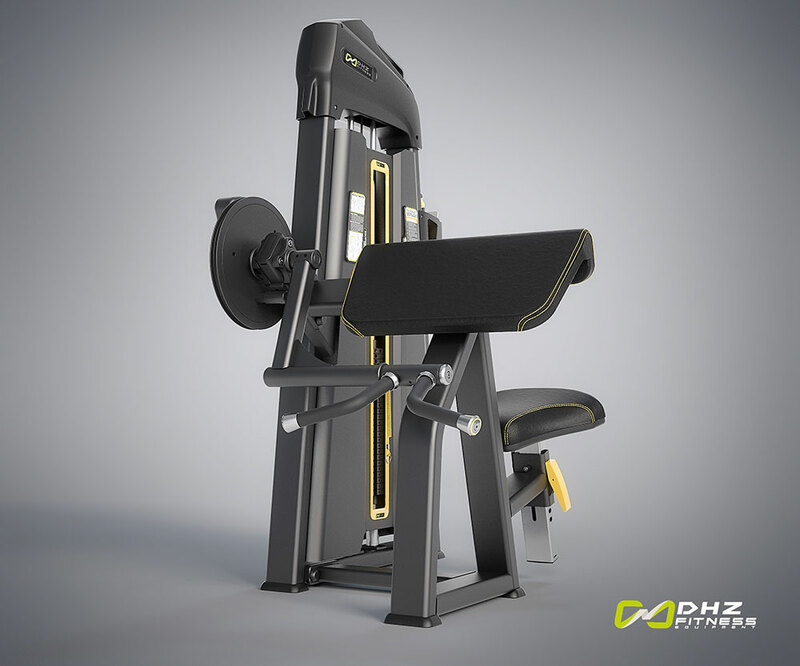 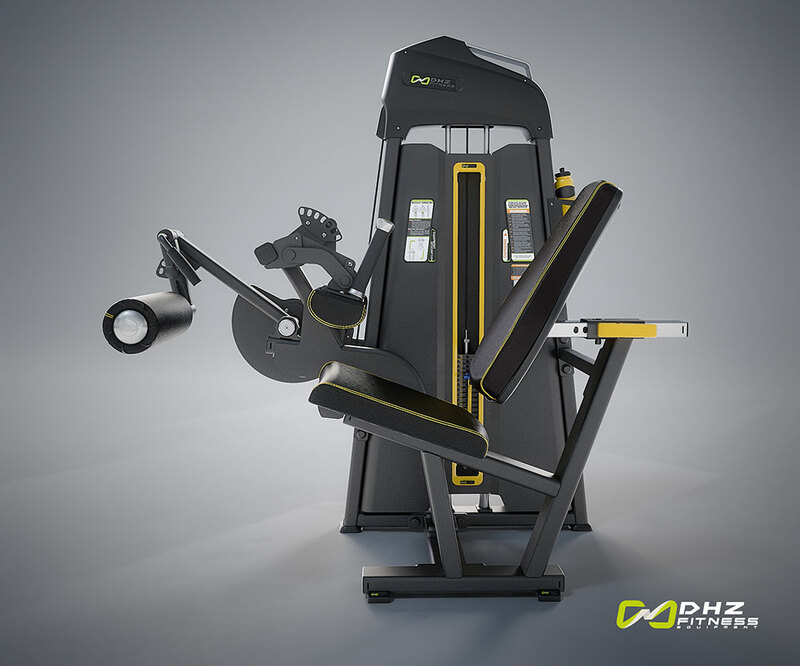 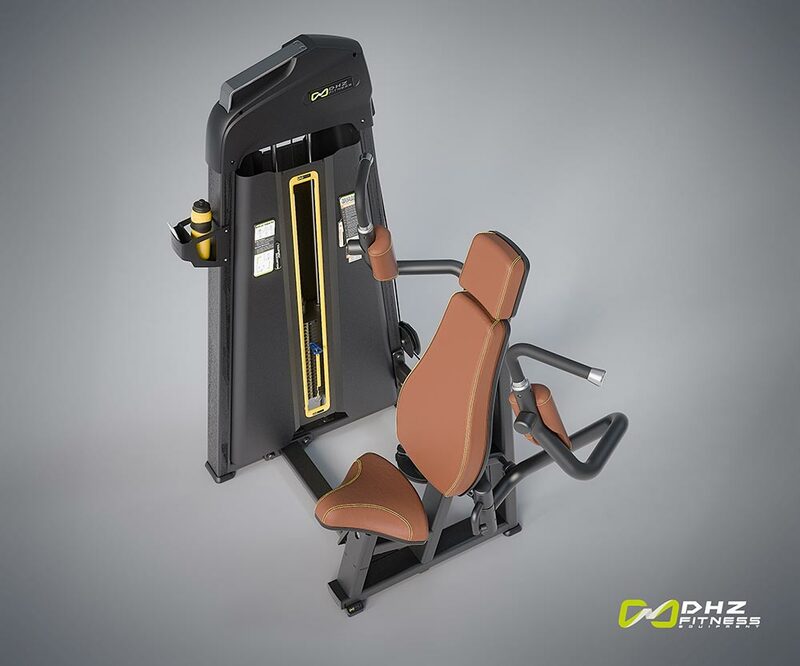 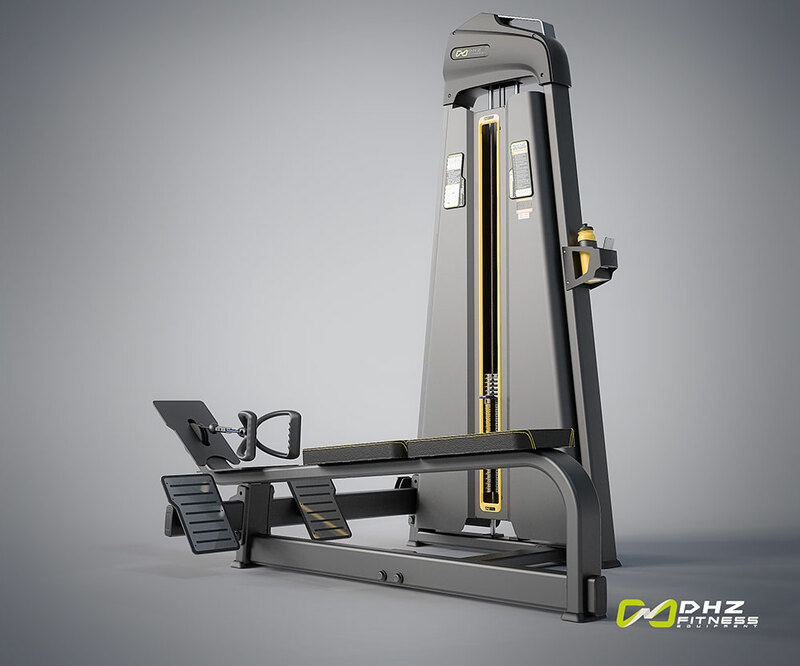 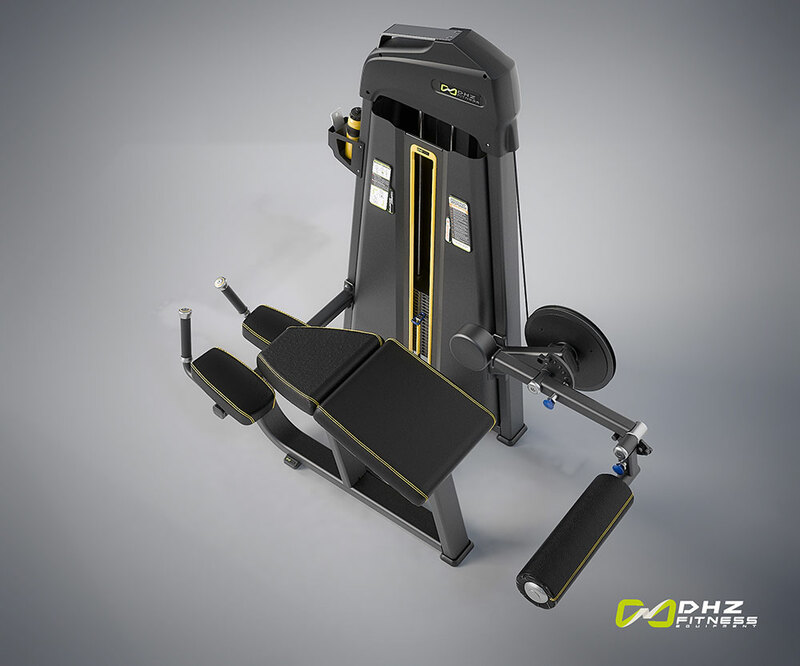 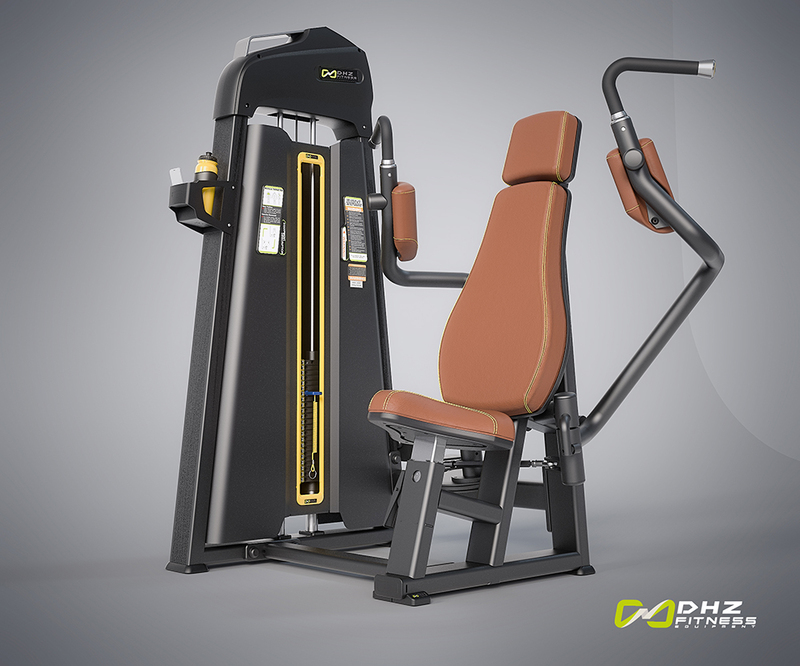 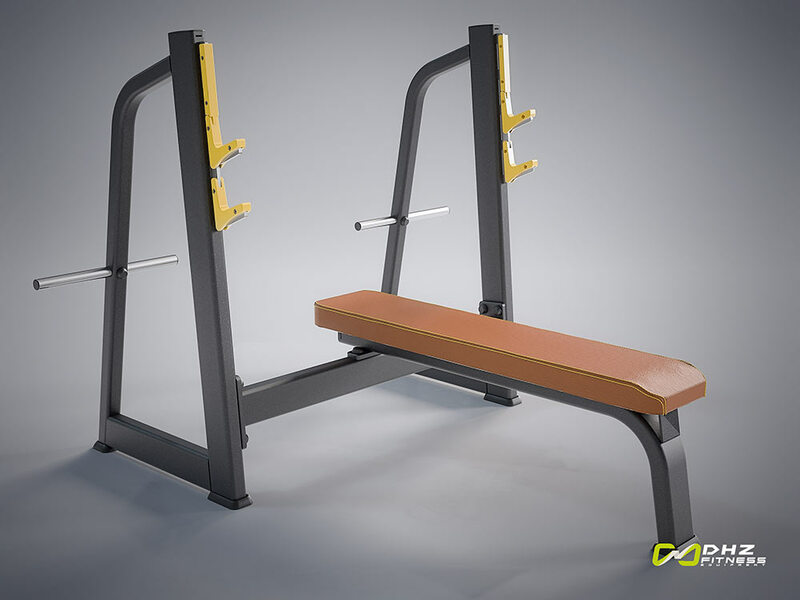 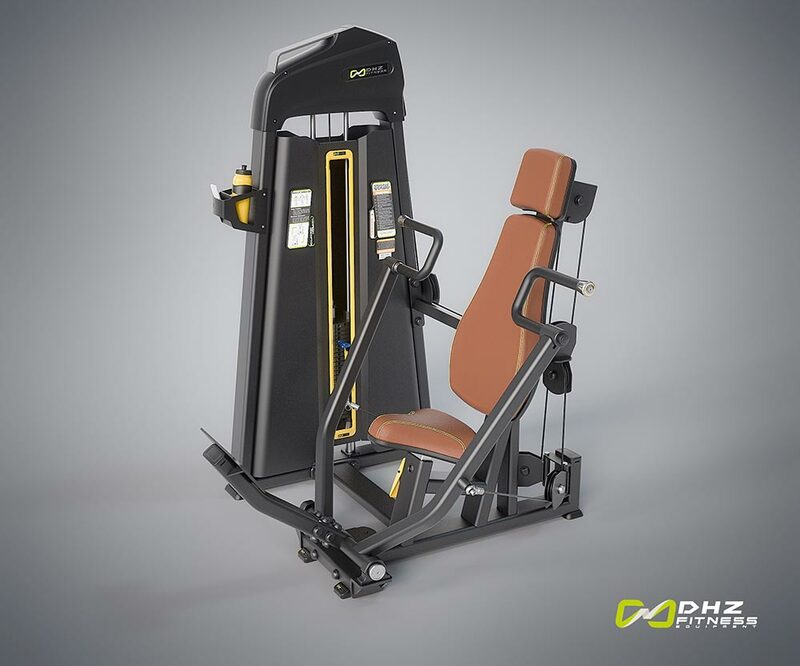 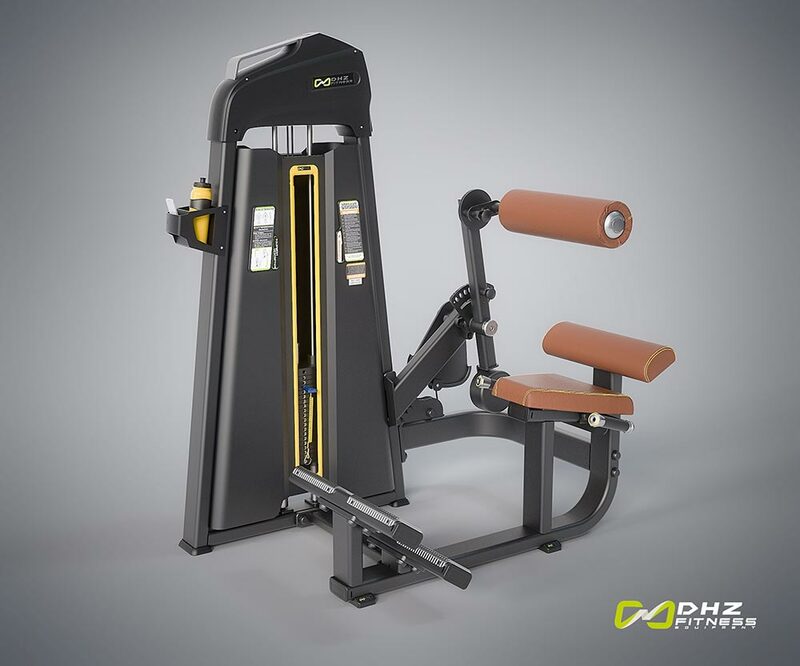 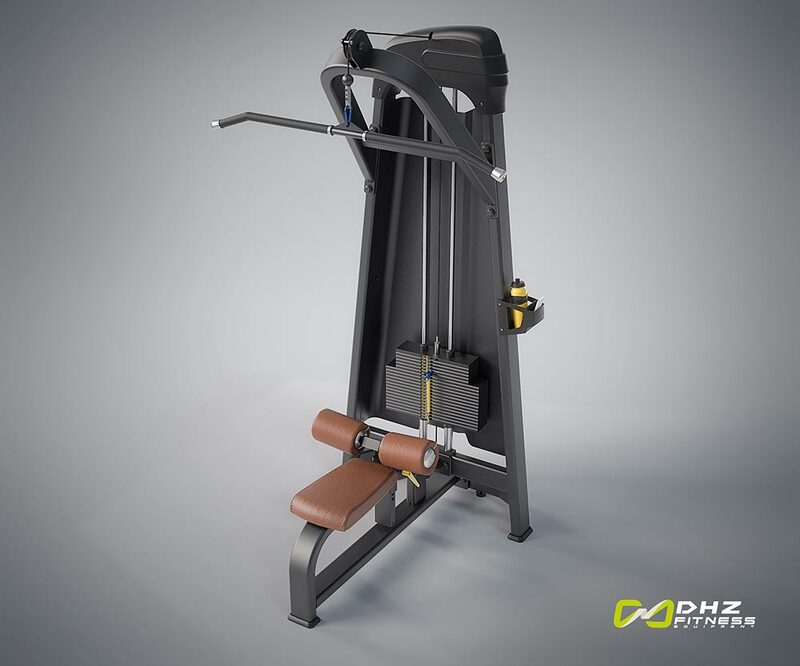 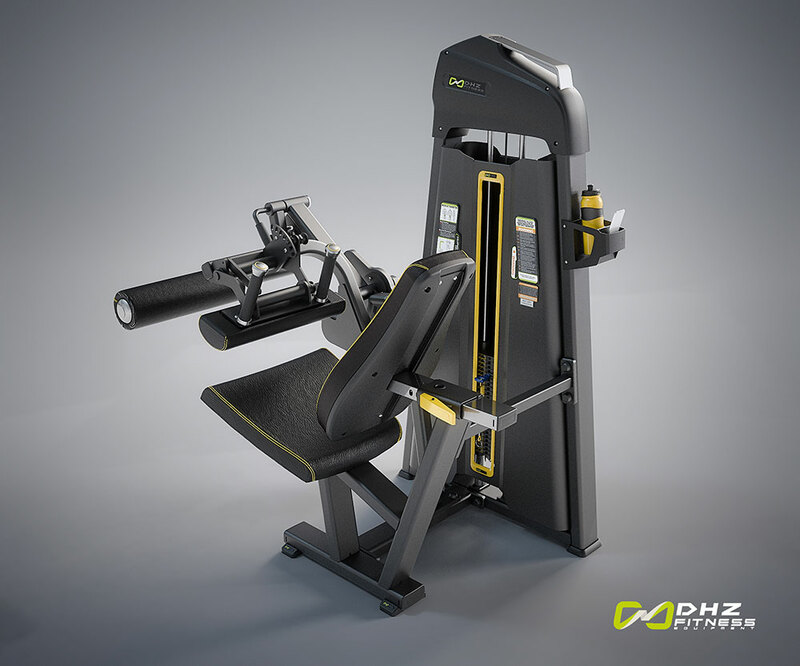 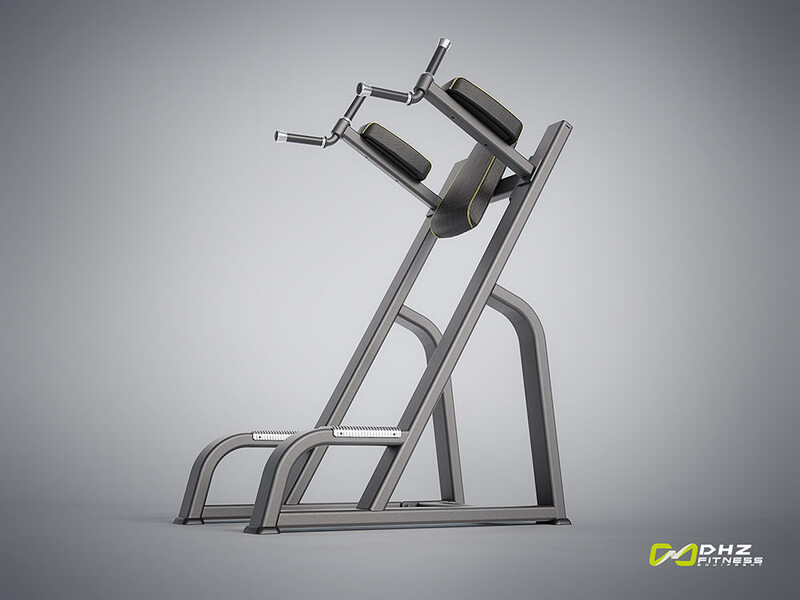 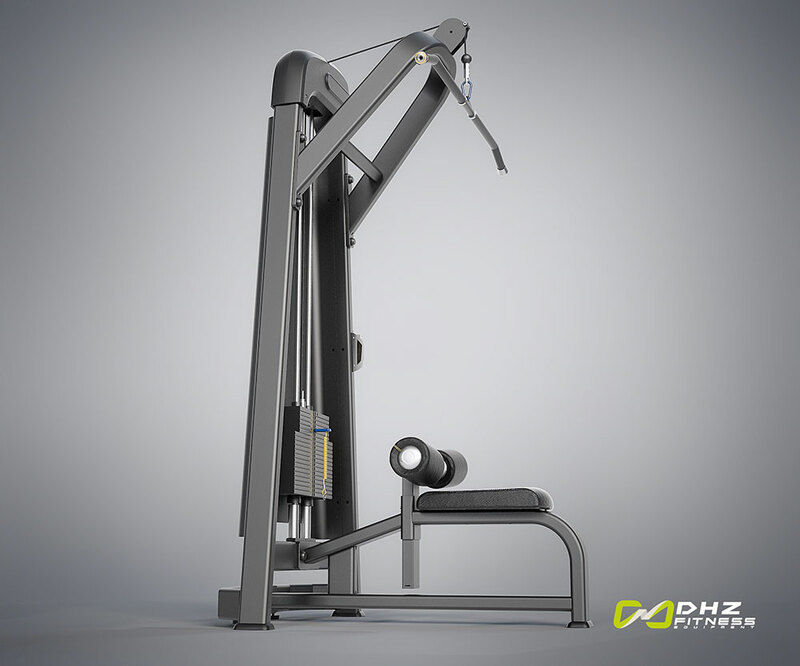 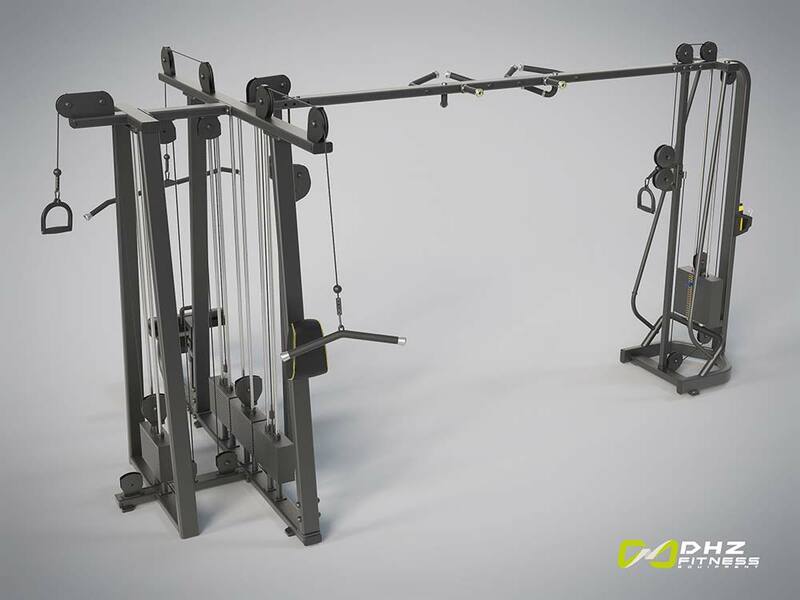 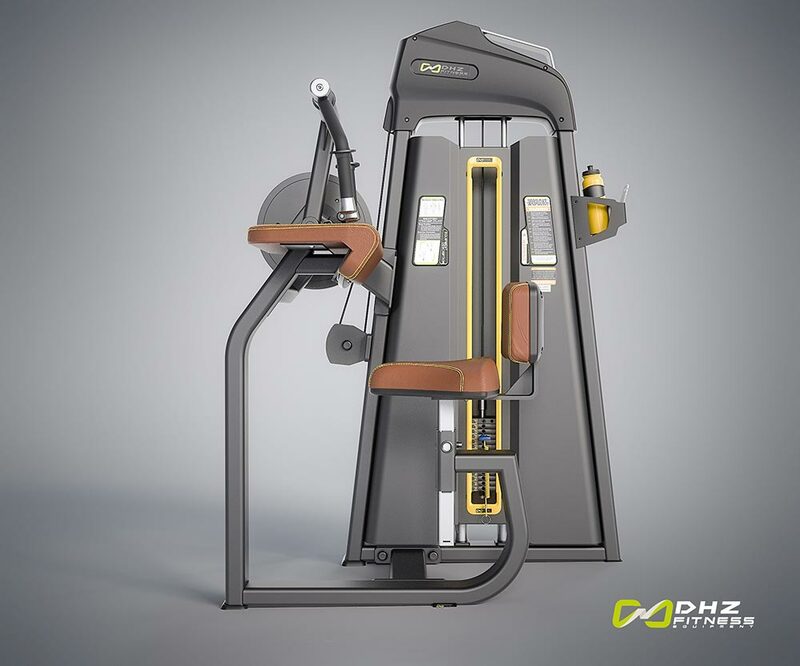 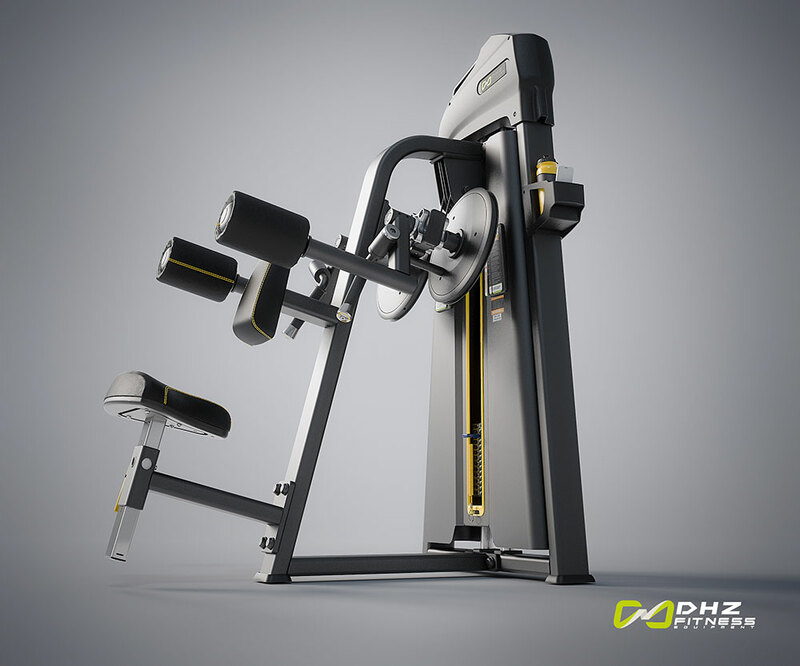 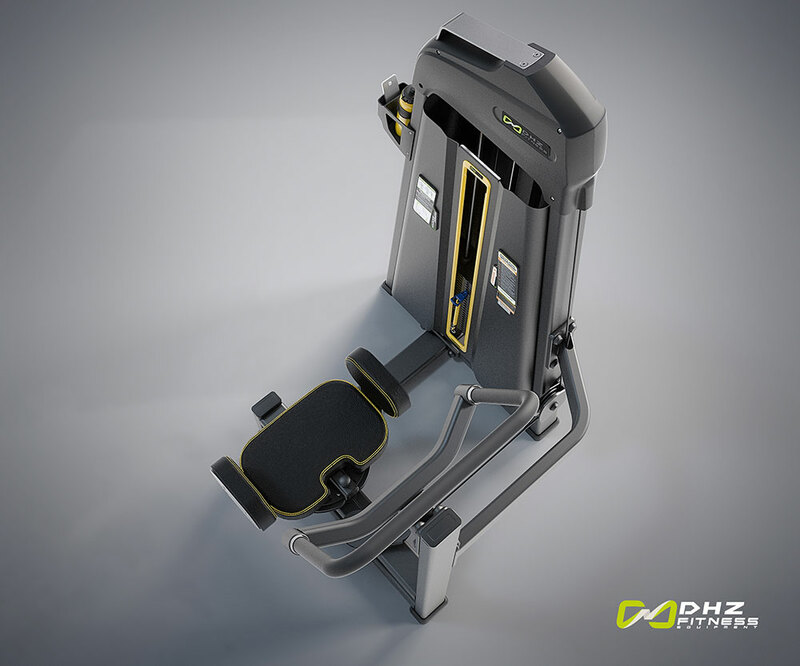 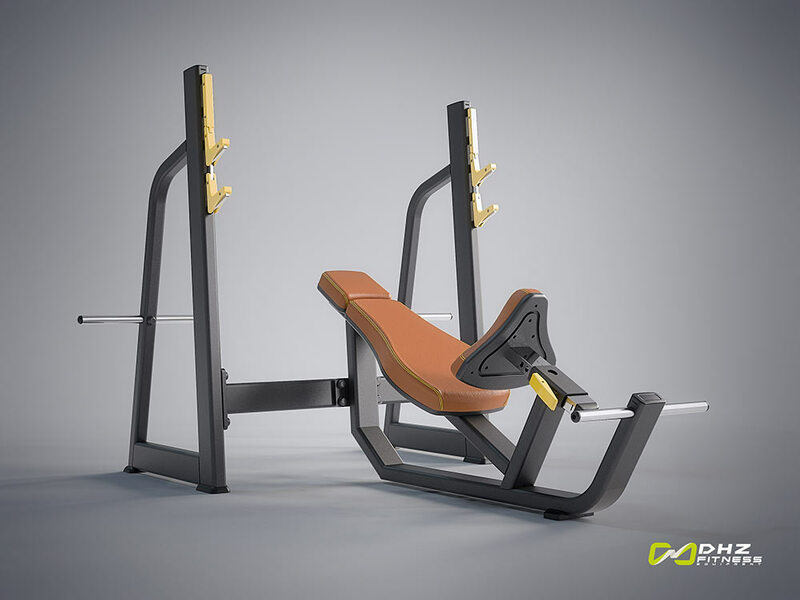 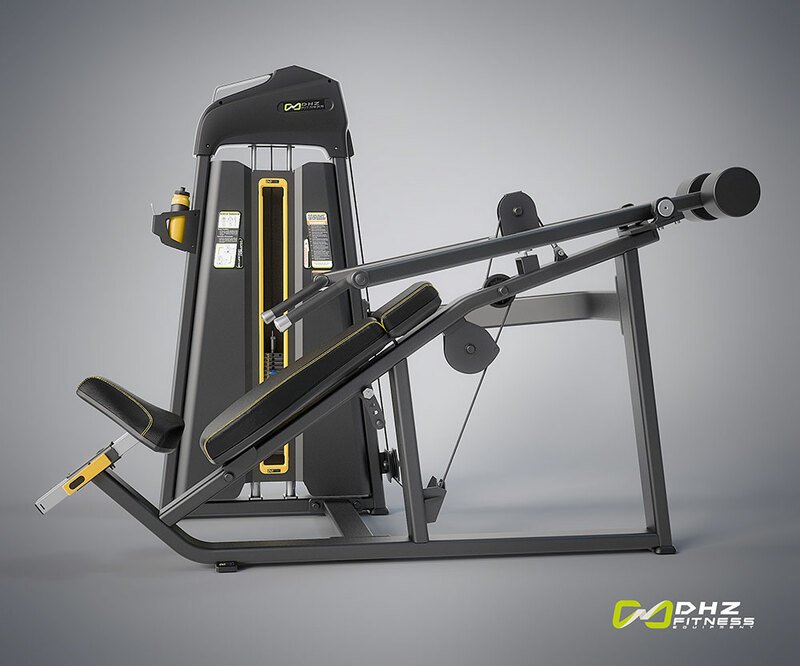 Up to five people can work out in parallel Stations: Triceps Pushdown, Lat Pulldown, Long Pull, Adjustable Pulley, Fix Pulley Cable Crossover, Adjustable Pulley. 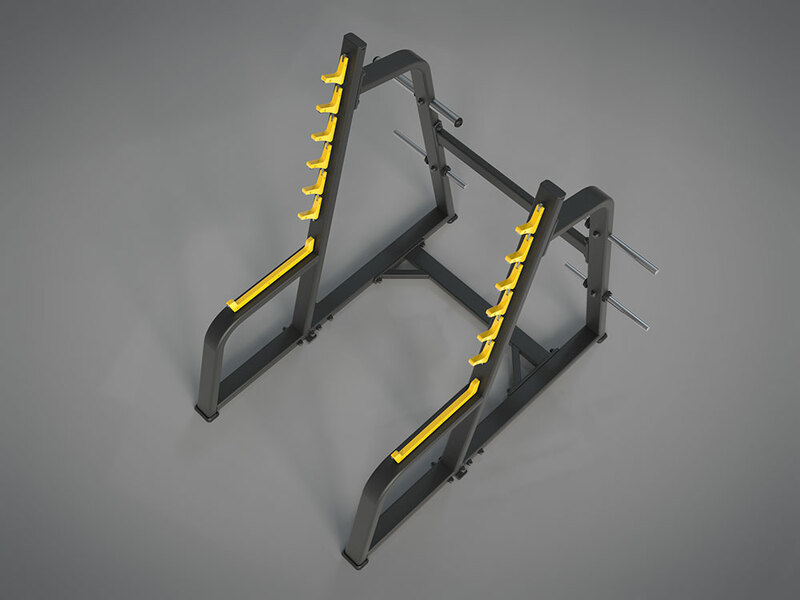 Four additional holders for weight plates. 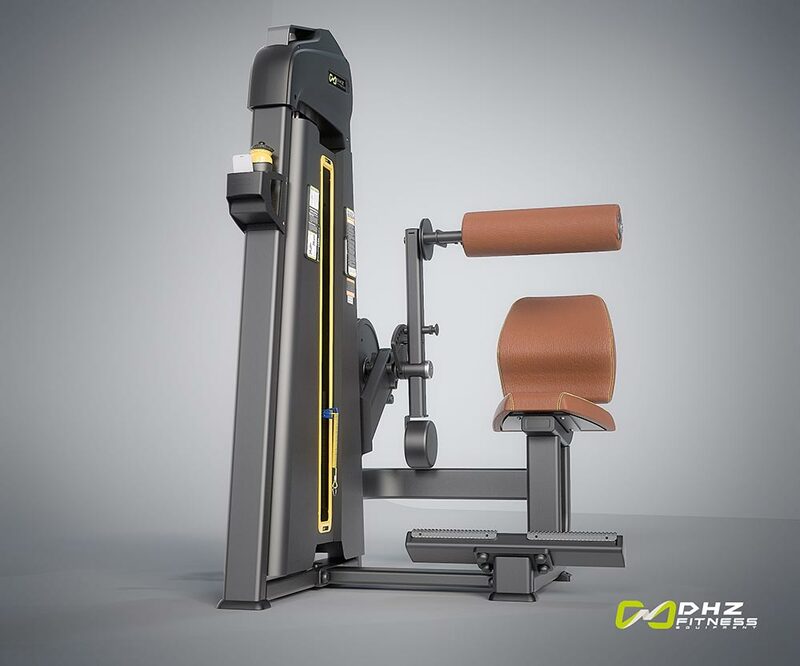 Moving head rest release neck tension during training. 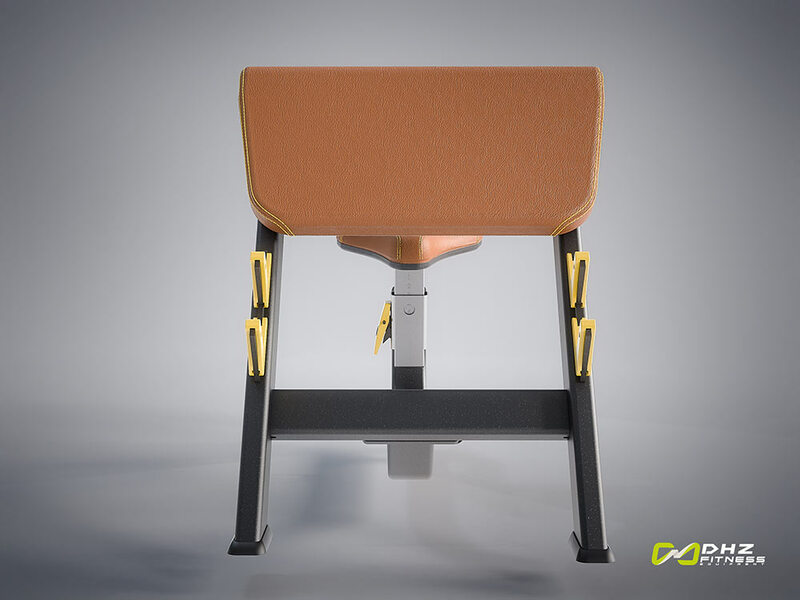 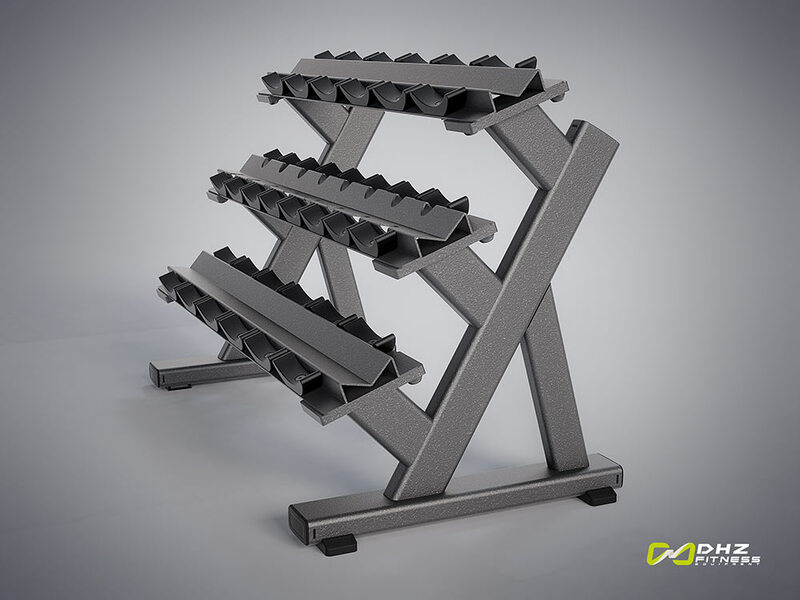 Stable handles and shaped upholstery for proper position.